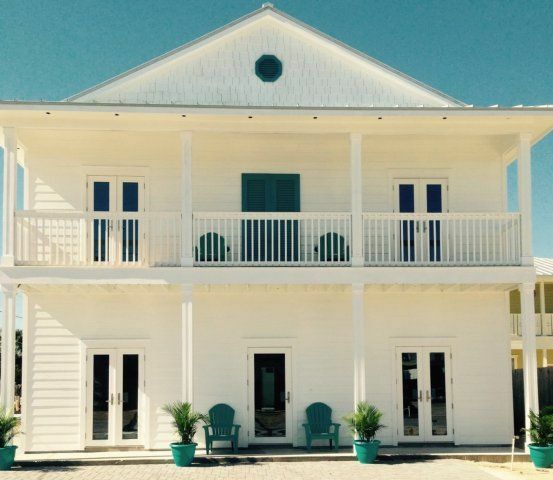 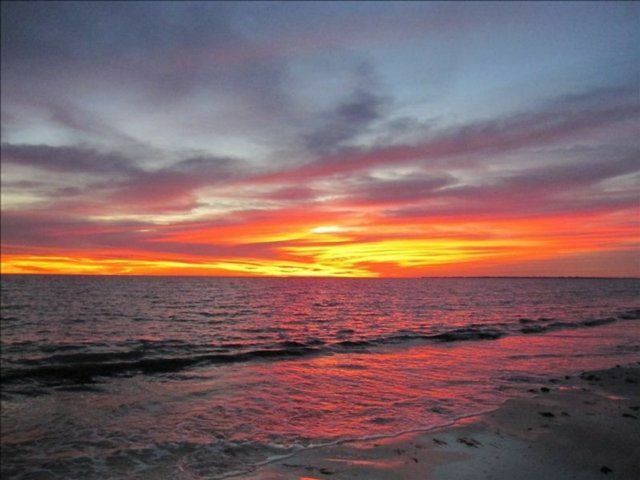 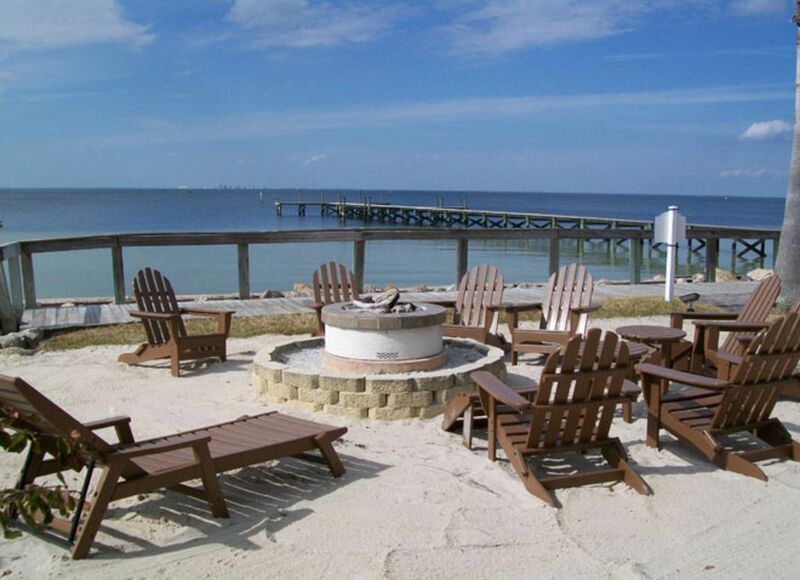 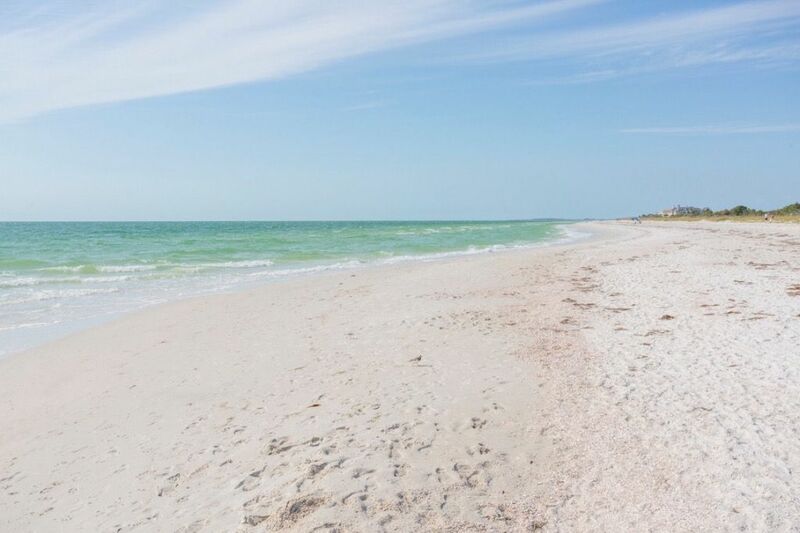 Lounge on pristine white-sand beaches, just a 10-minute walk from your door. 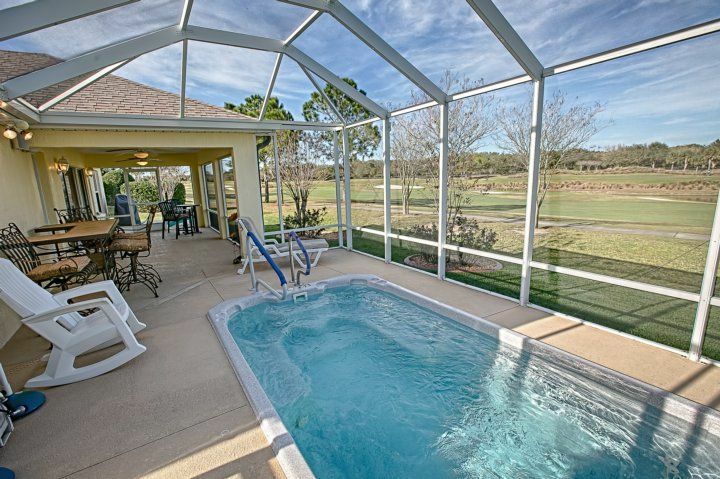 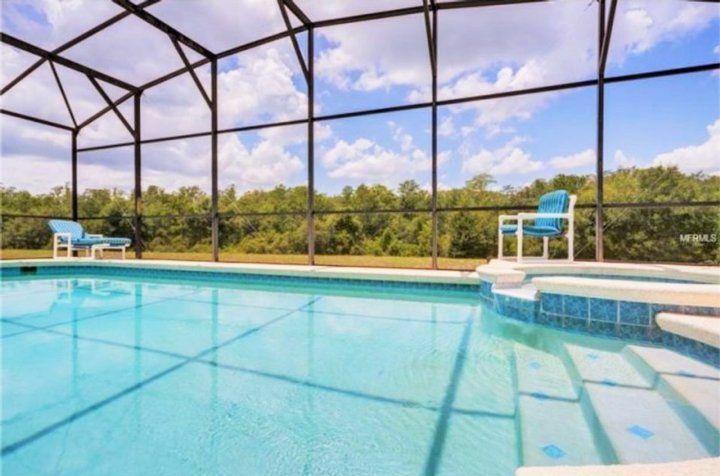 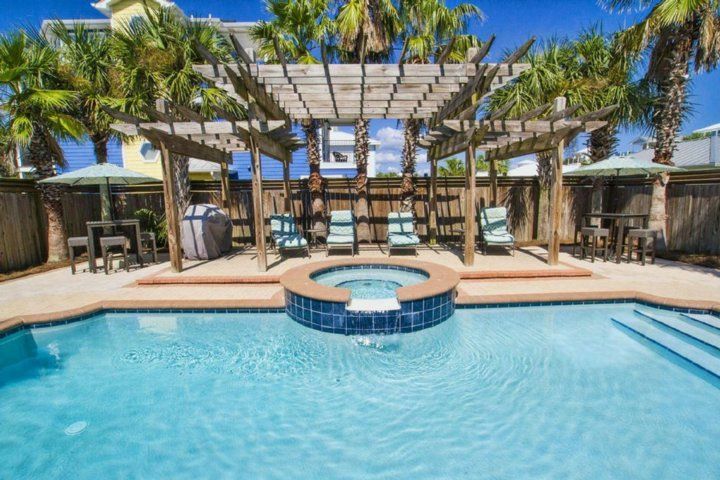 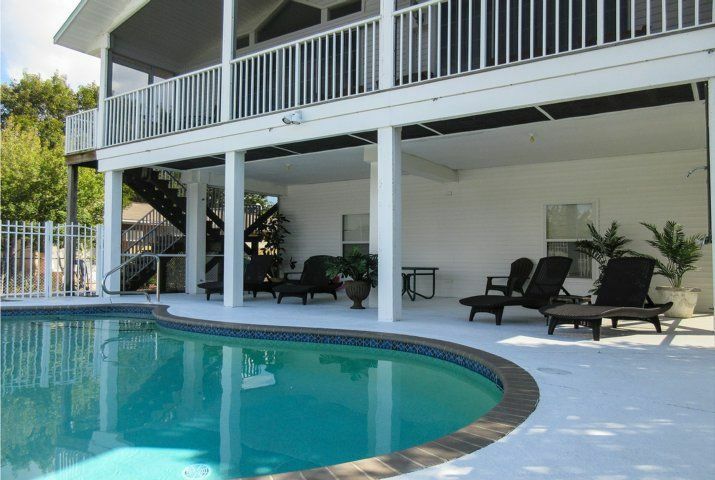 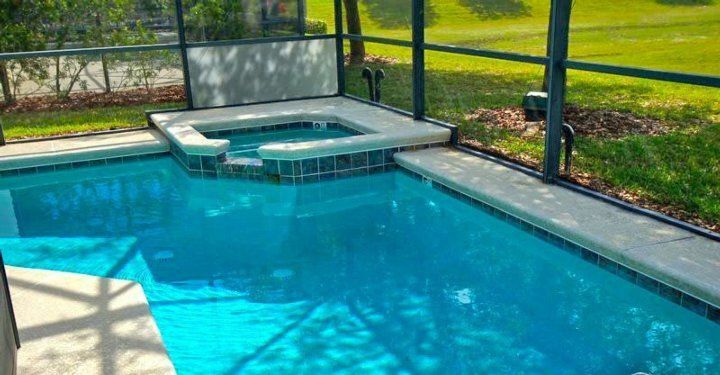 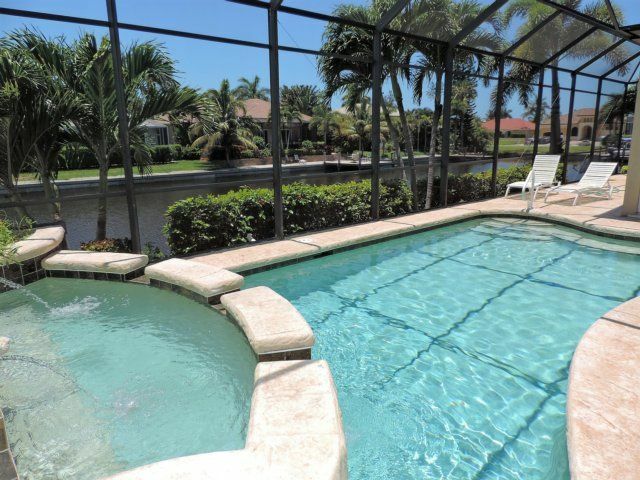 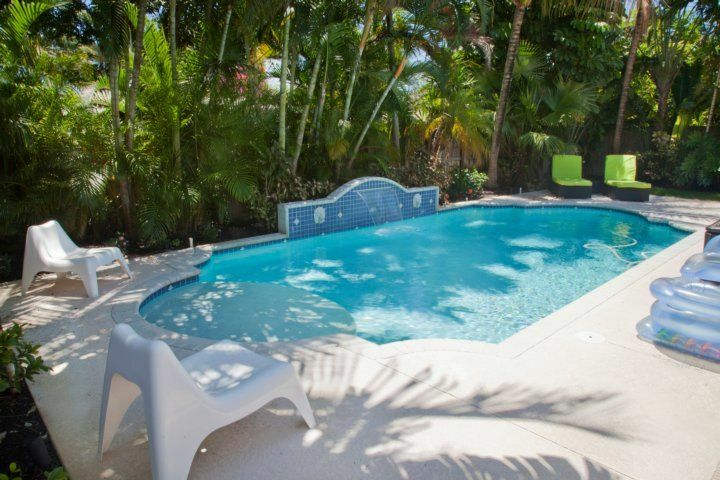 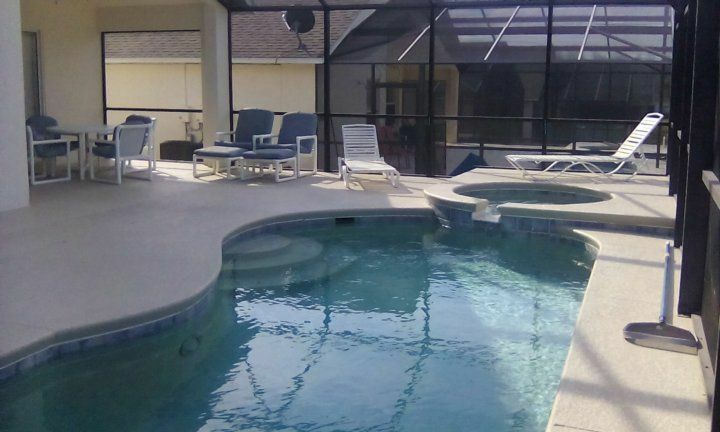 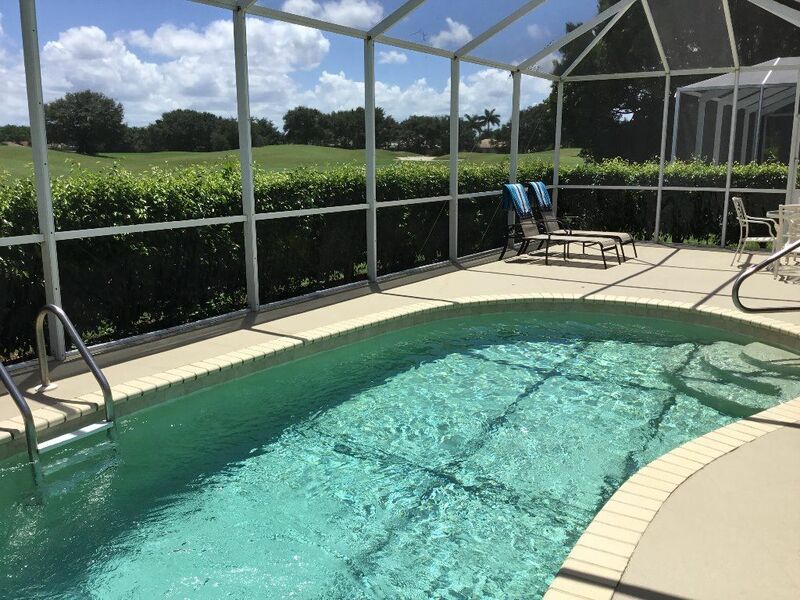 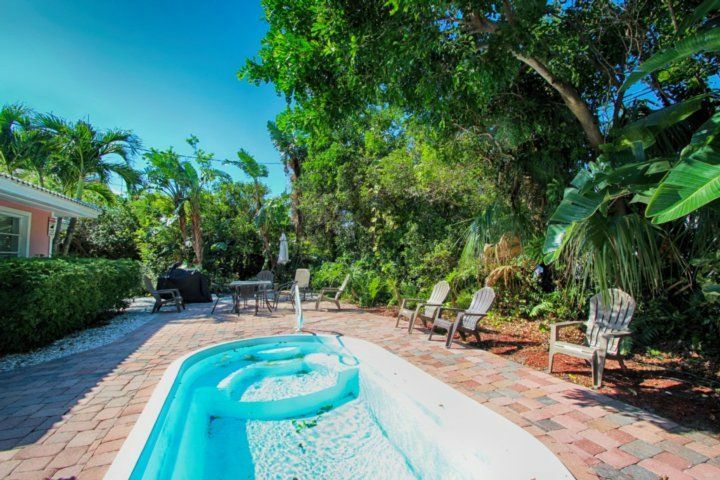 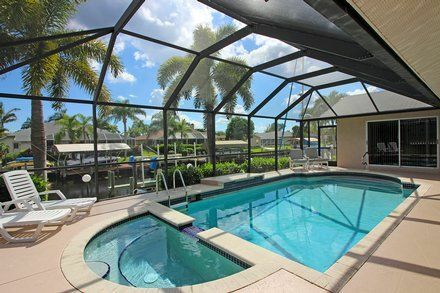 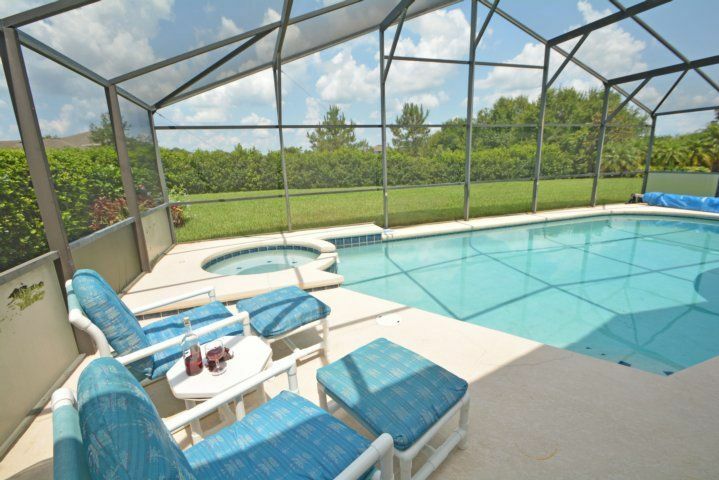 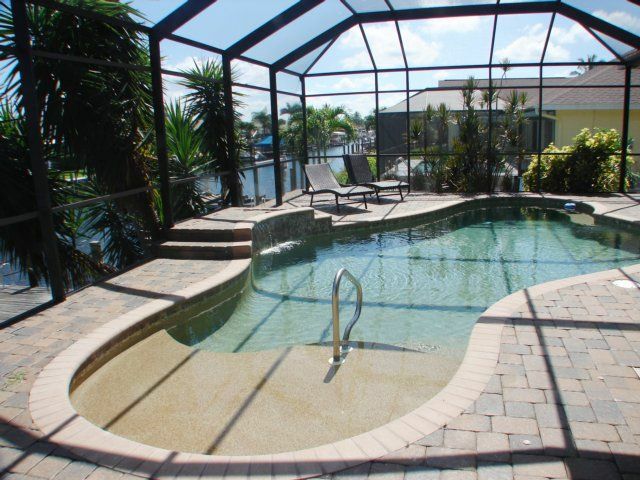 Or relax poolside in the privacy of your own backyard. 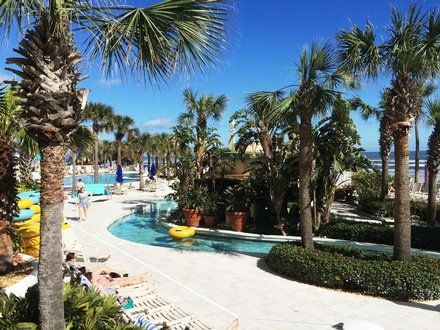 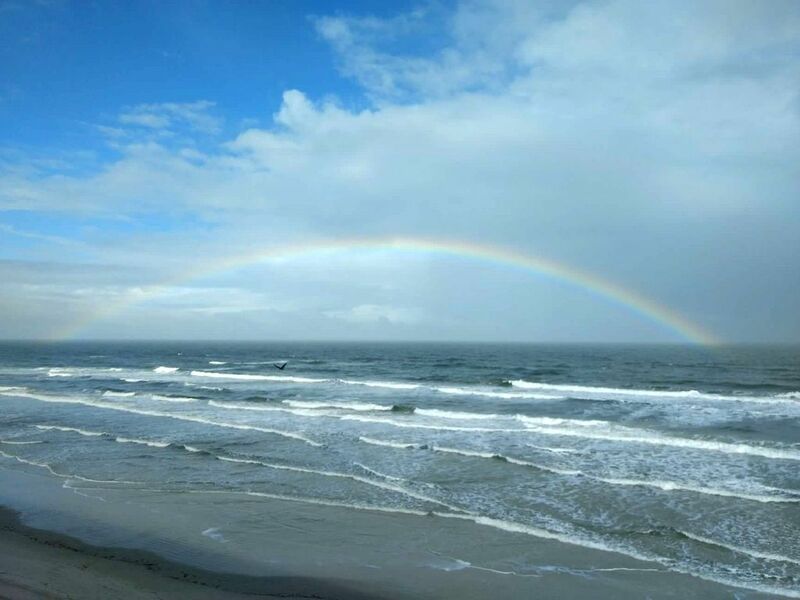 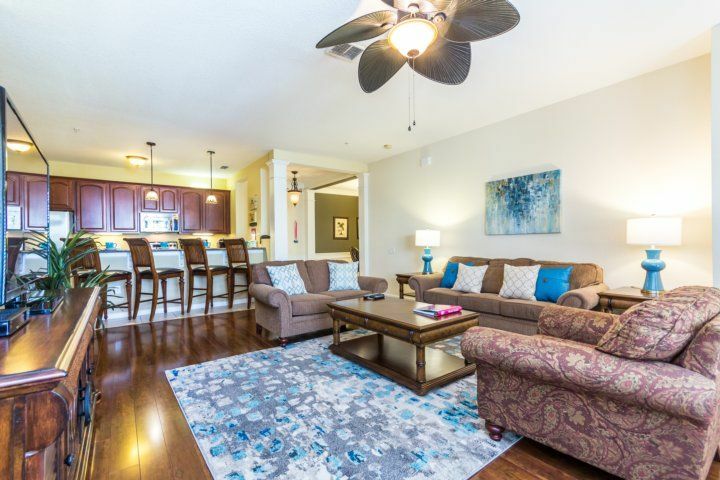 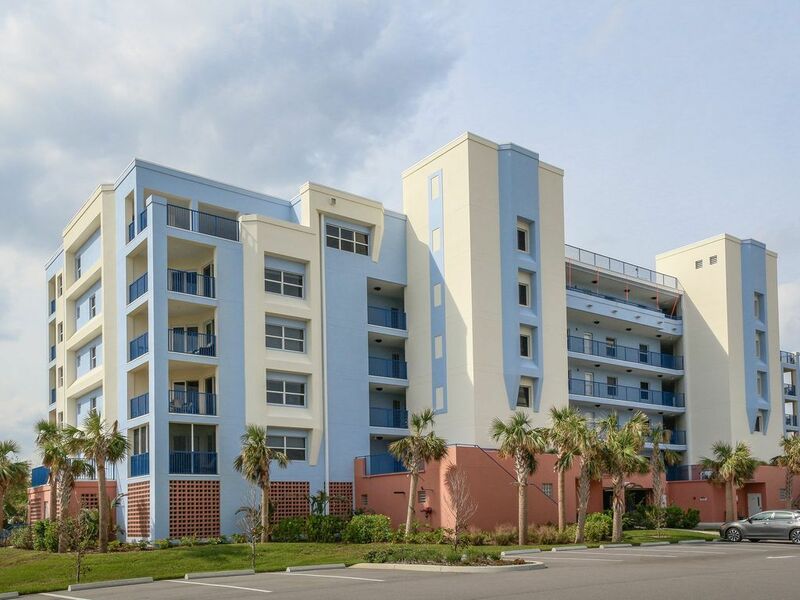 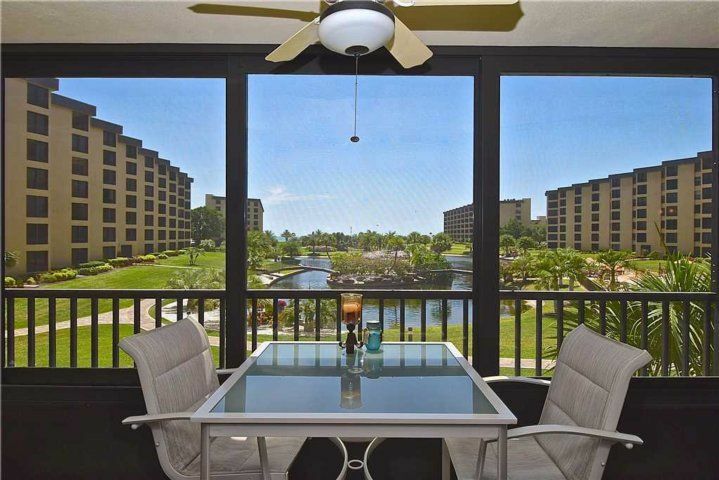 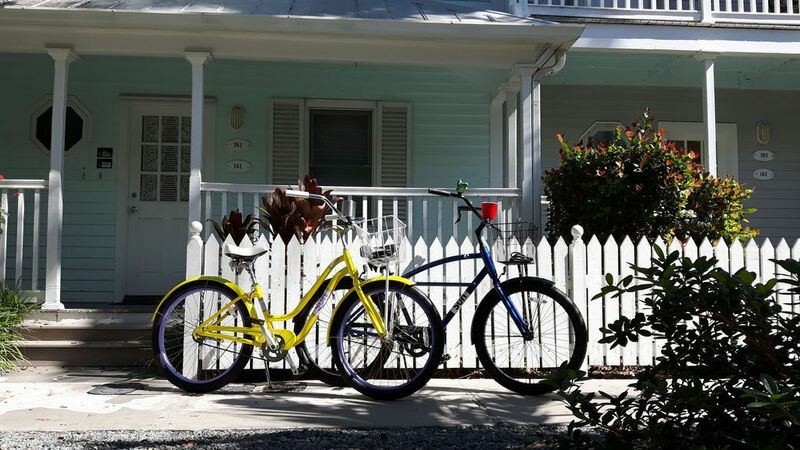 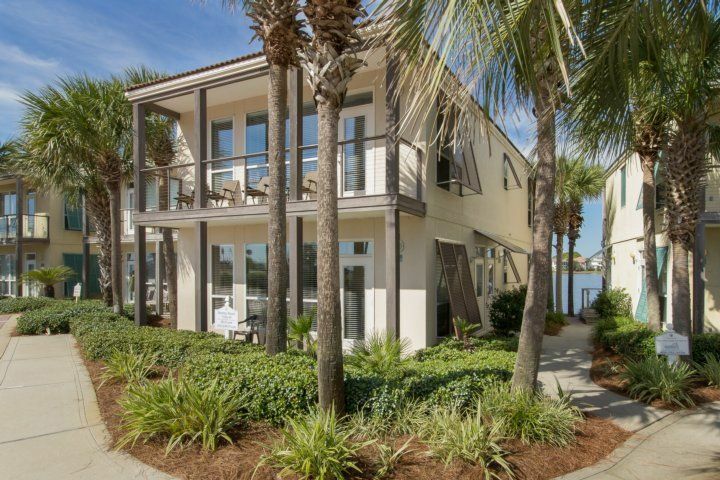 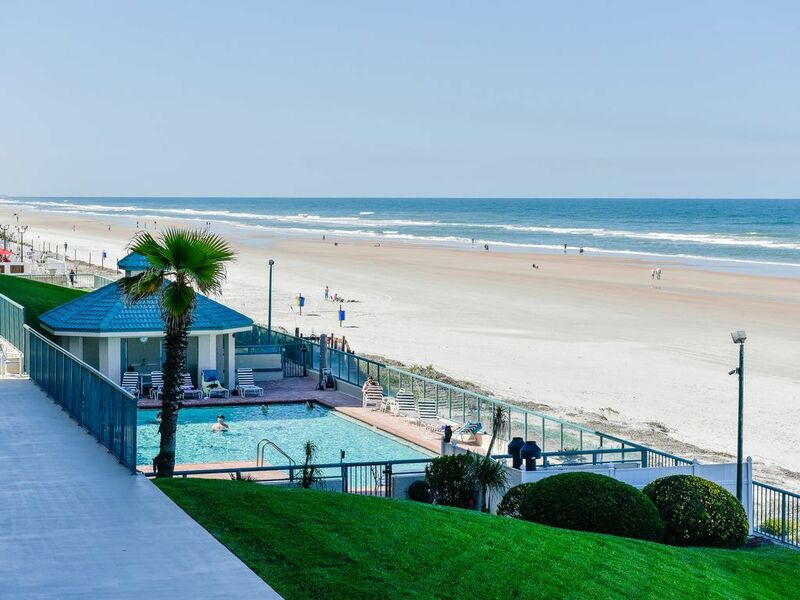 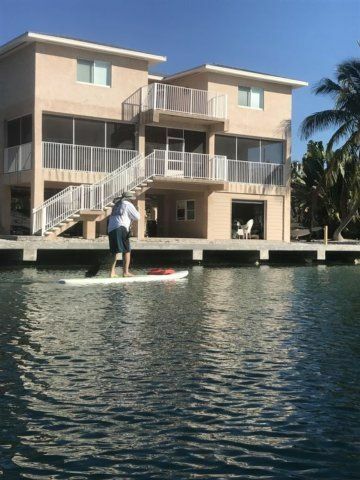 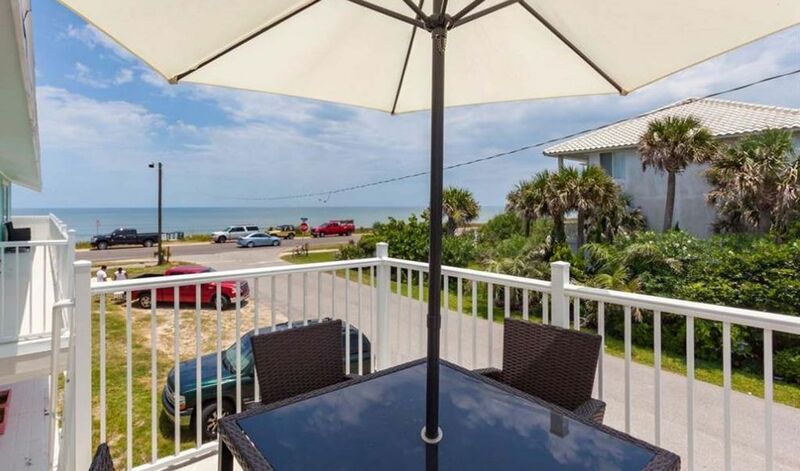 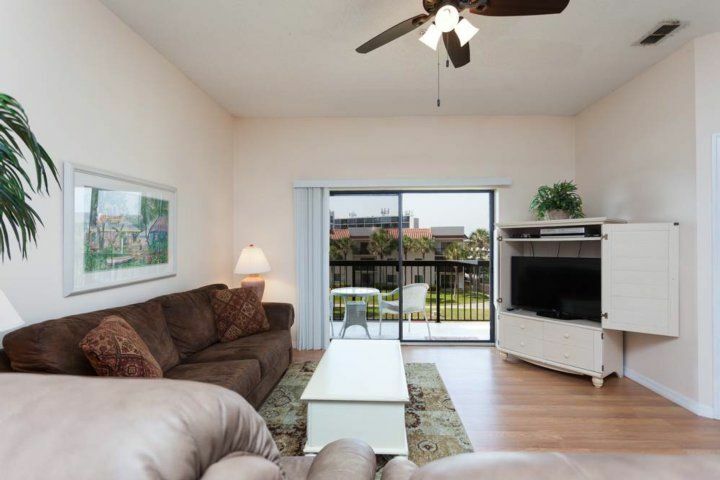 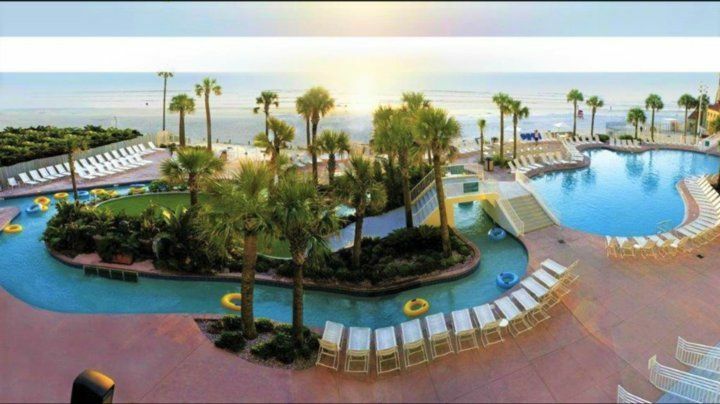 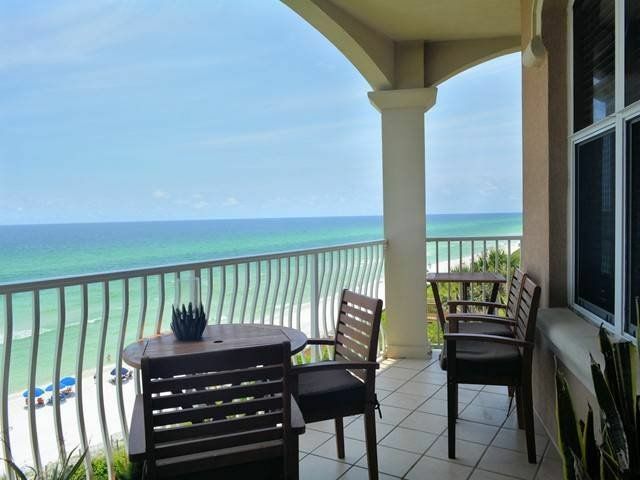 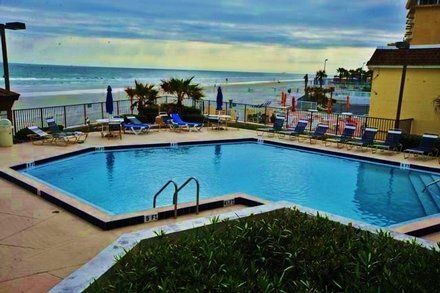 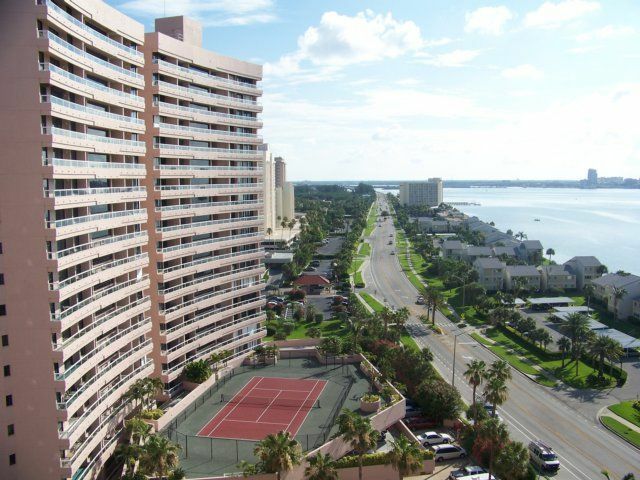 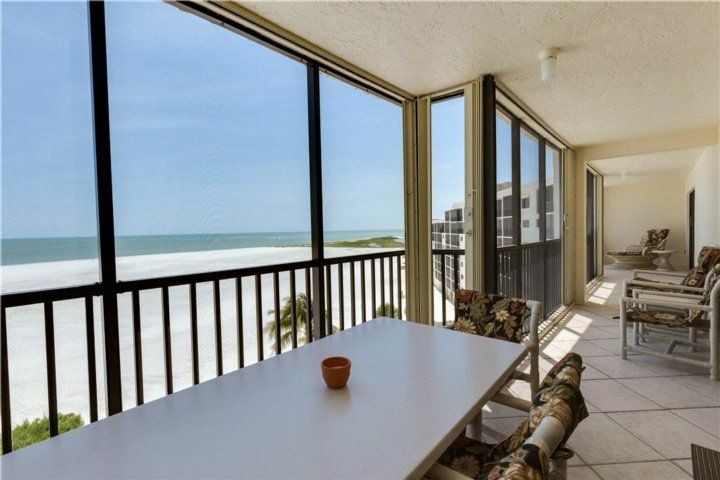 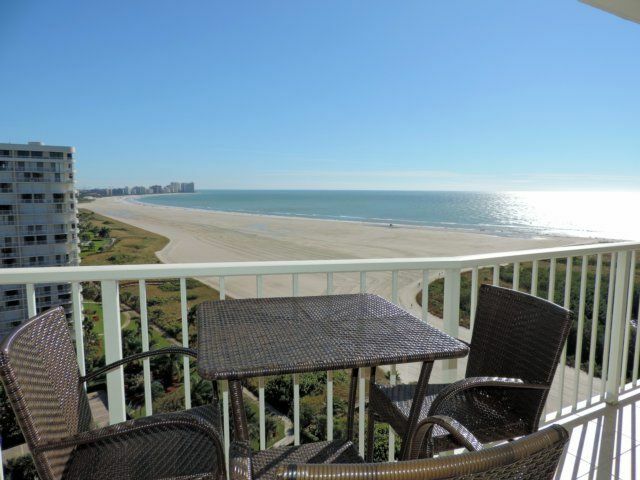 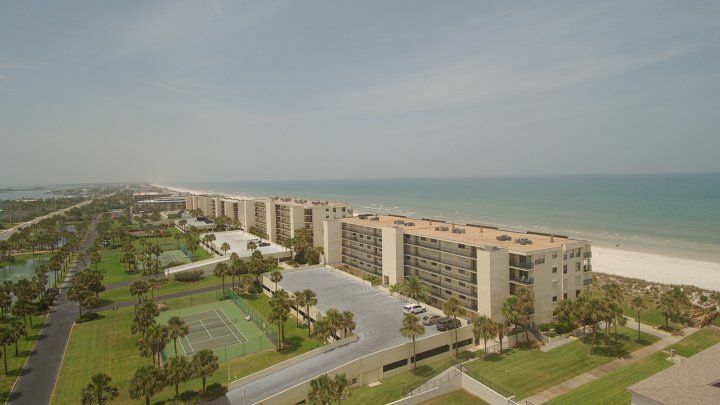 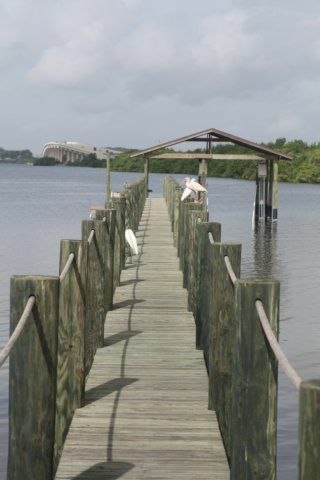 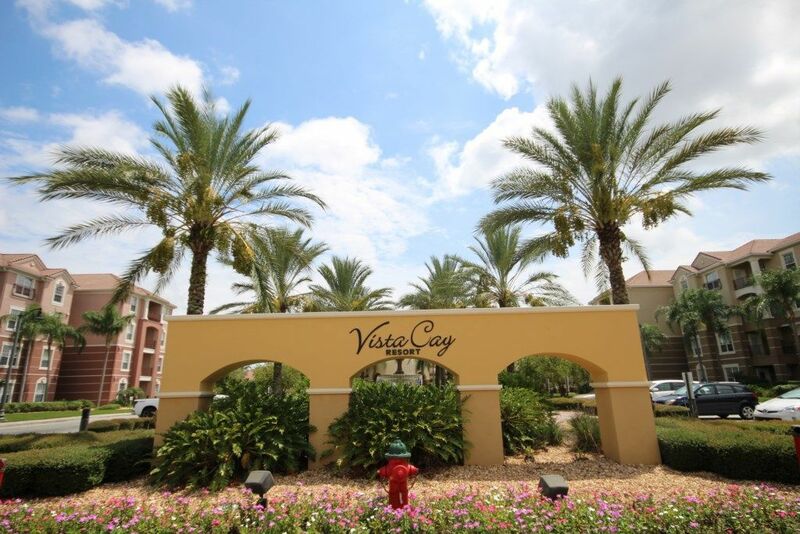 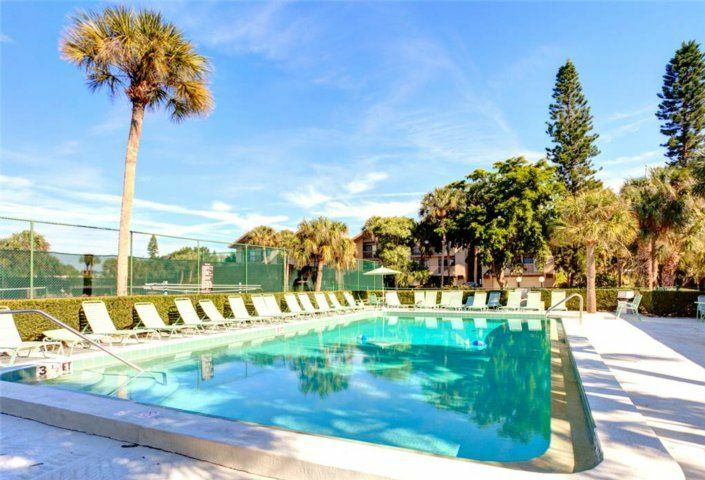 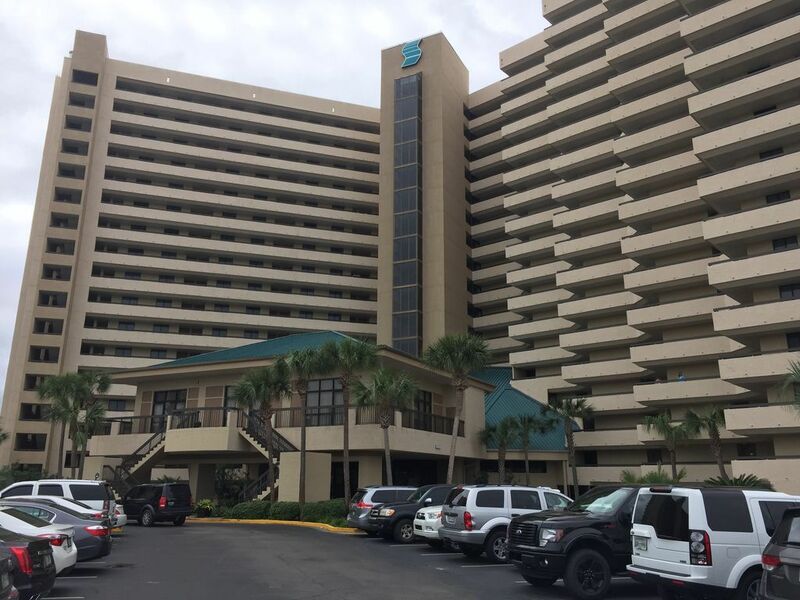 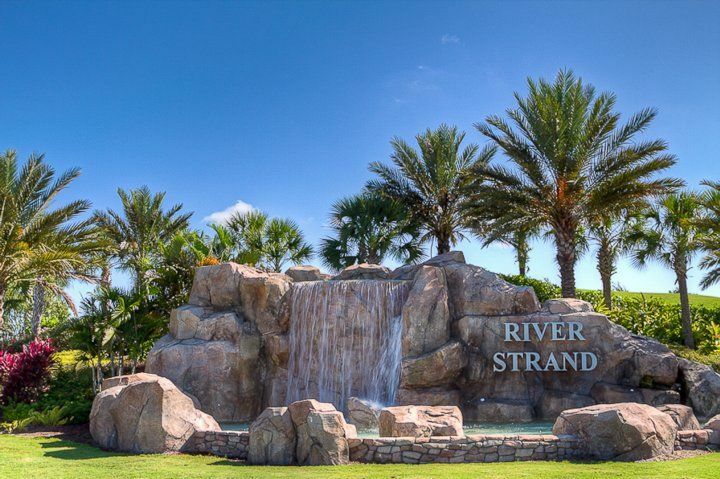 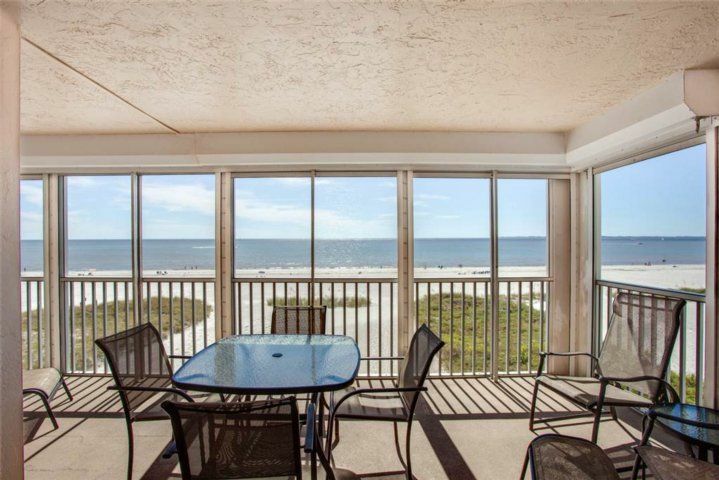 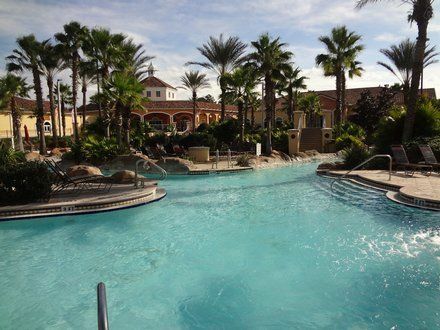 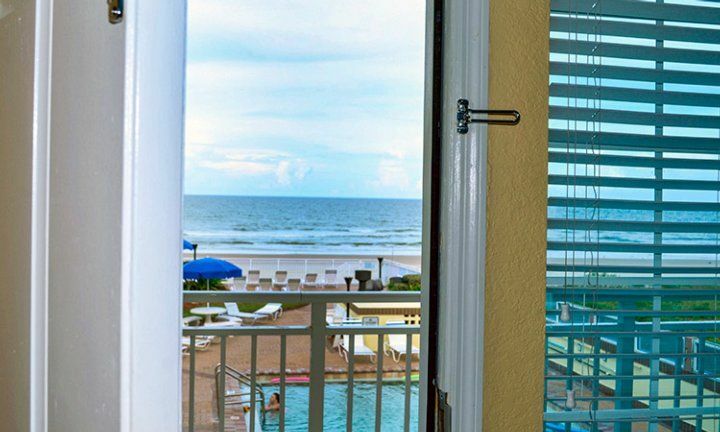 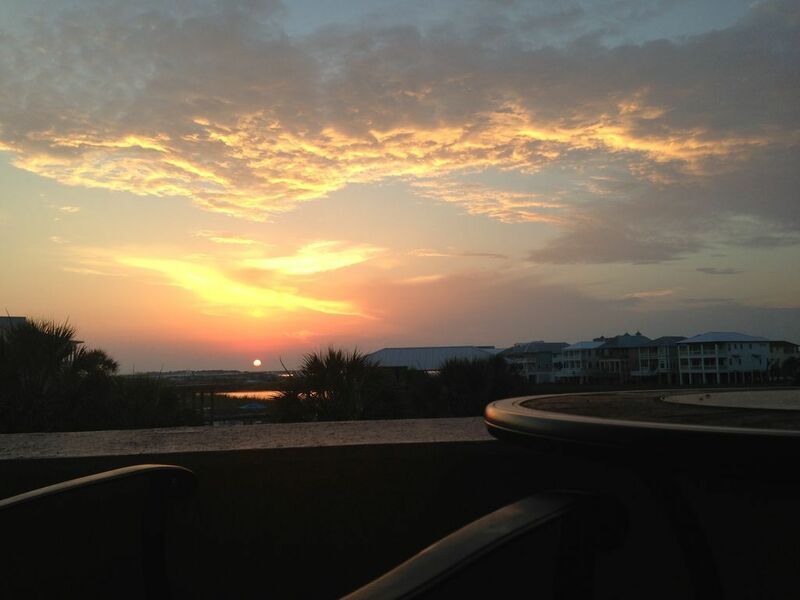 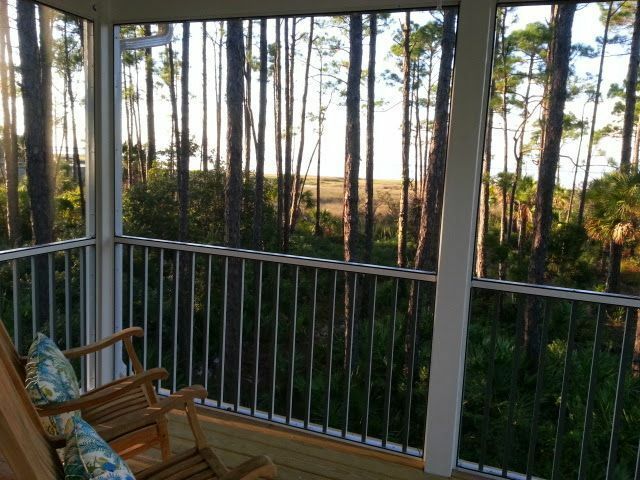 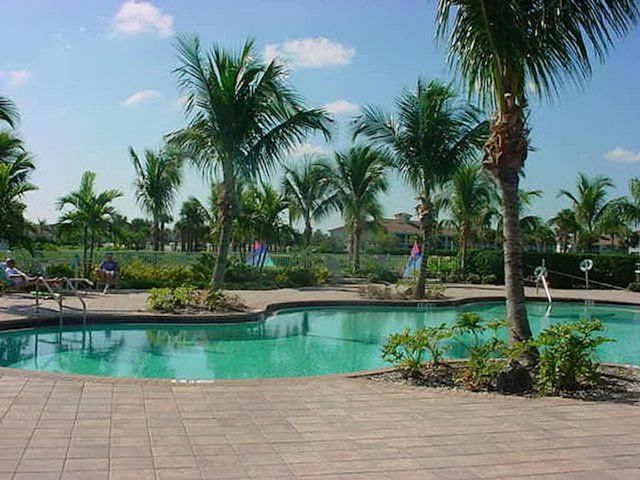 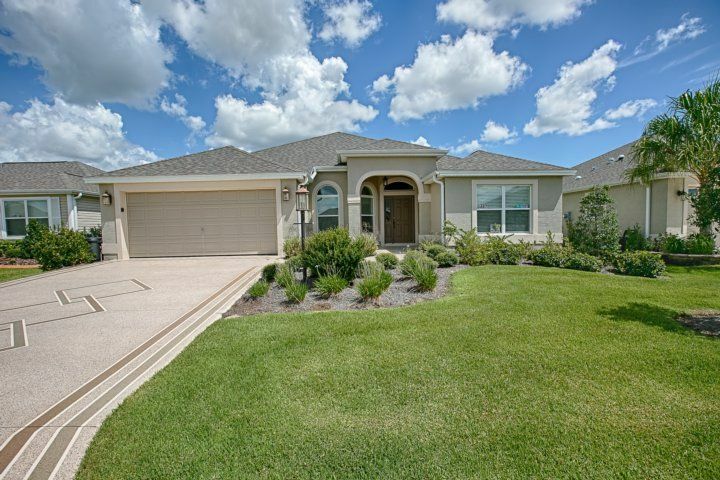 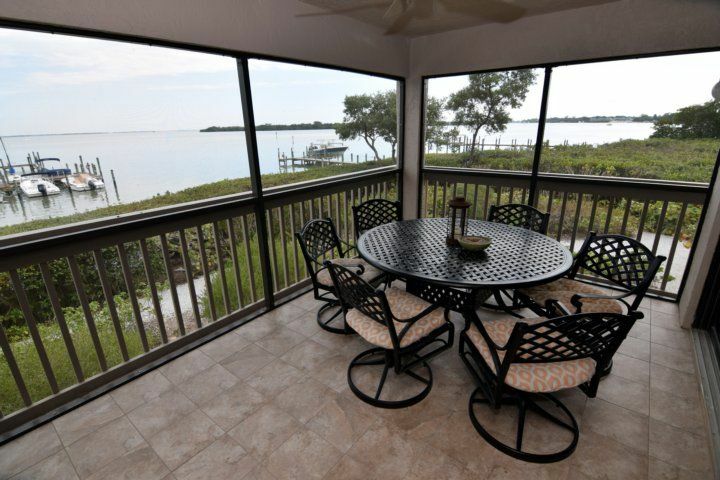 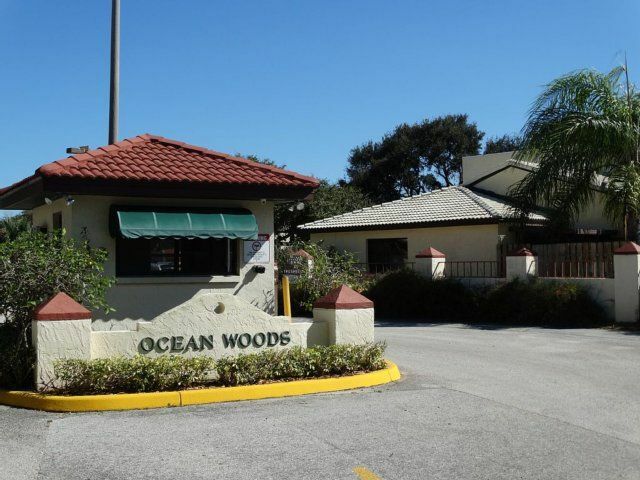 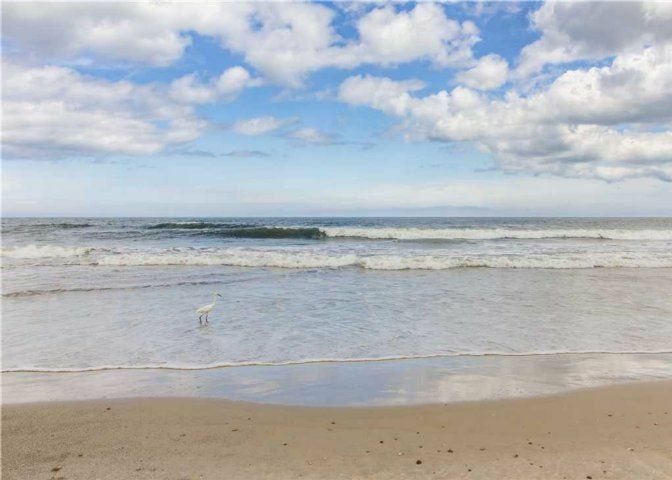 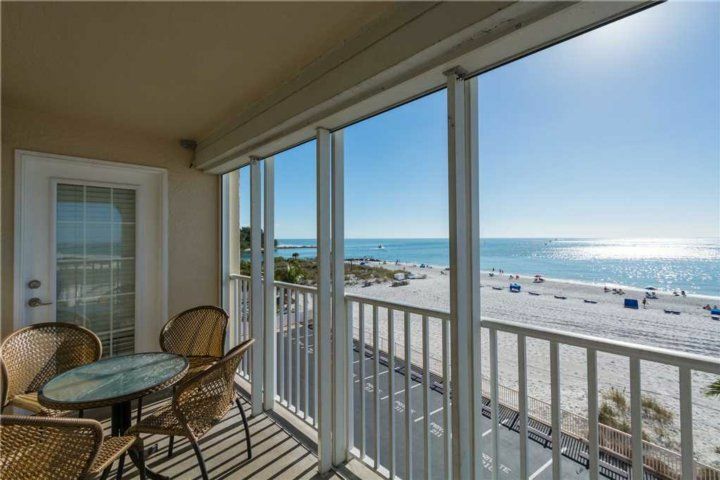 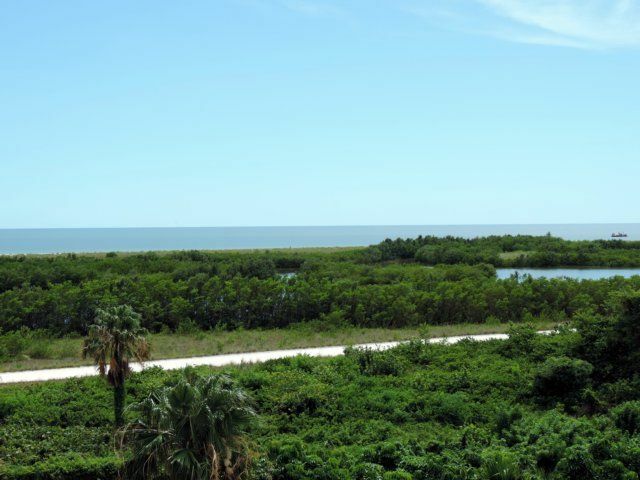 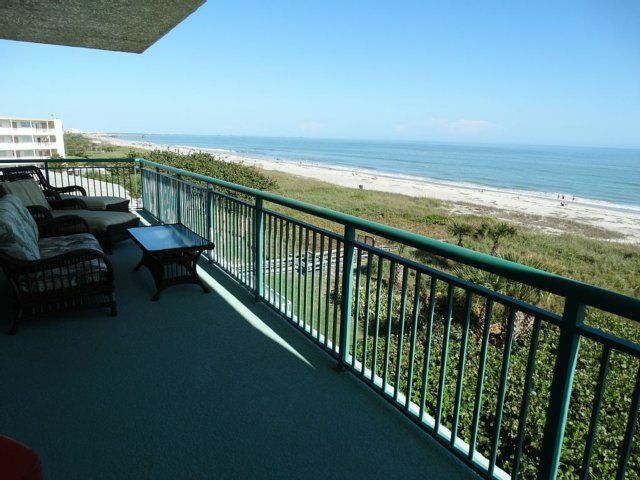 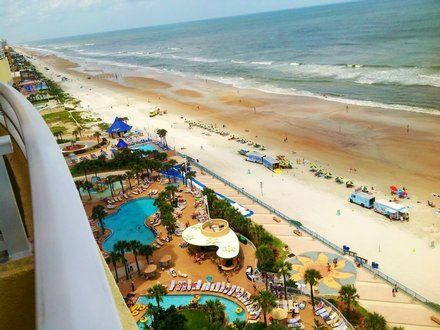 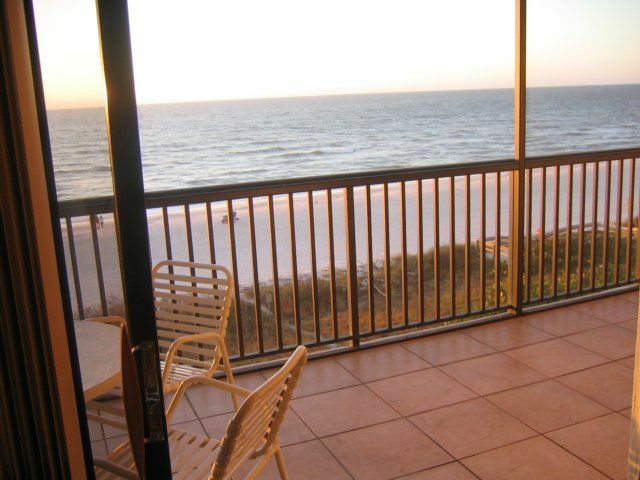 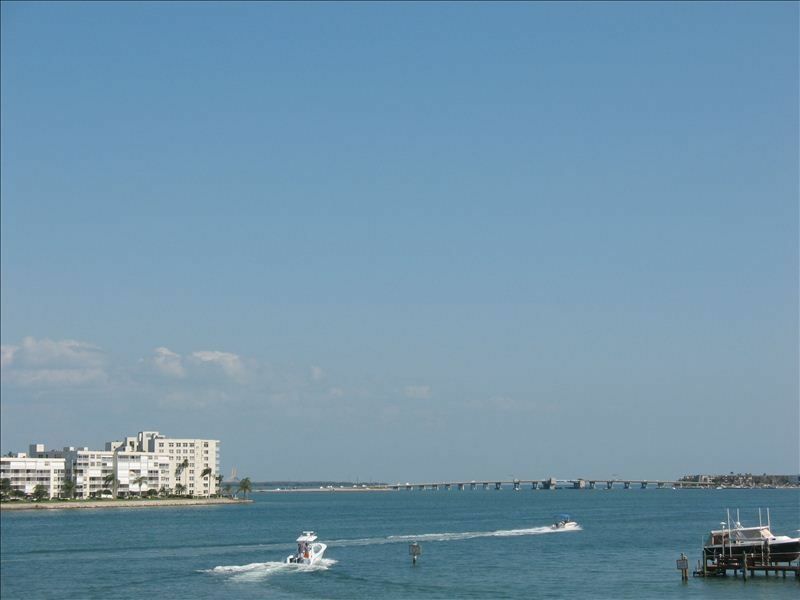 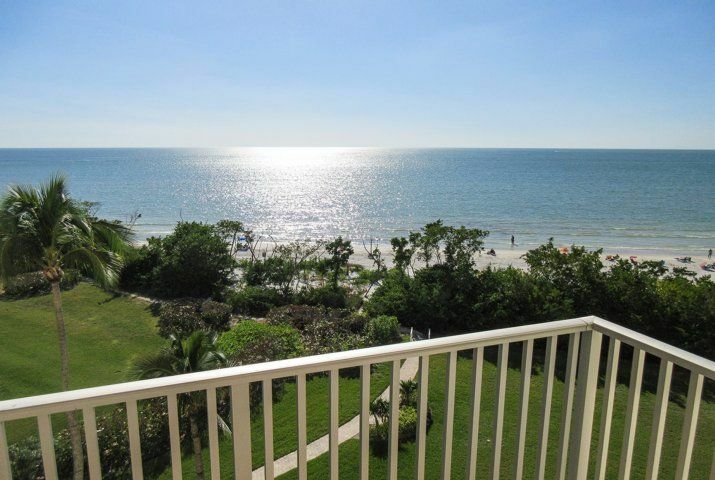 You?ll also enjoy proximity to shopping, dining, and family-friendly activities, plus water sports, fishing, boating, golfing, and live music. 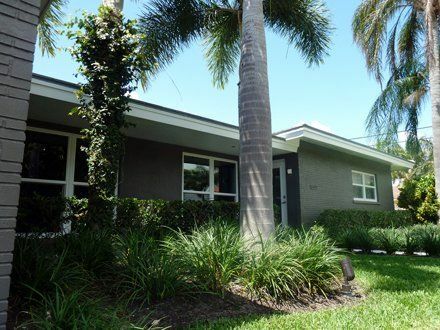 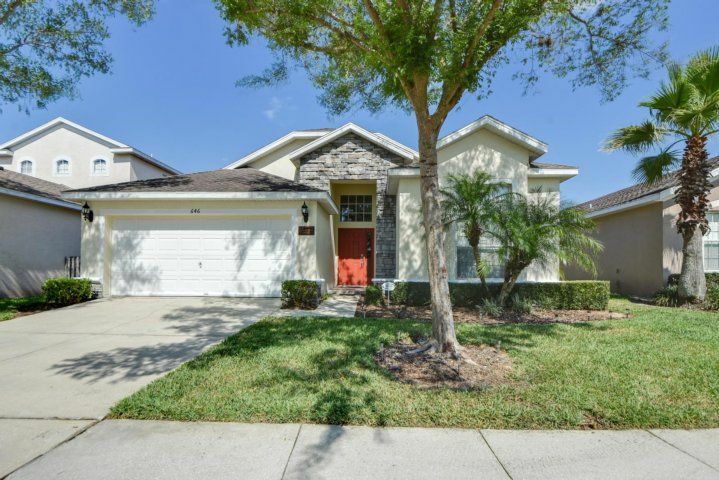 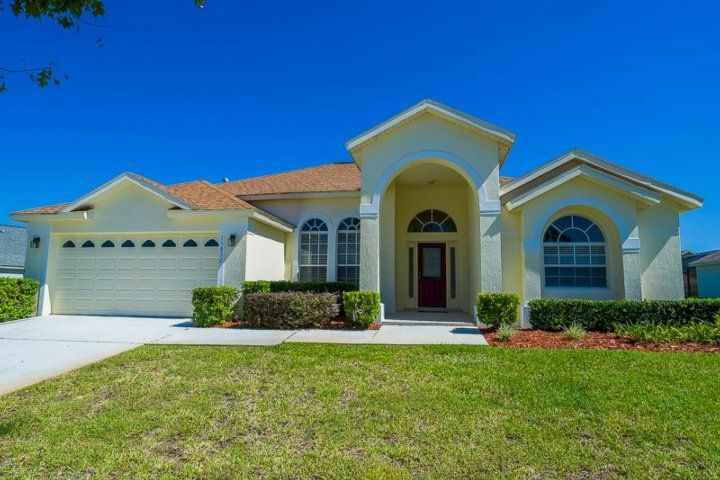 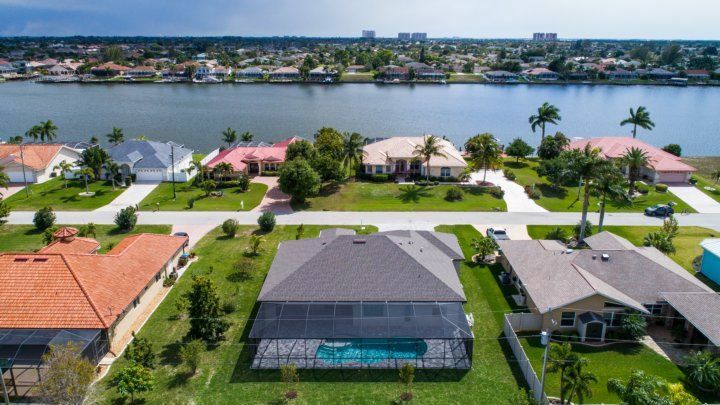 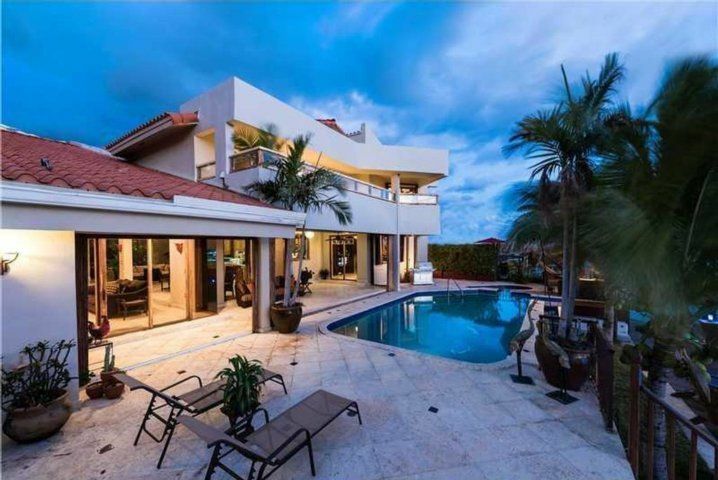 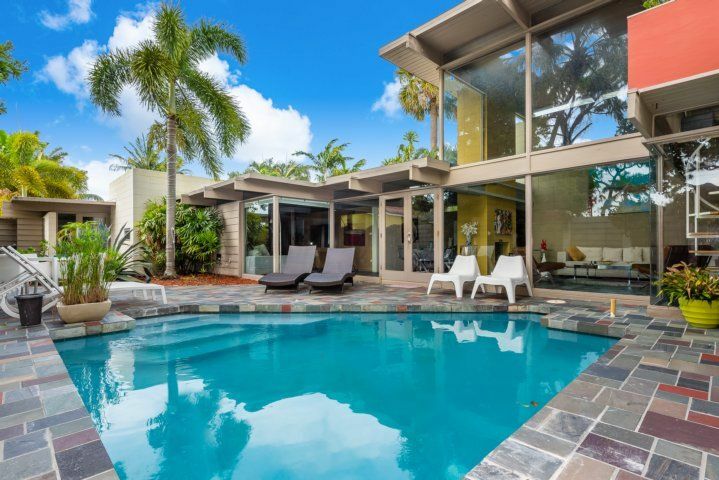 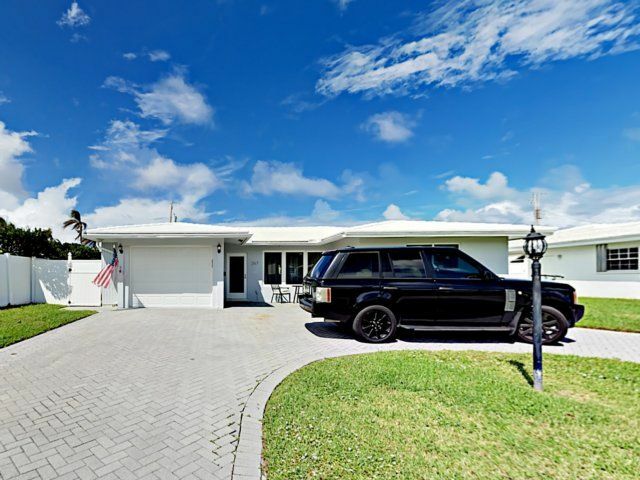 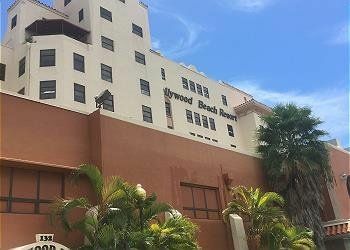 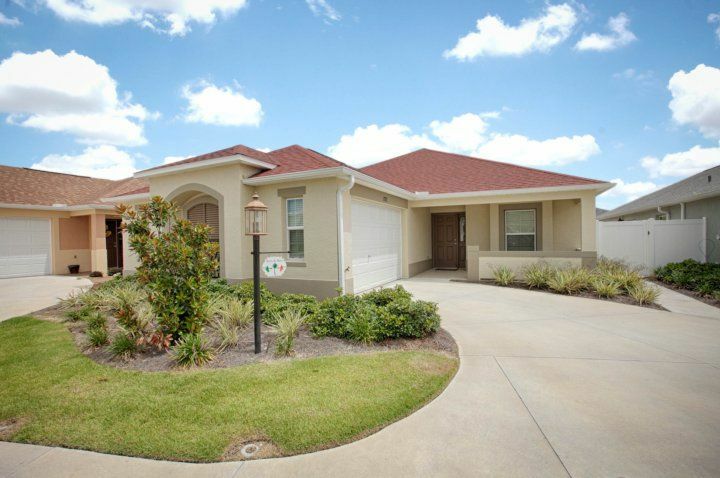 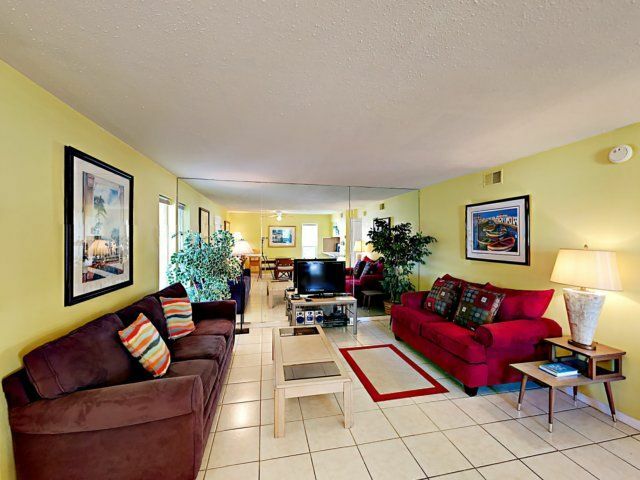 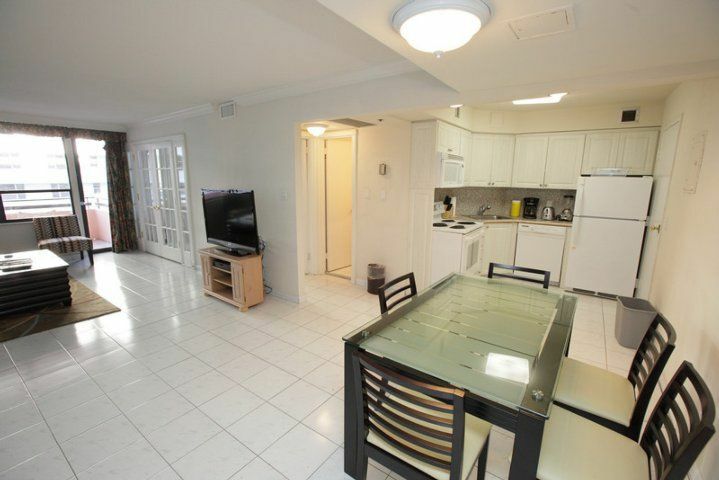 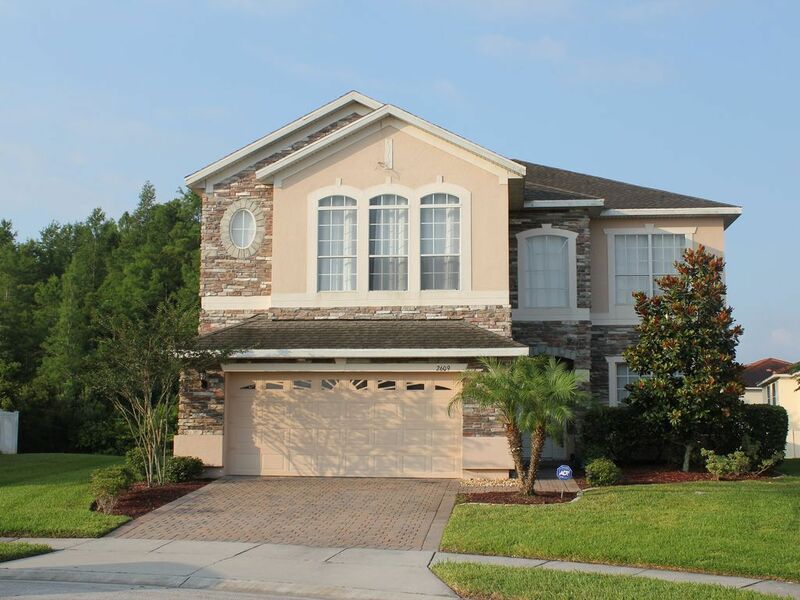 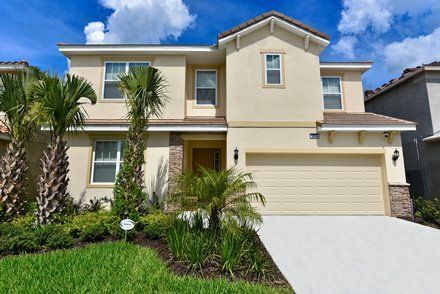 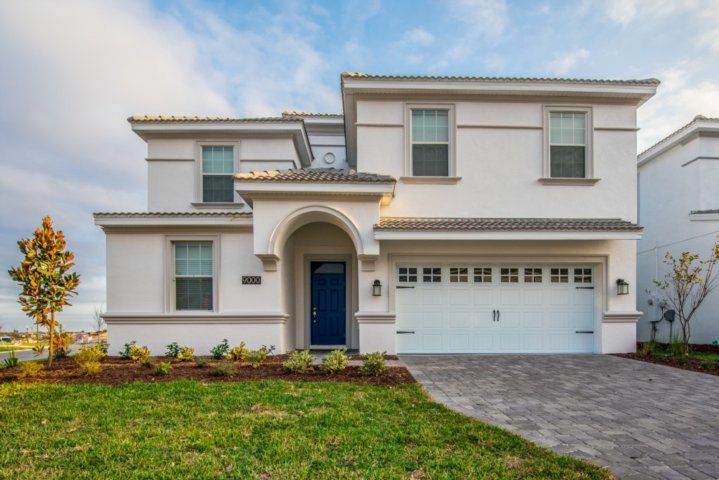 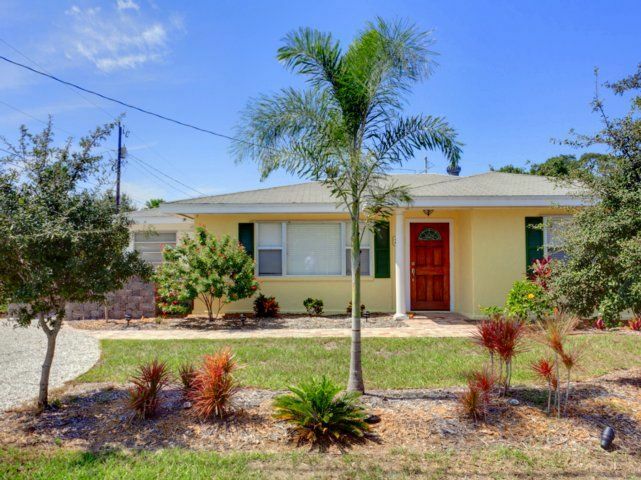 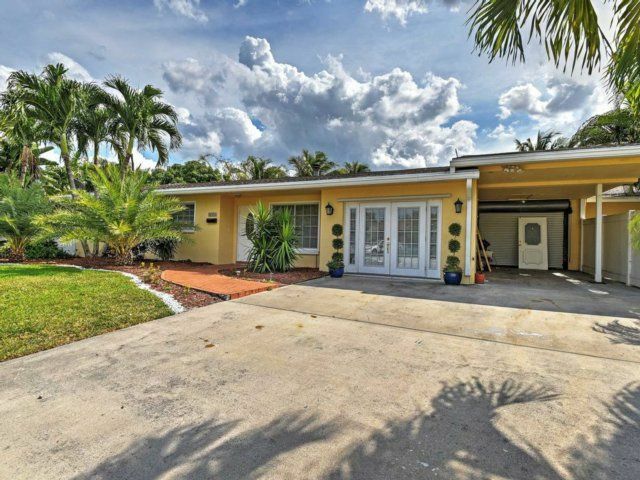 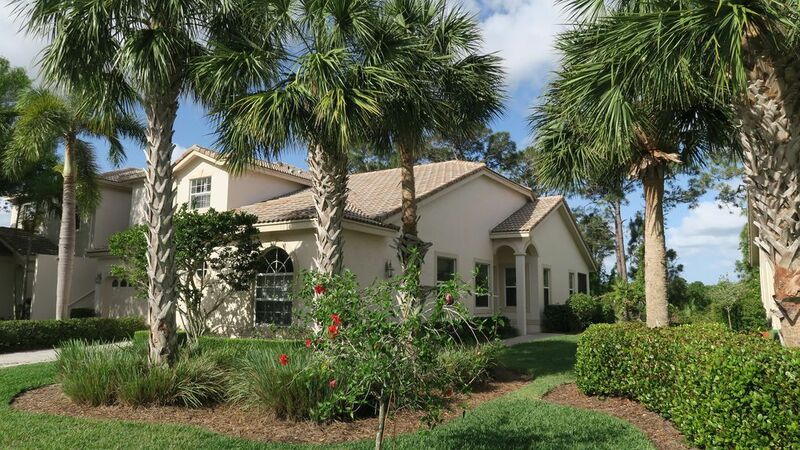 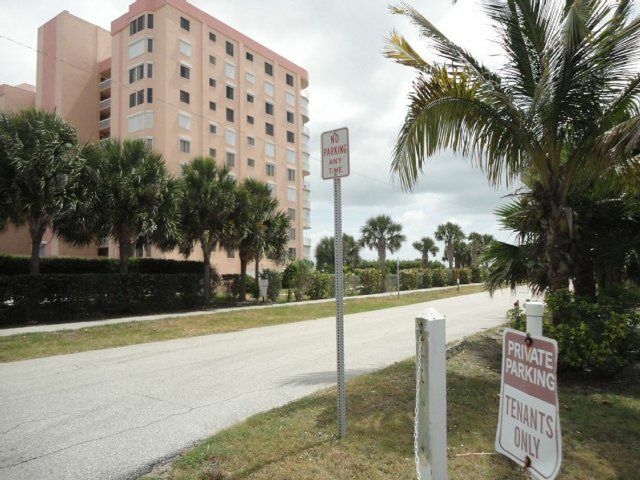 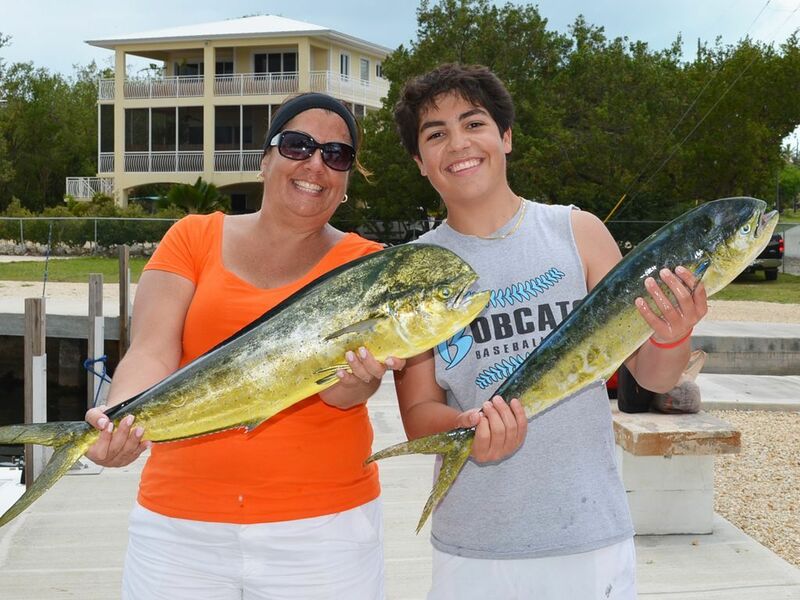 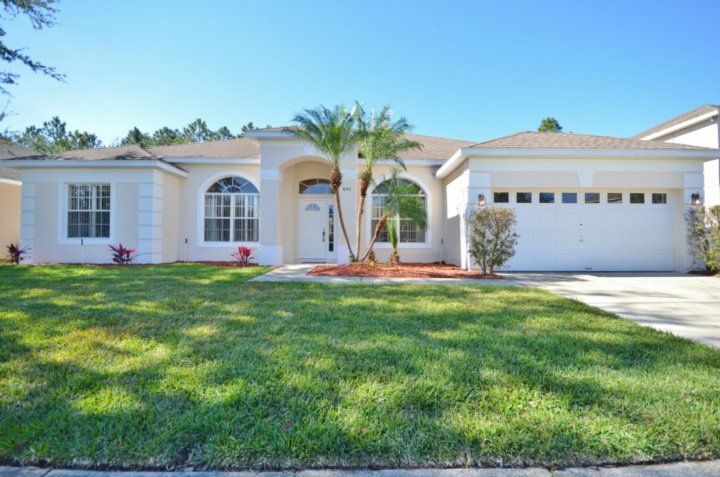 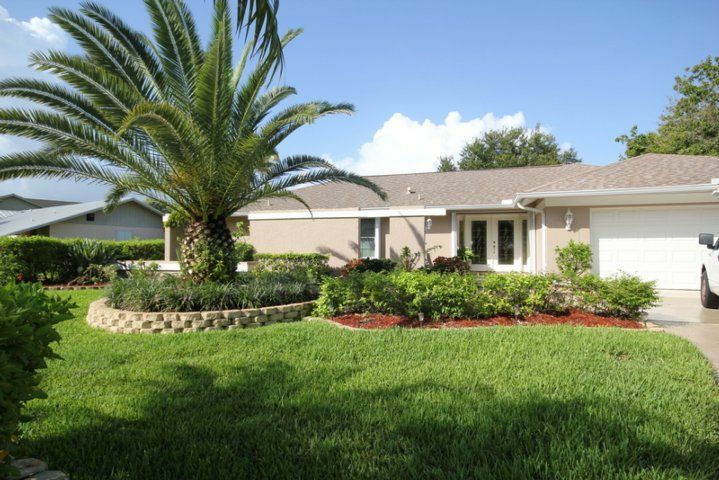 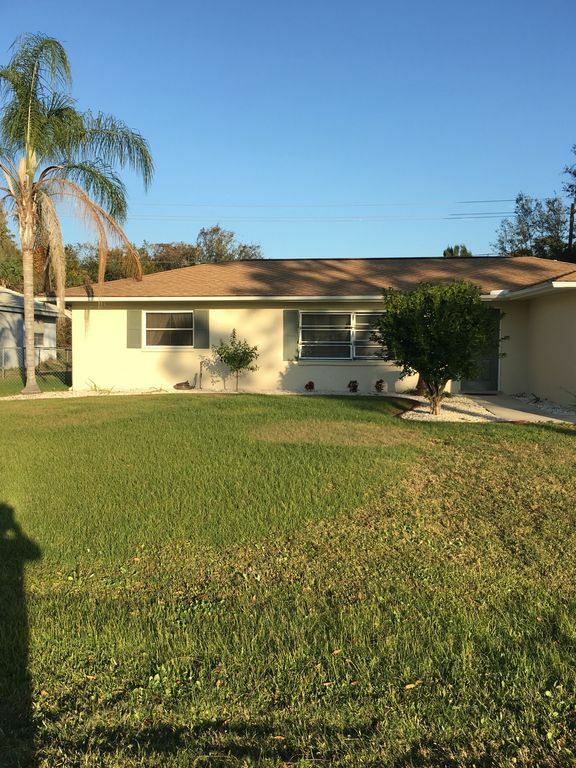 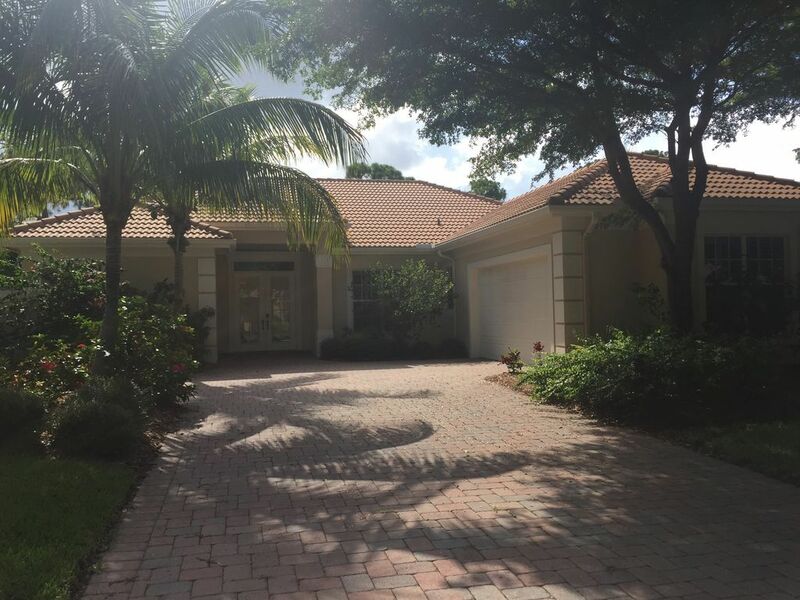 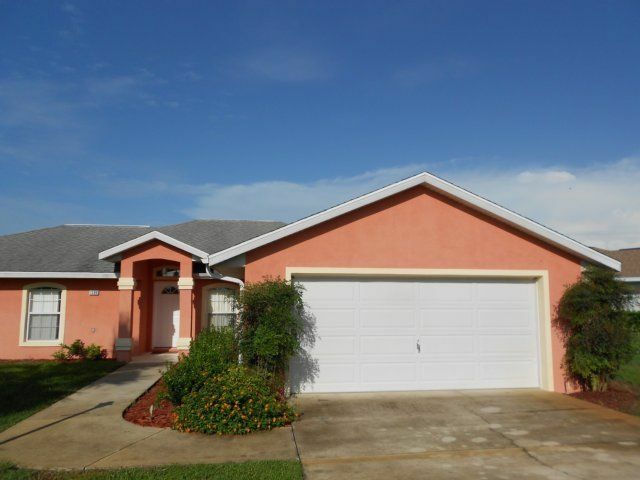 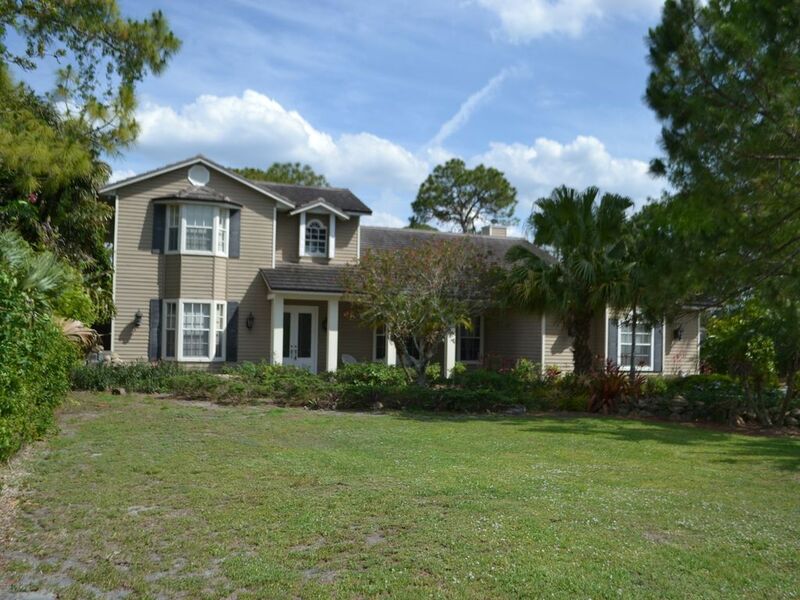 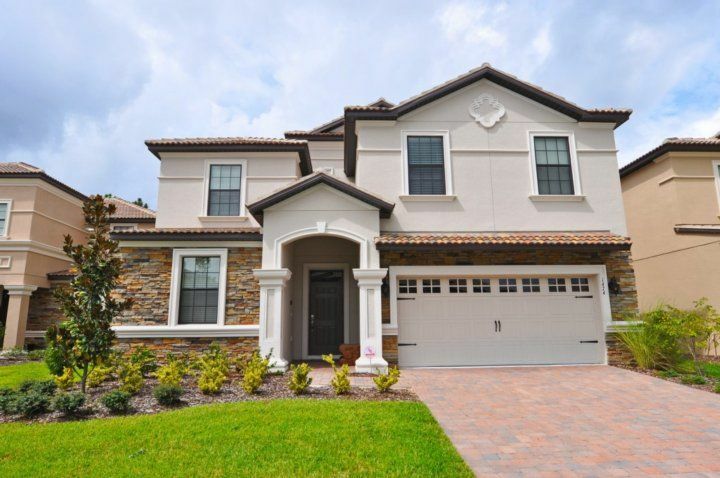 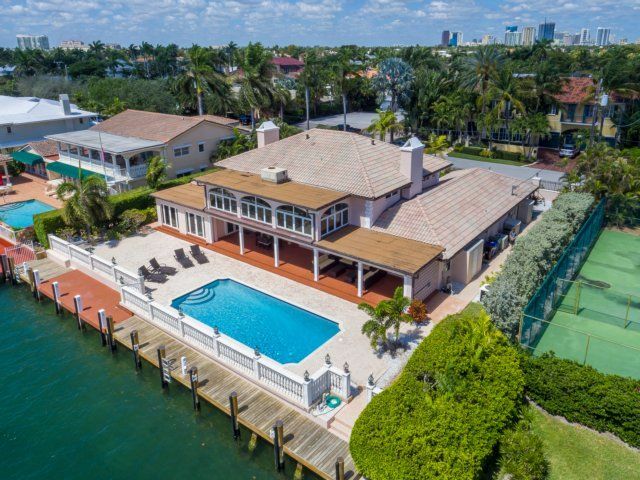 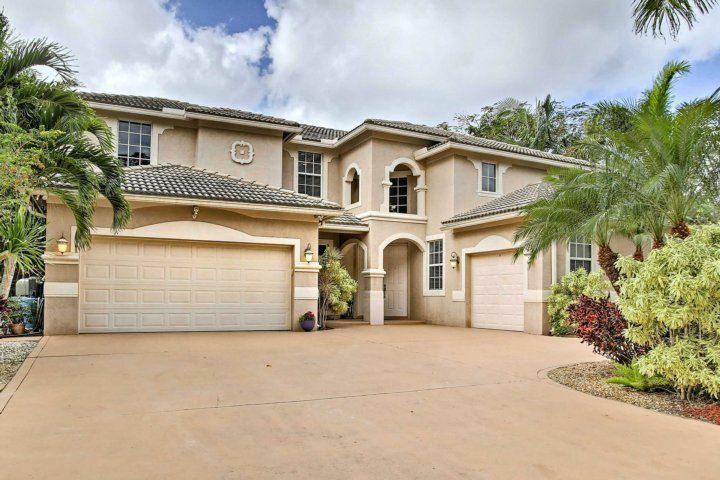 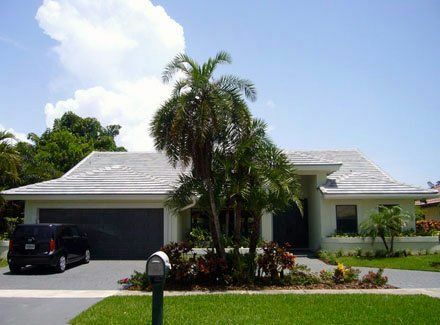 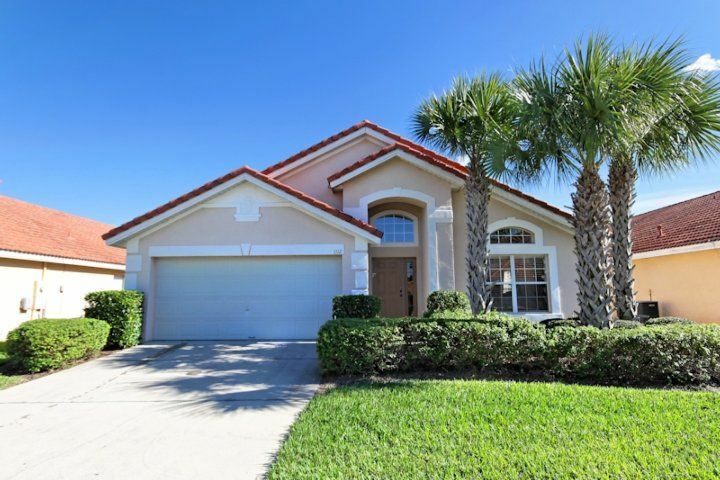 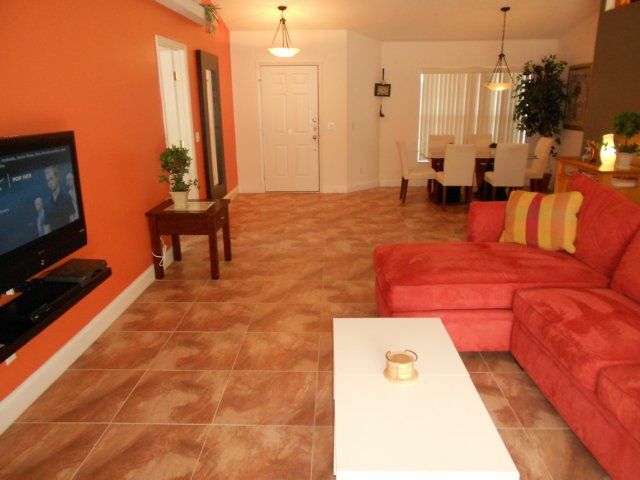 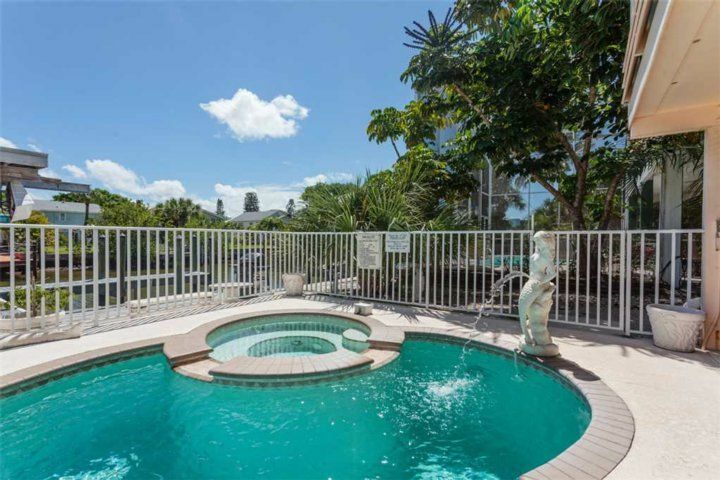 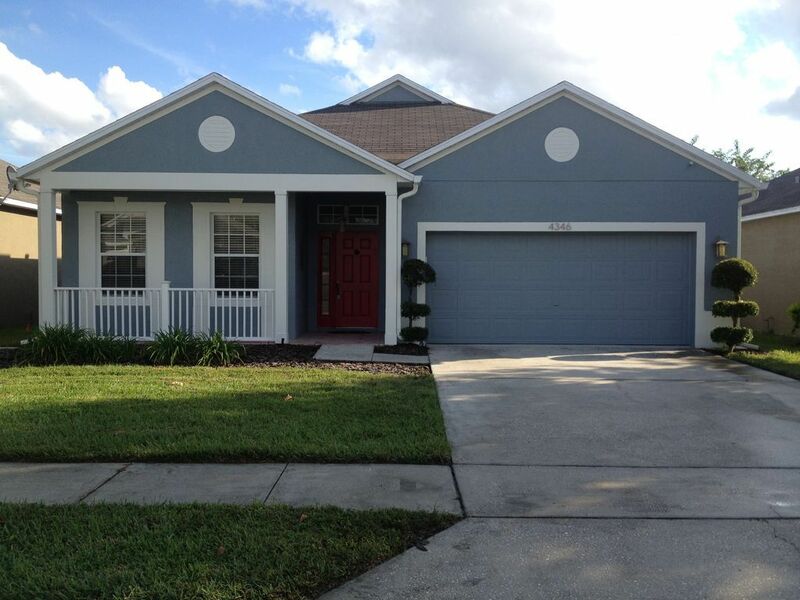 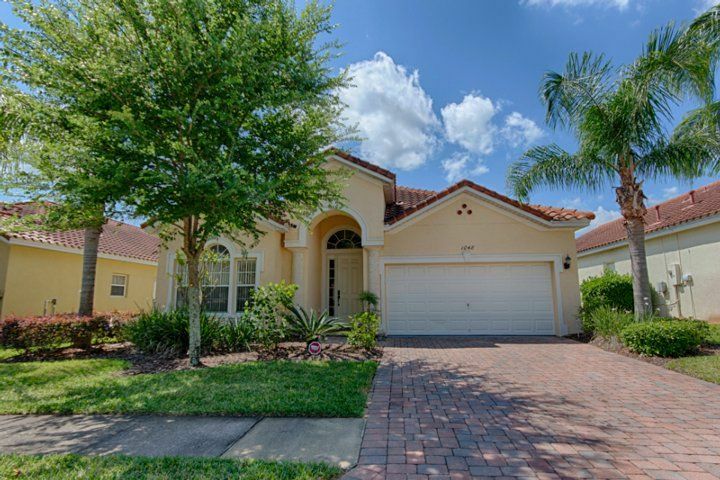 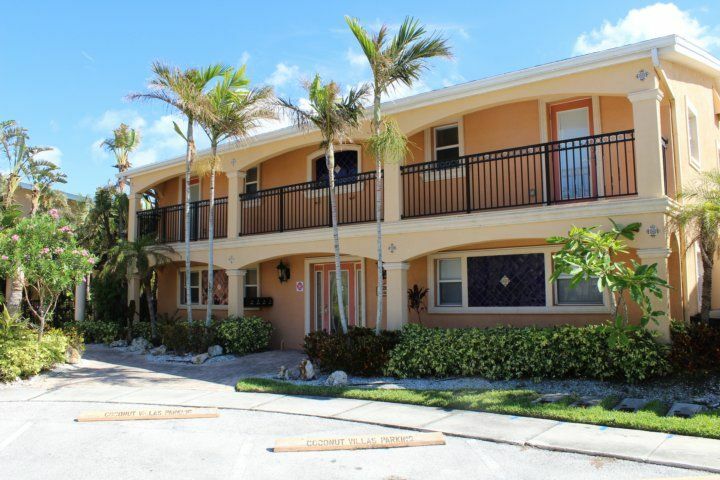 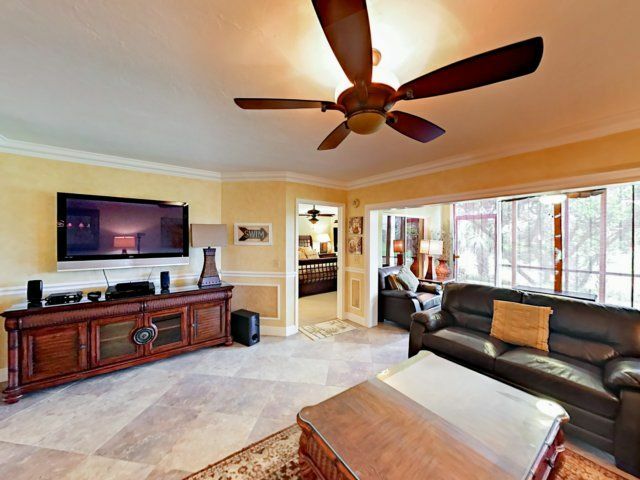 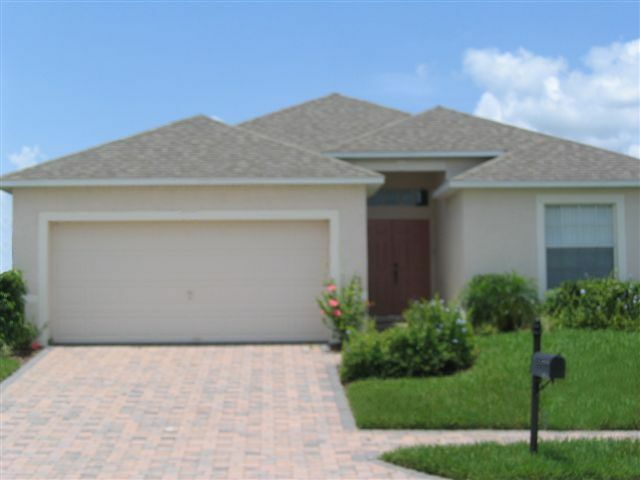 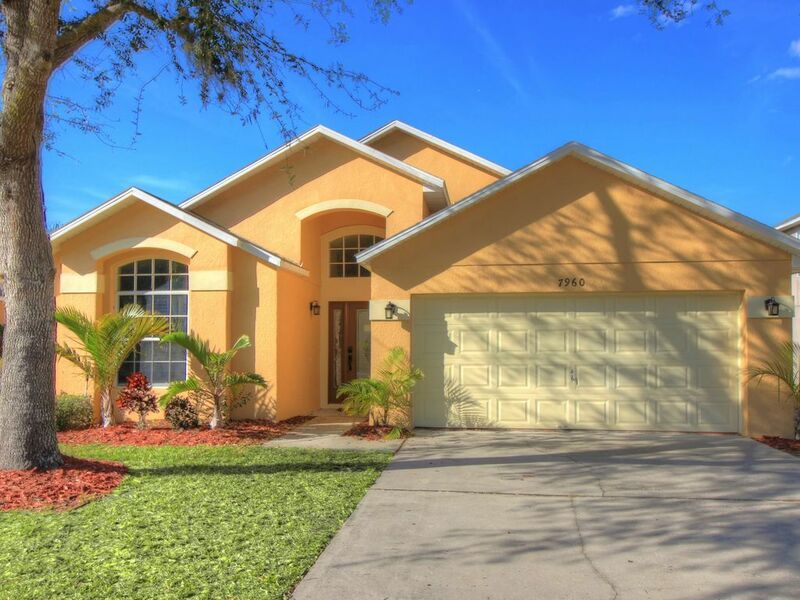 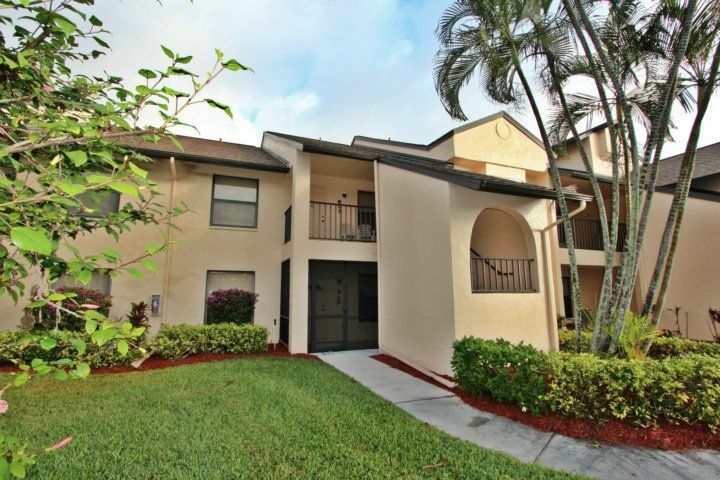 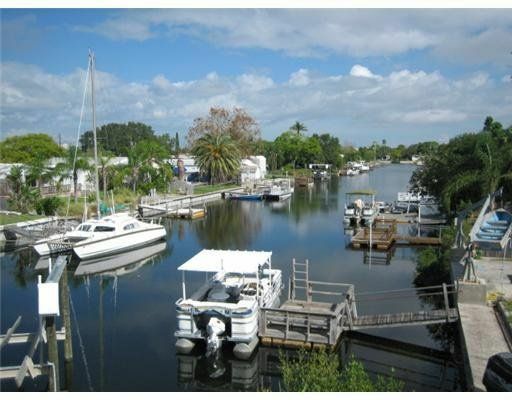 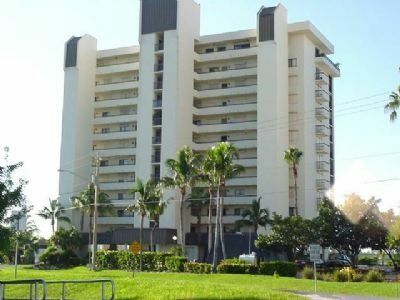 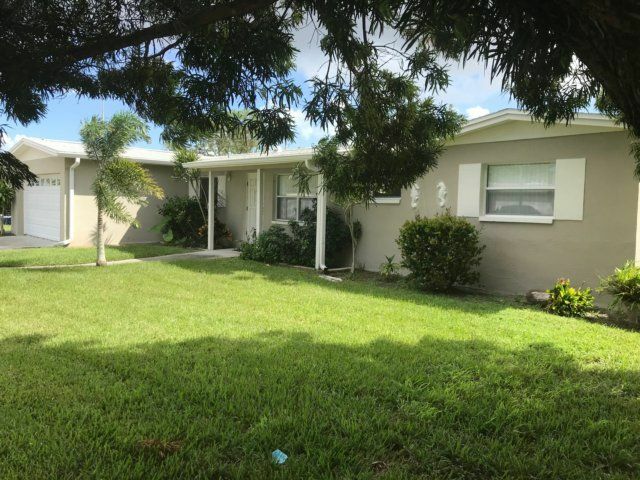 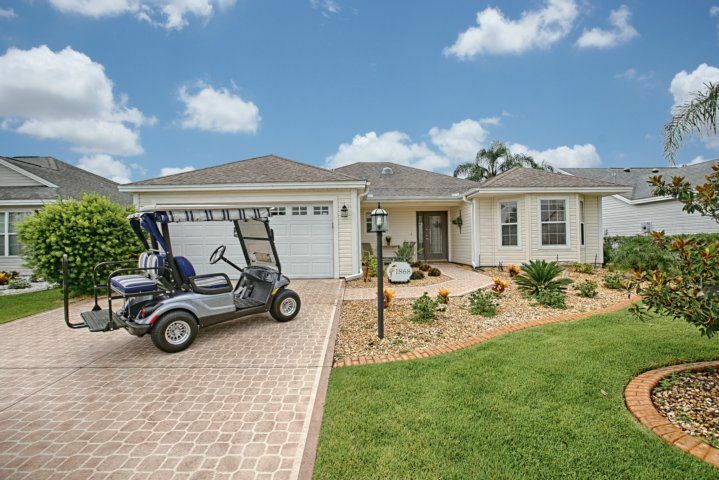 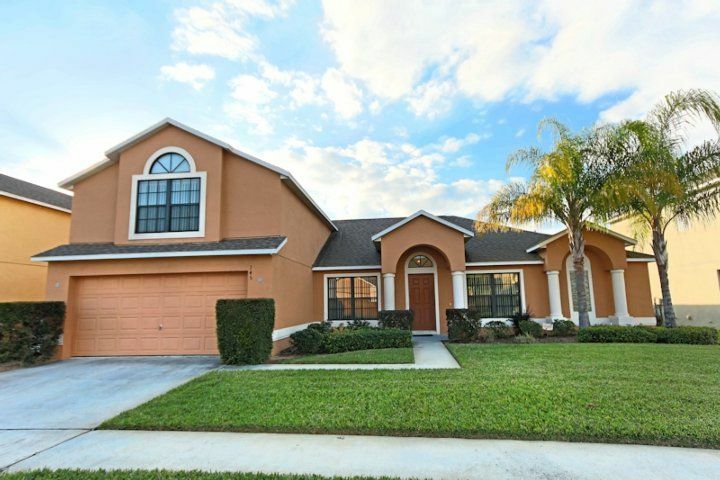 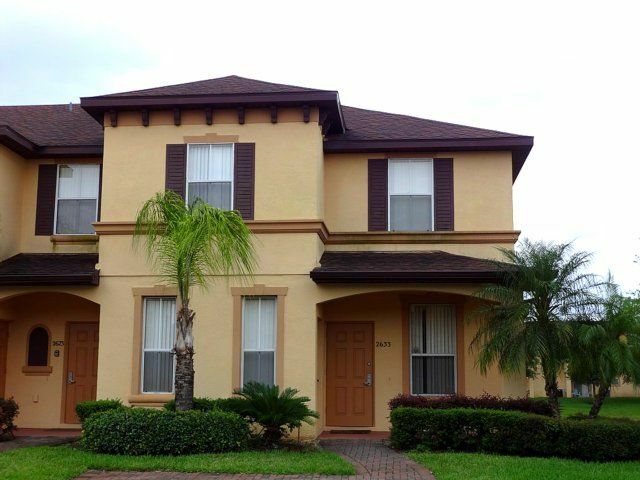 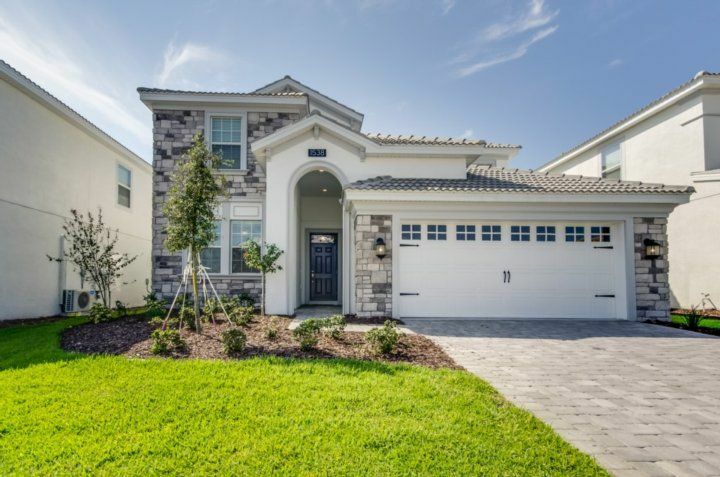 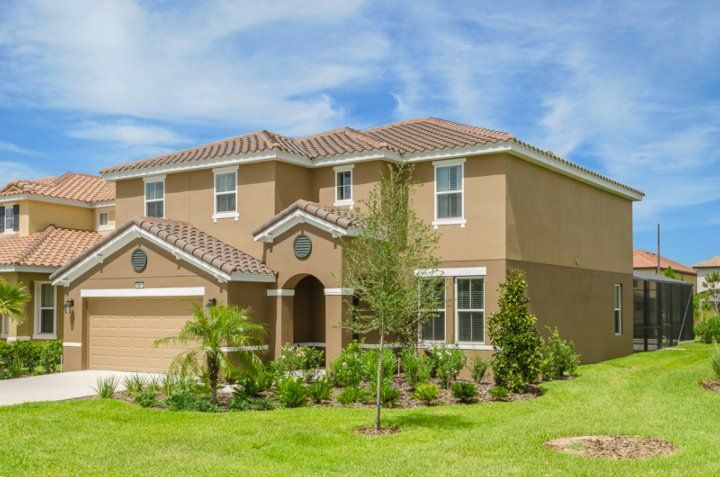 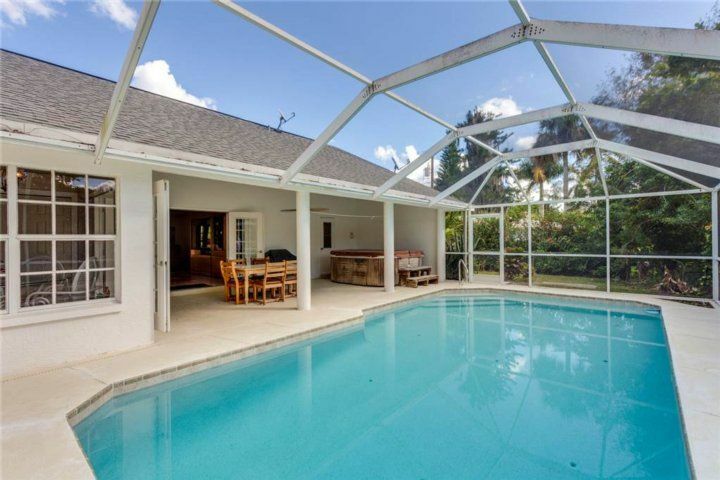 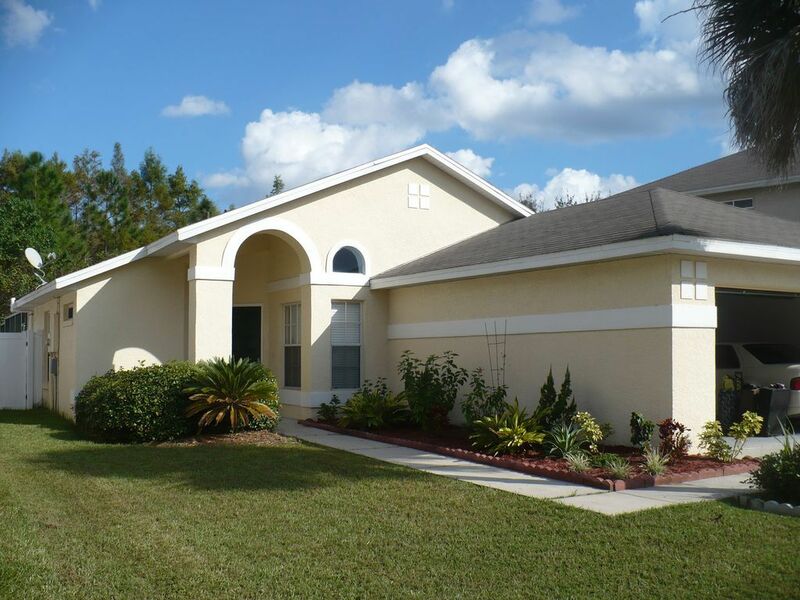 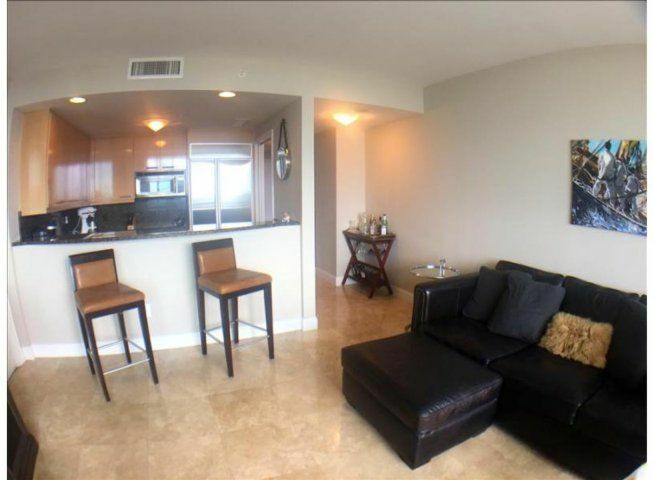 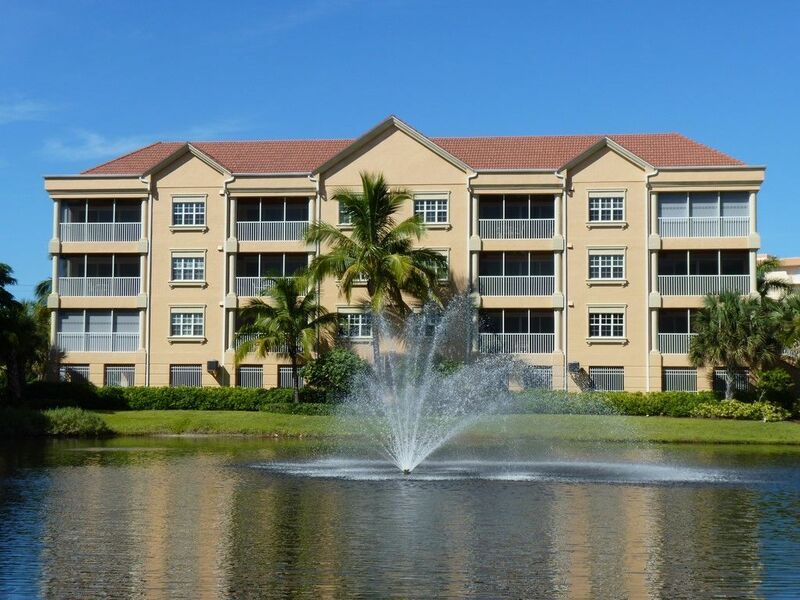 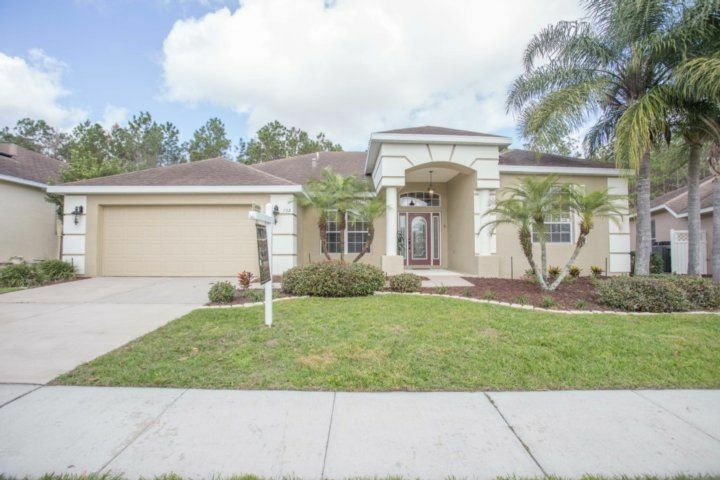 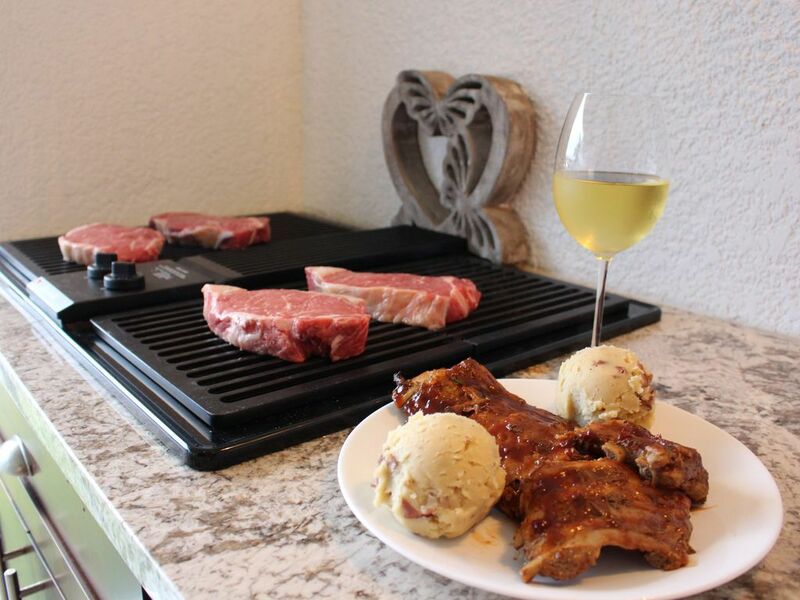 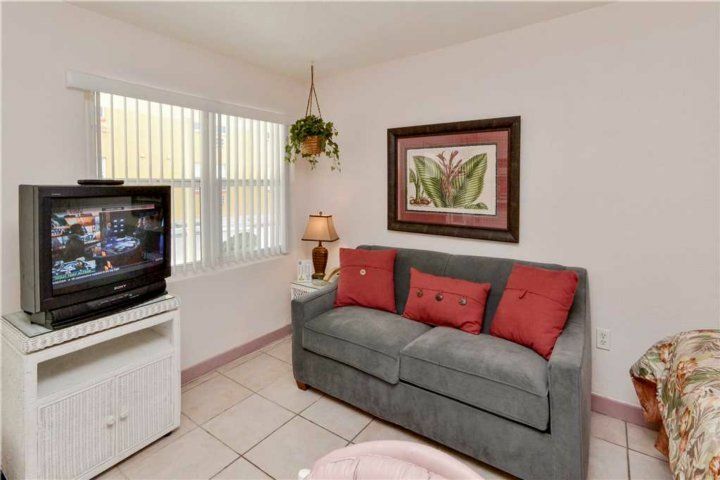 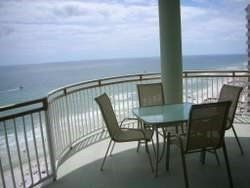 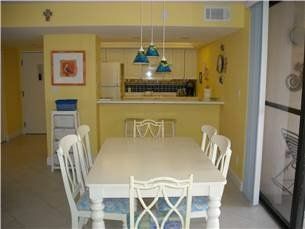 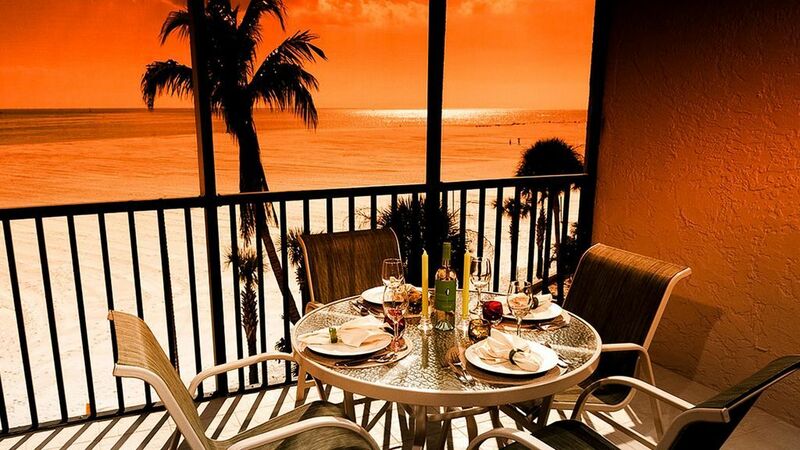 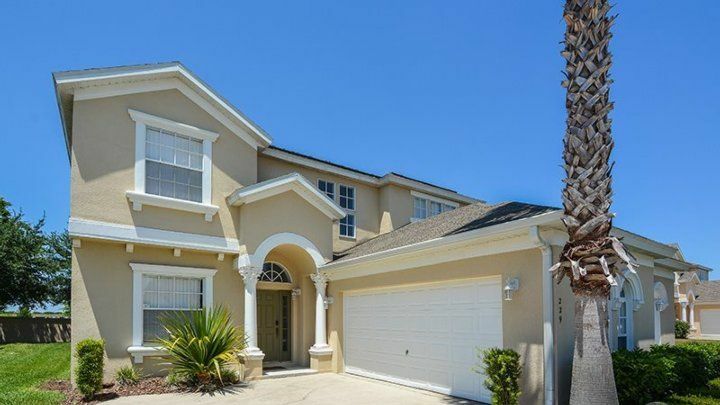 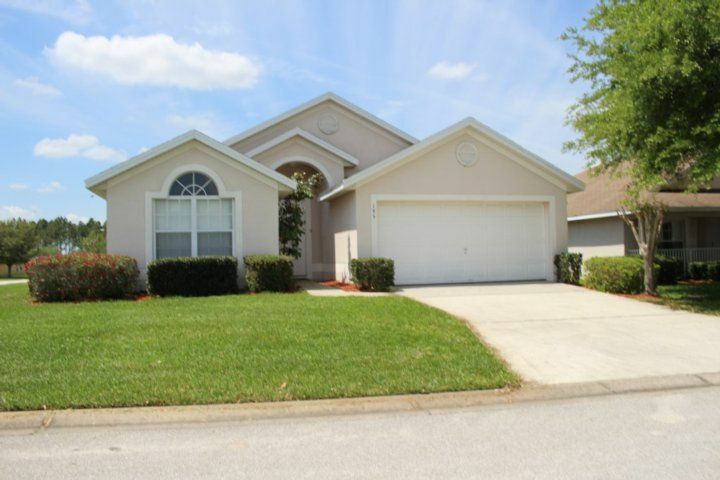 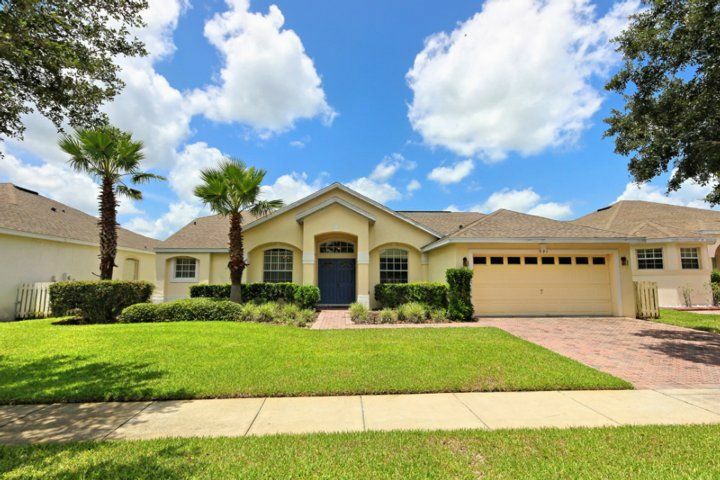 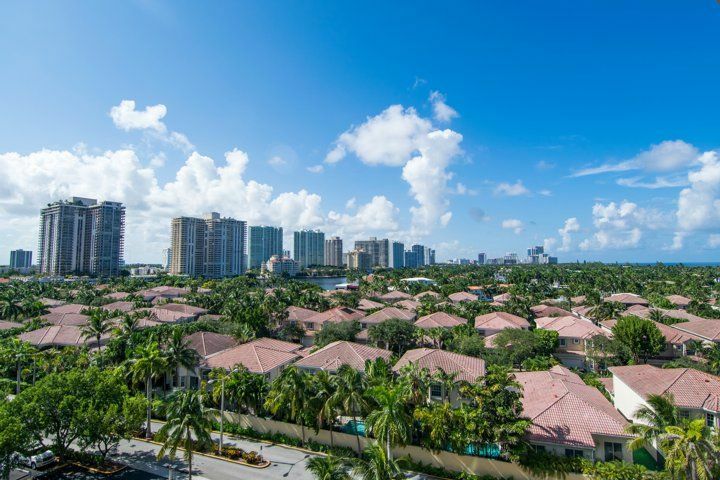 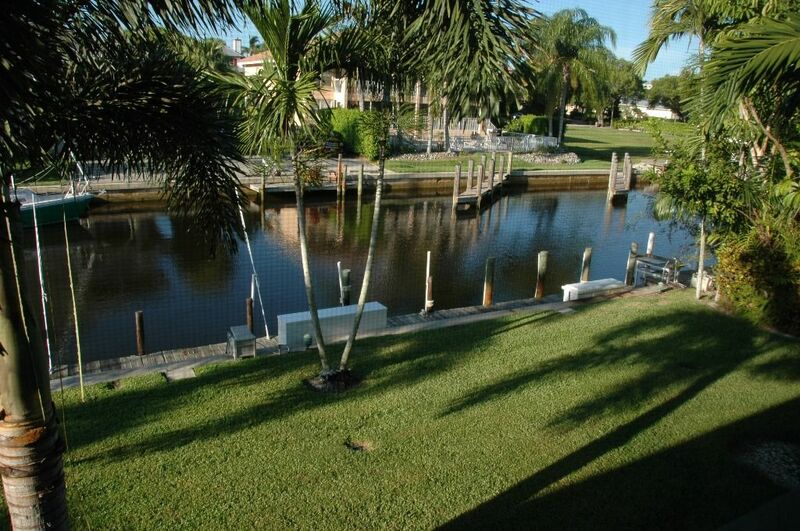 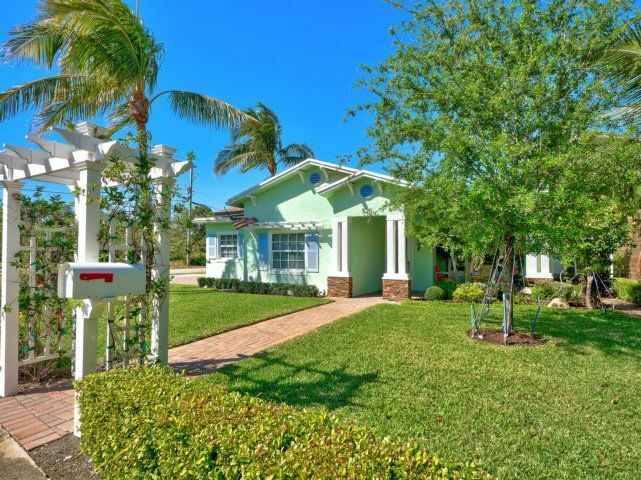 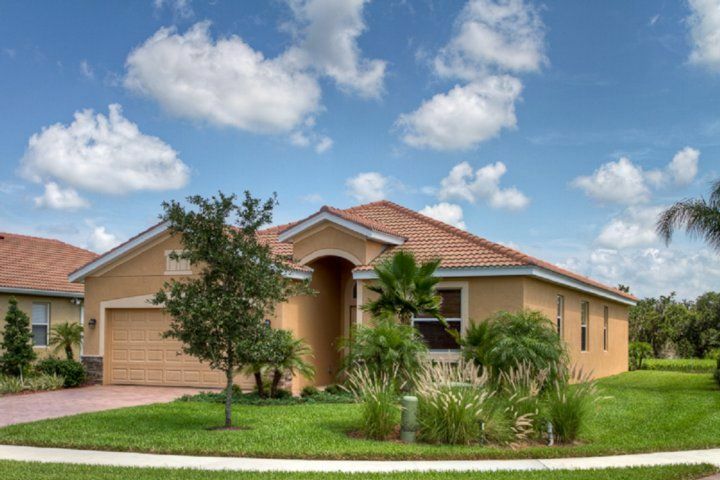 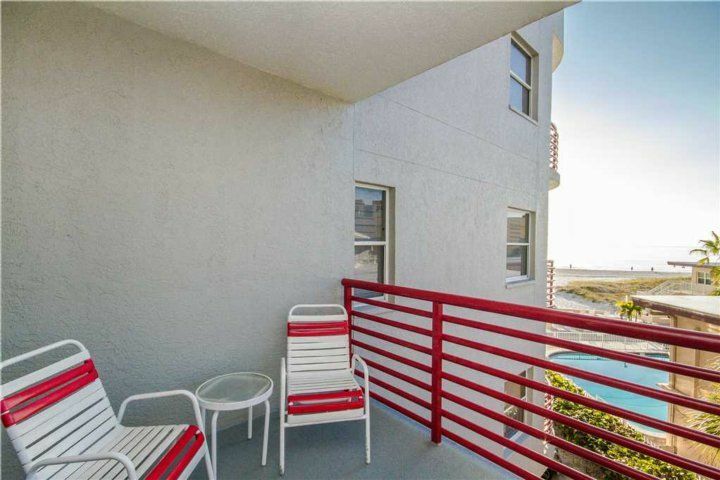 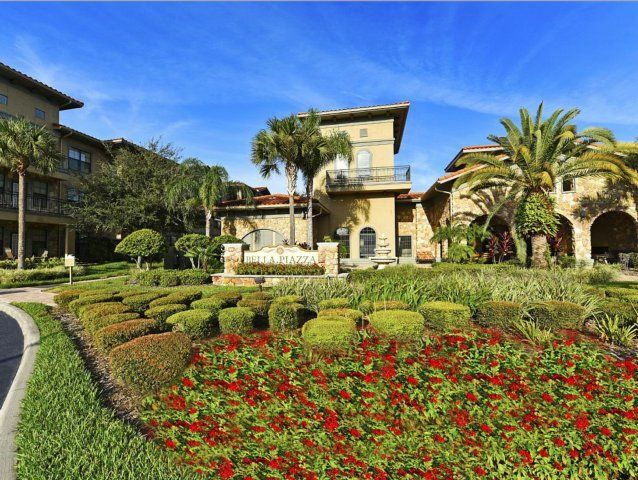 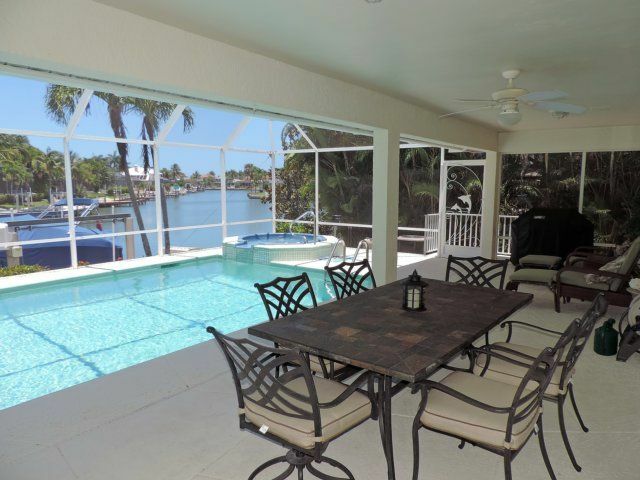 The house is centrally located between Ft. Lauderdale and Boca Raton. 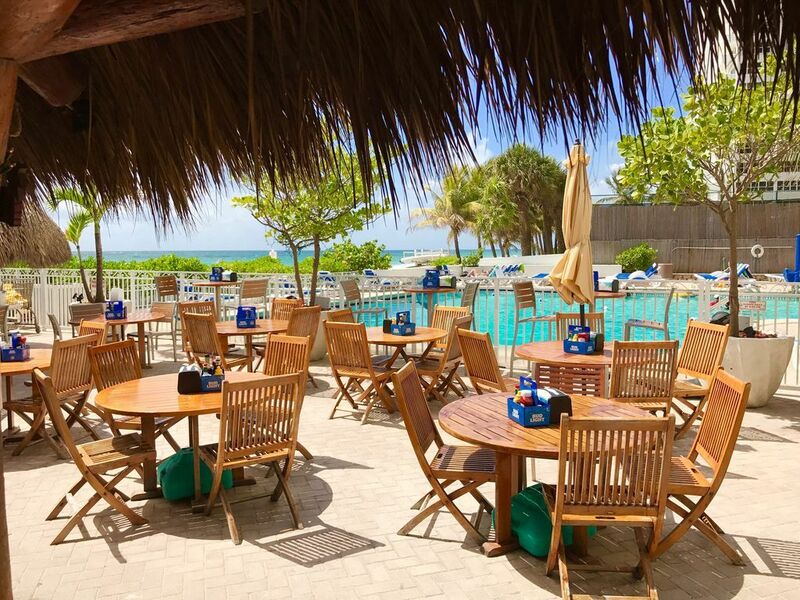 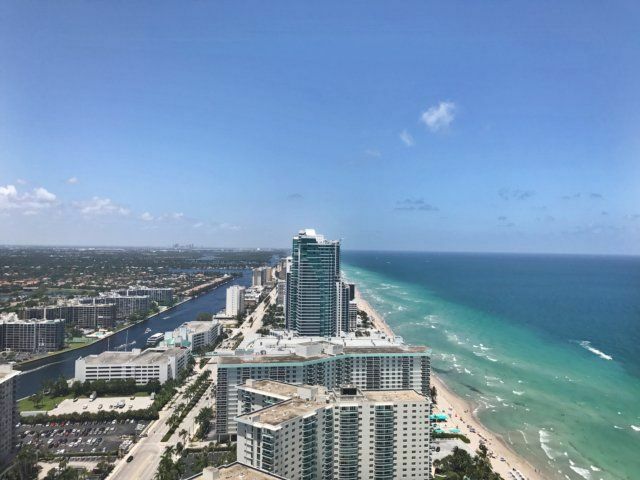 For easy day trips, visit Miami?s South Beach (30-minute drive) or West Palm Beach (less than 1 hour away). 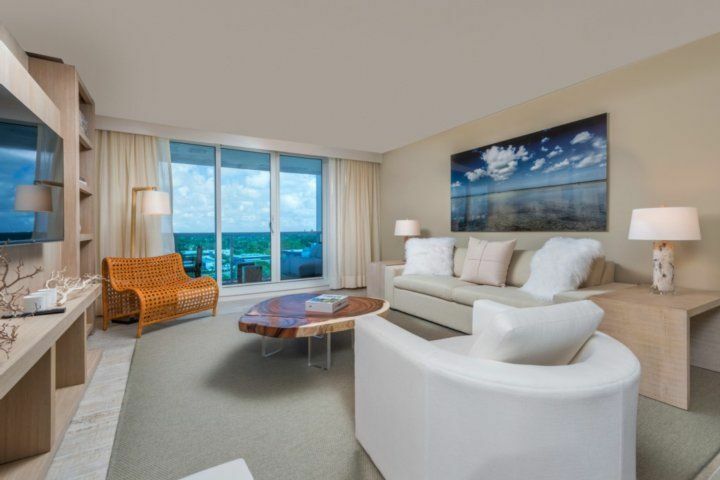 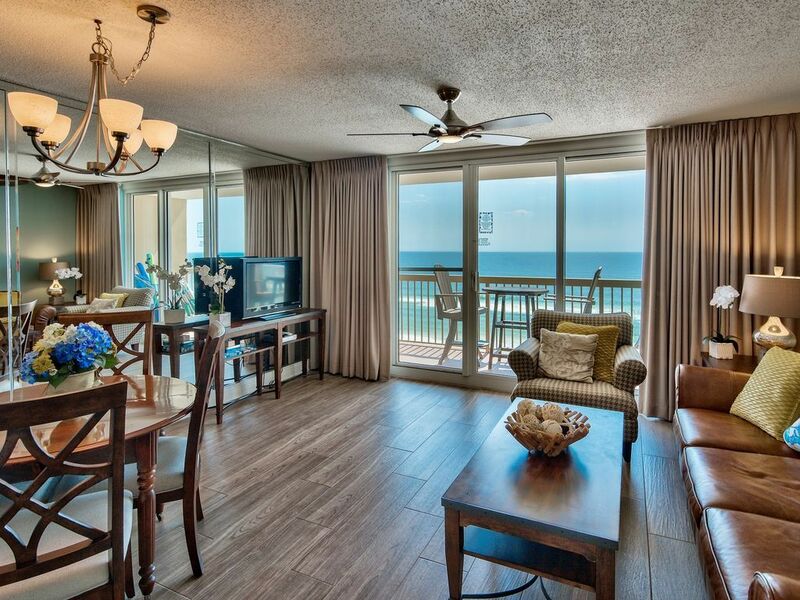 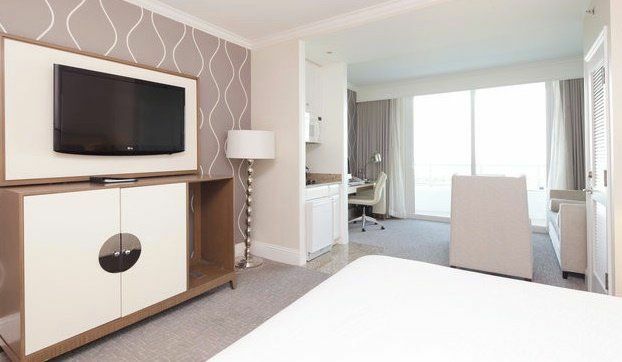 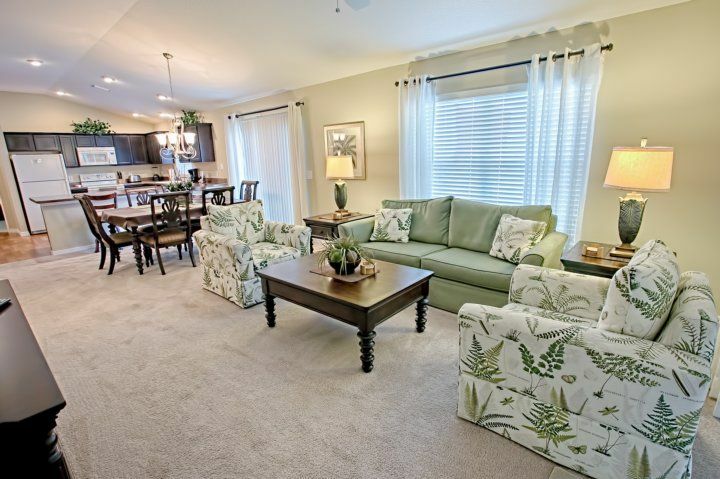 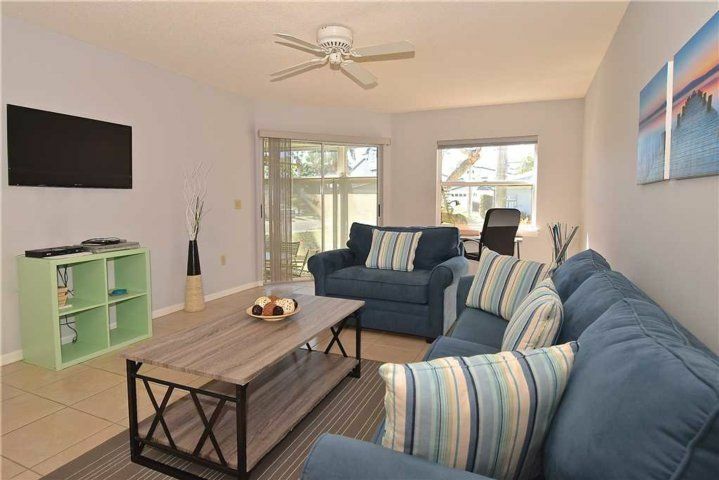 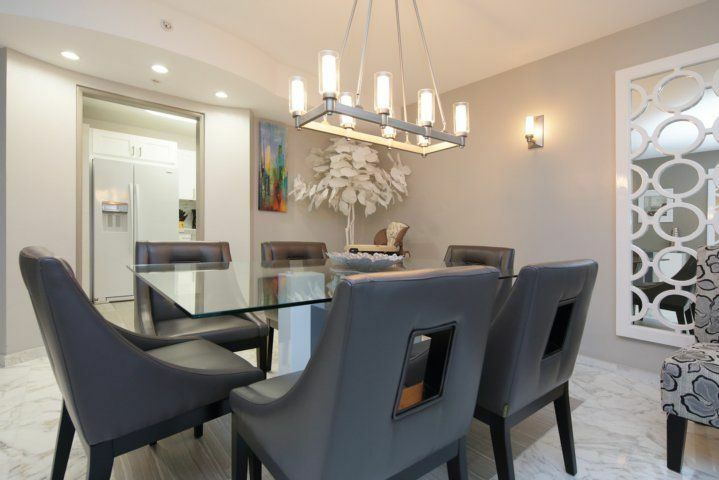 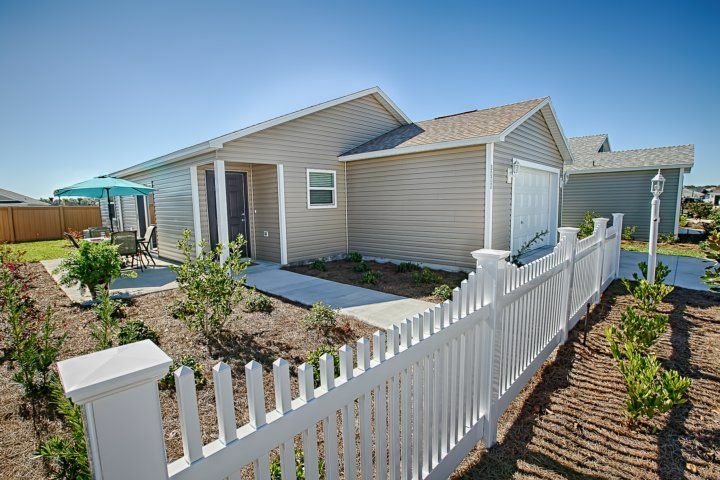 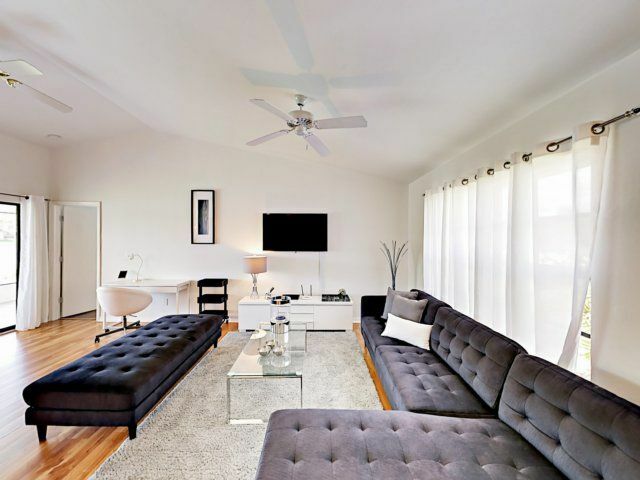 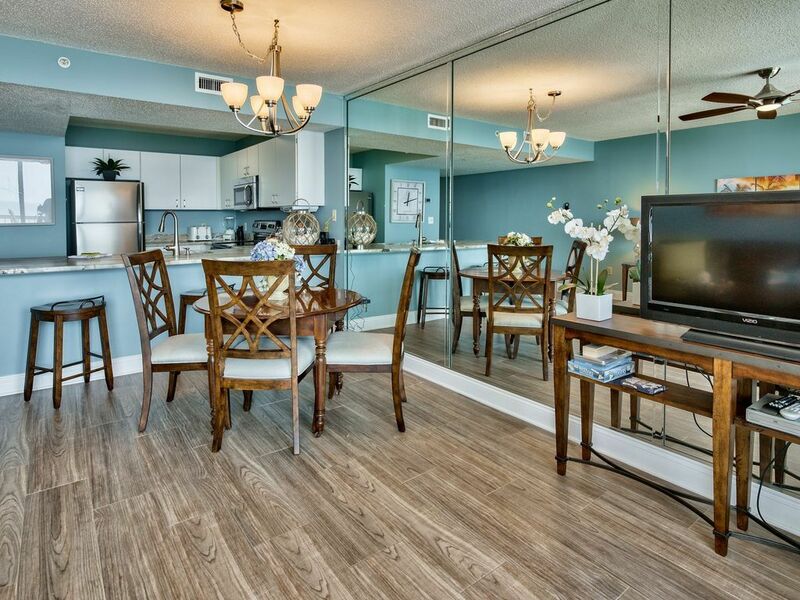 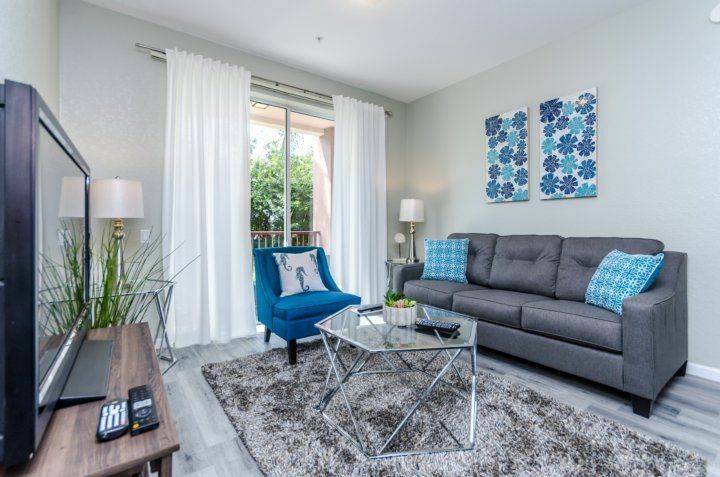 Your newly remodeled home away from home features a soothing gray and white palette and contemporary finishes. 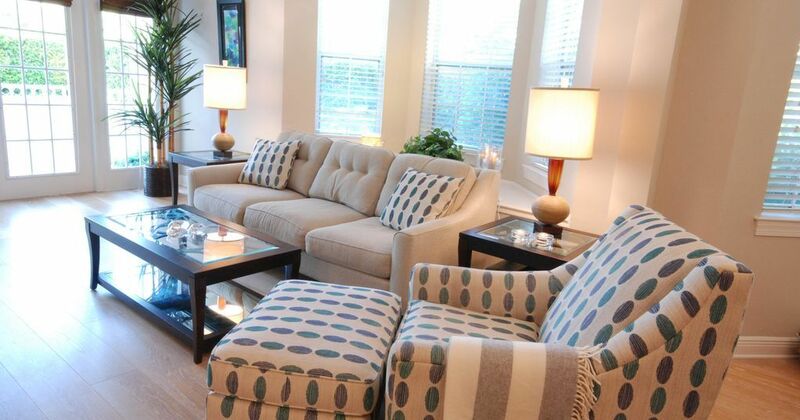 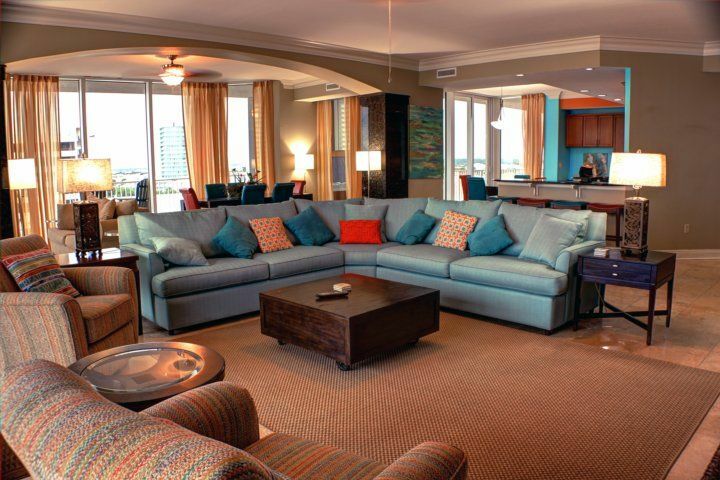 Step inside the open-concept living area, and kick back on the six-seat sectional sofa to watch the 60? 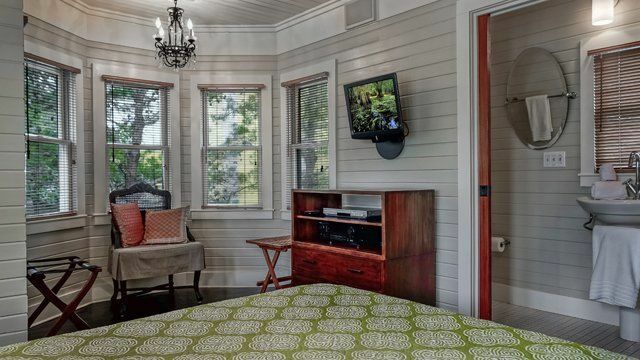 wall-mounted flat screen TV. 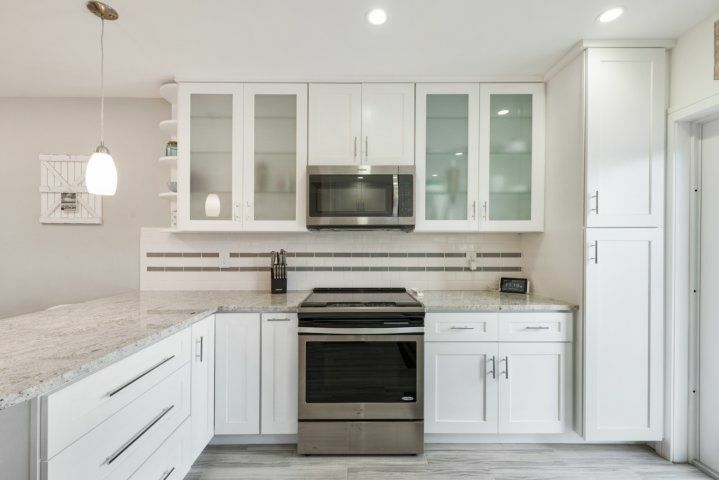 Prepare home-cooked meals in the brand-new granite kitchen with a full suite of stainless steel appliances, including a French-door fridge. 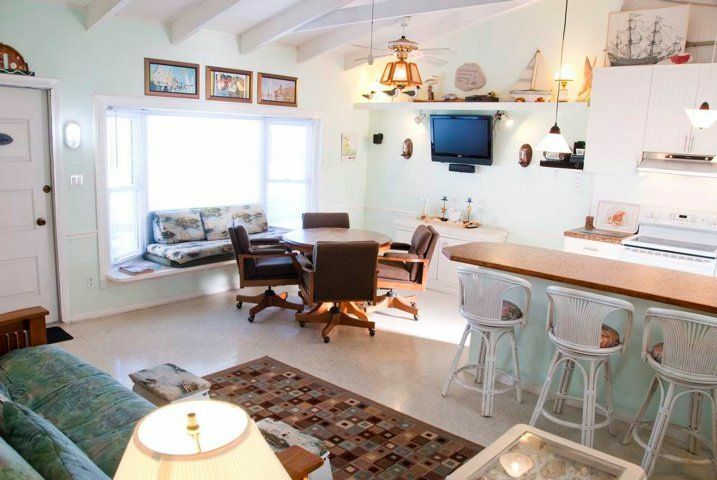 Perch at the bar with four leather chairs, or gather the group around a wood dining table with seating for four. 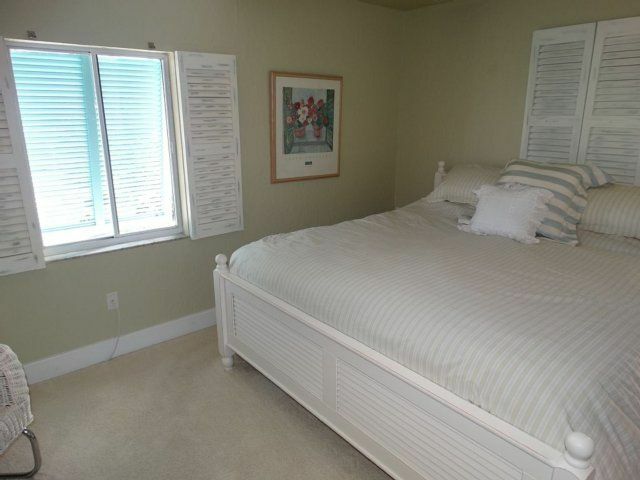 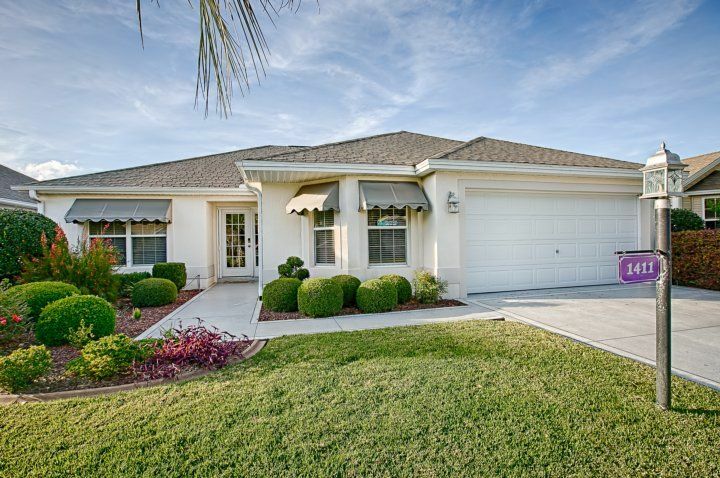 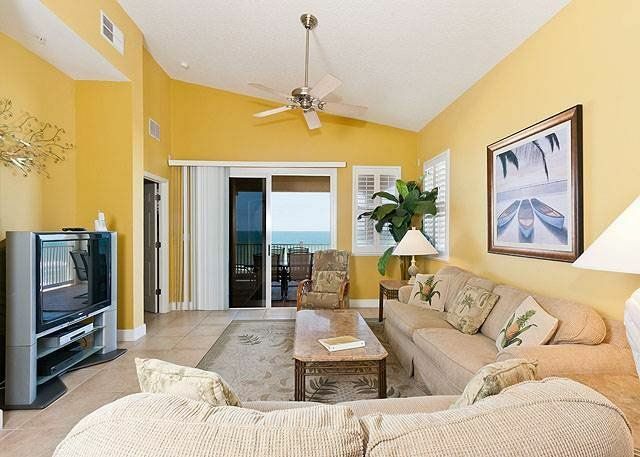 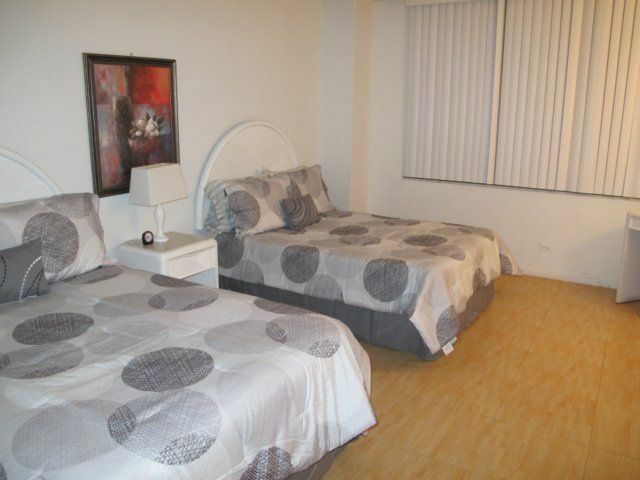 In the evenings, drift to sleep in four comfortable bedrooms with ample closet space and 40? 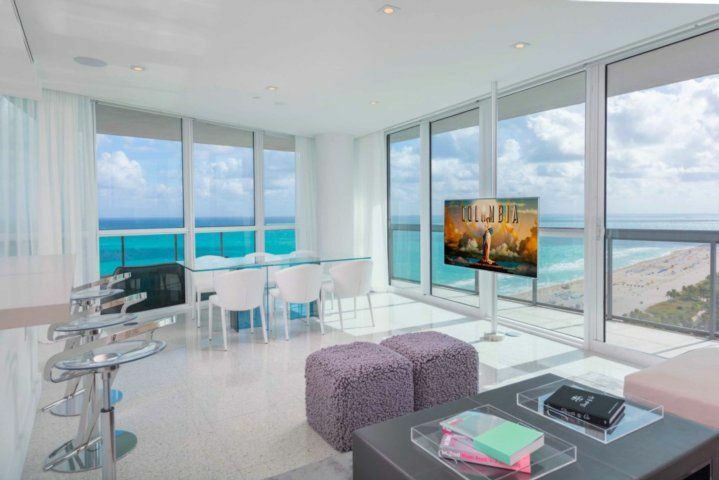 wall-mounted flat screen TVs with Roku capability. 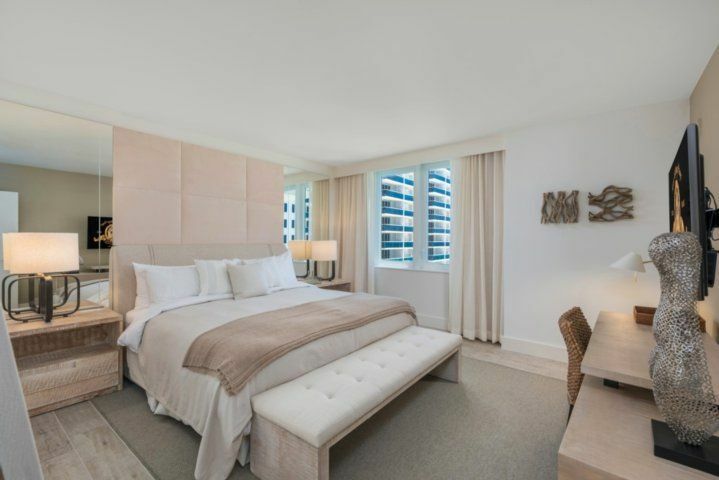 The king-size master bedroom features a gray upholstered headboard and an en-suite bathroom with glass-door shower. 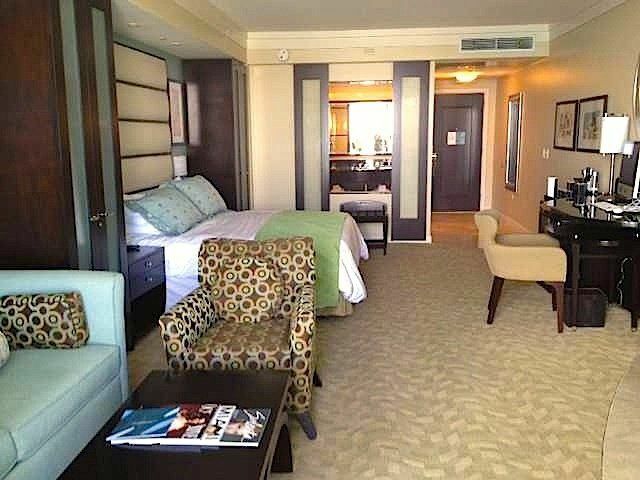 The second bedroom boasts a luxurious king bed with plush pillows and a gray upholstered headboard. 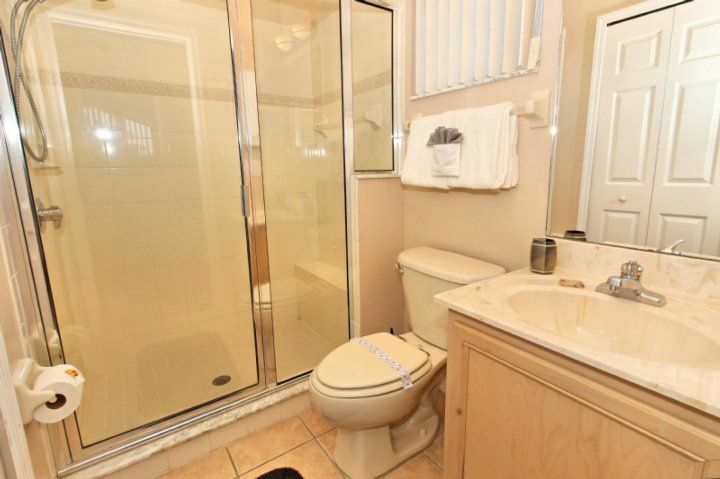 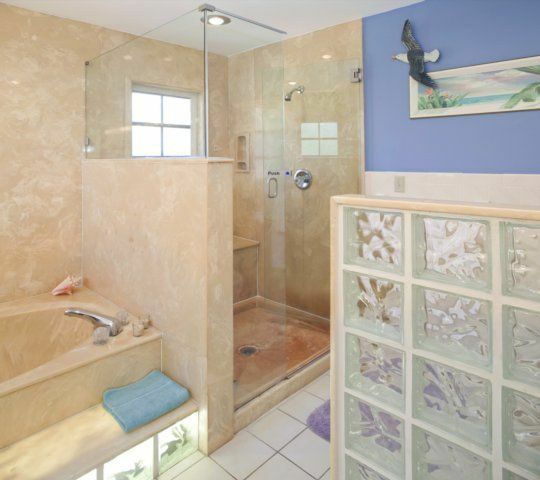 The guest bathroom is configured with a glass-door shower. 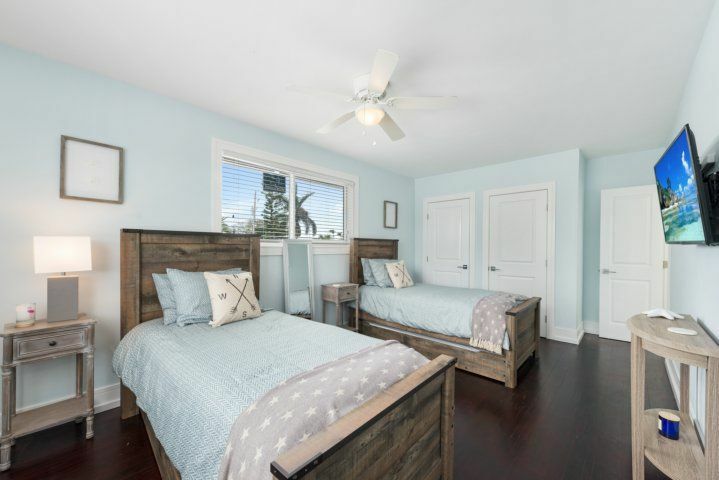 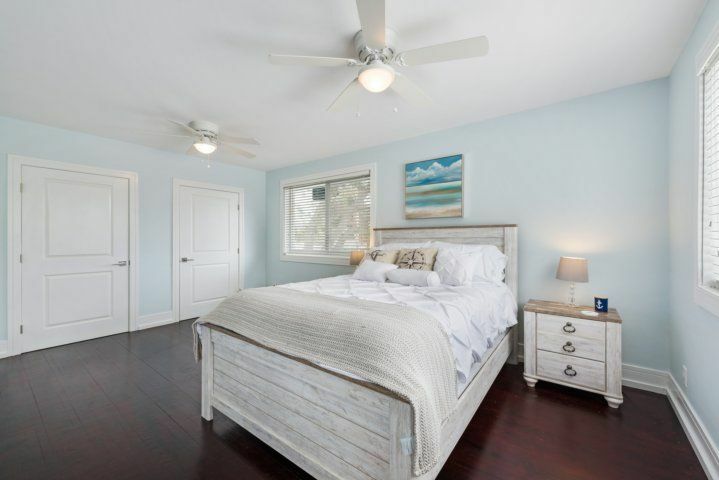 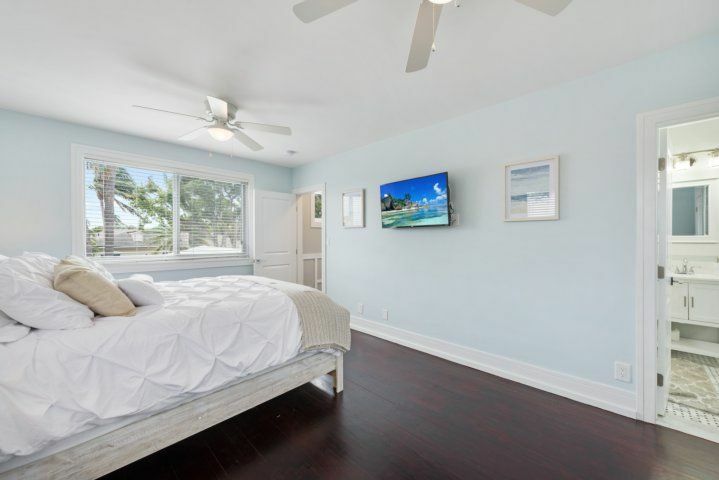 Upstairs, the third bedroom offers a queen bed with white-washed wood furnishings while the fourth room includes two twin beds with matching driftwood-inspired headboards. 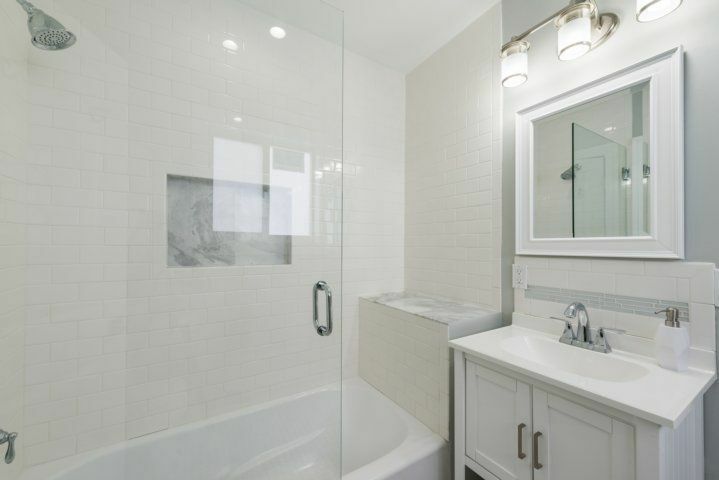 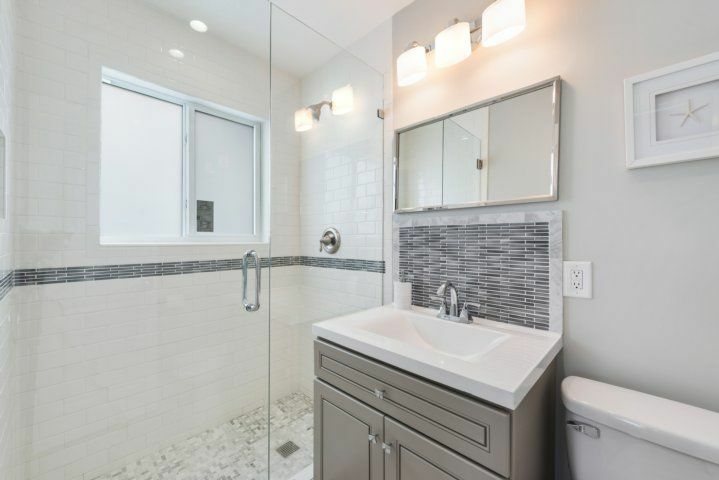 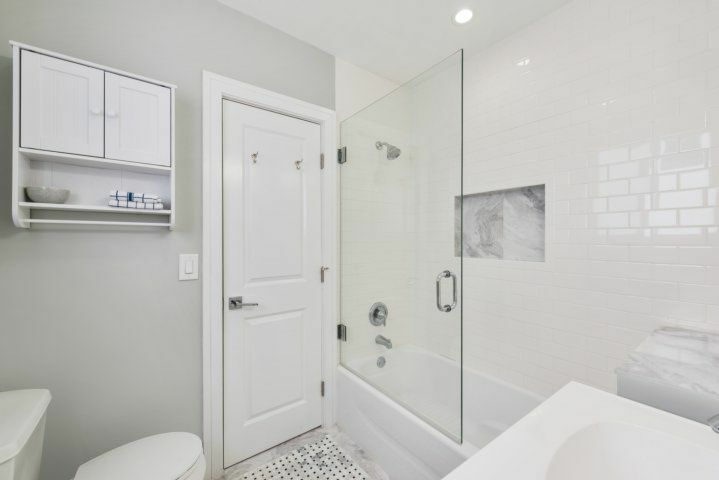 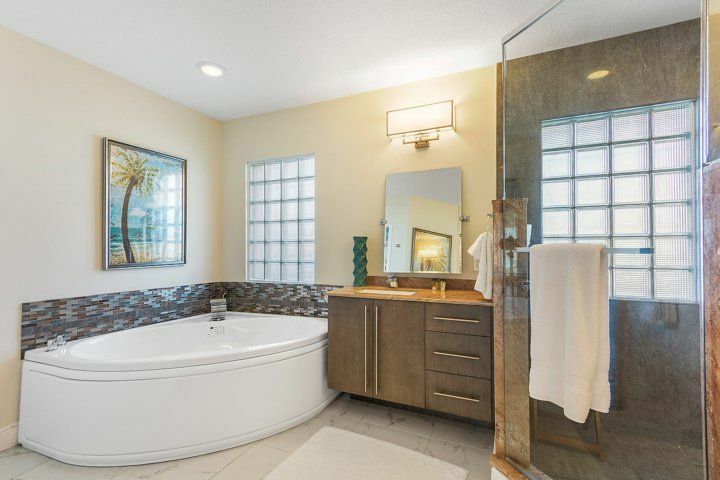 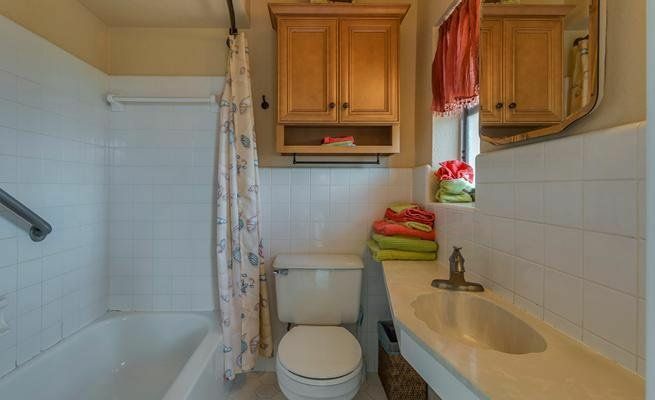 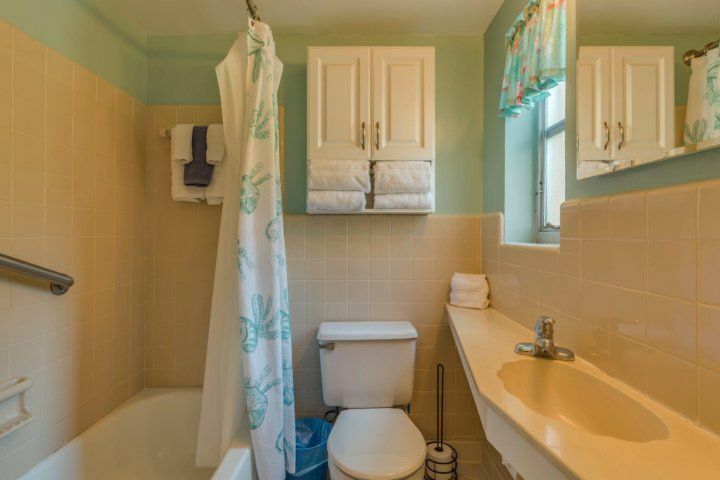 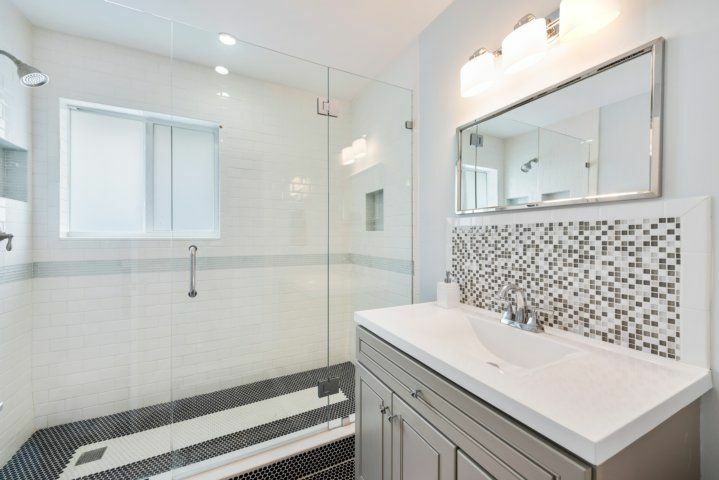 The third and fourth bedrooms share a Jack-and-Jill bathroom with tub/shower combination. 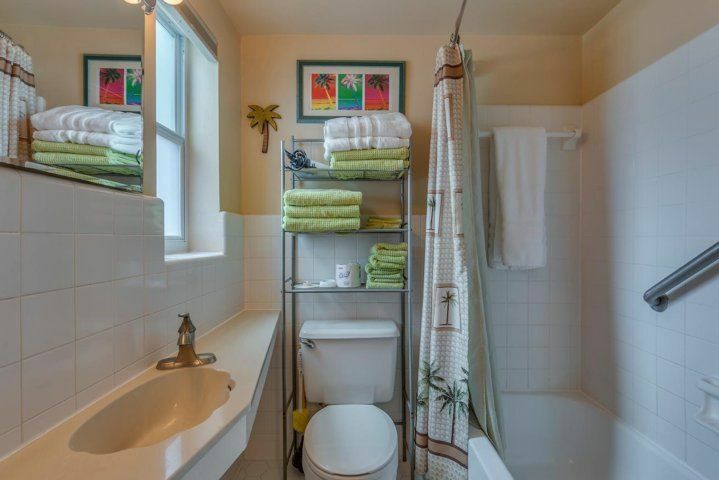 All bathrooms have been beautifully remodeled. 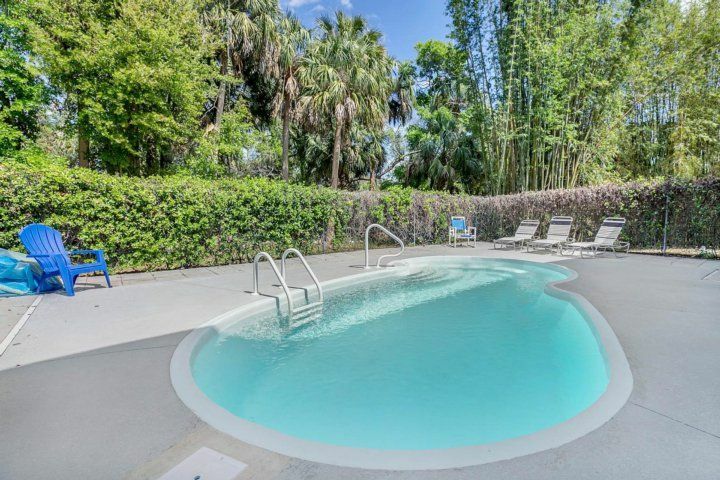 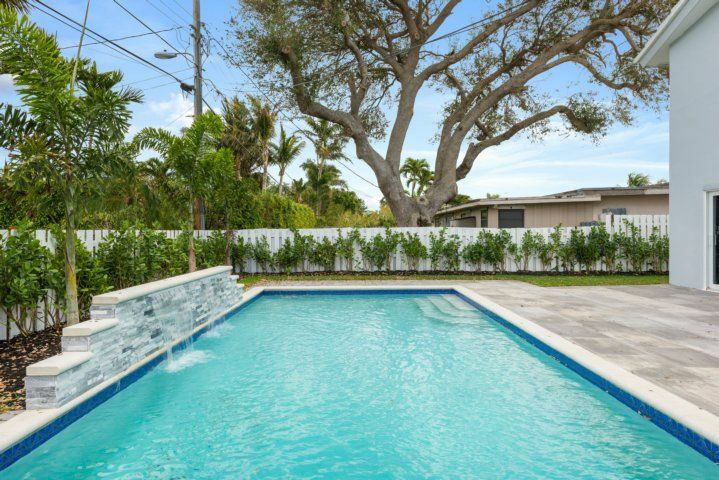 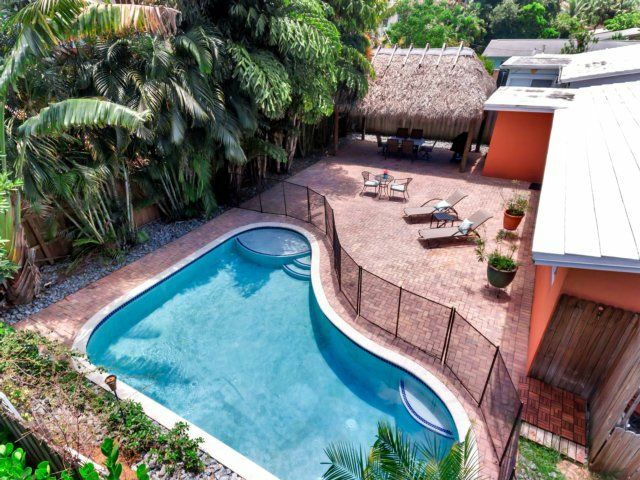 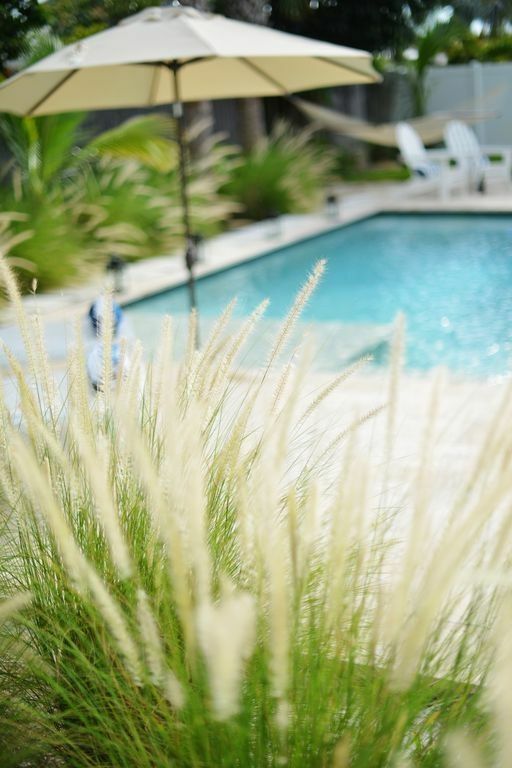 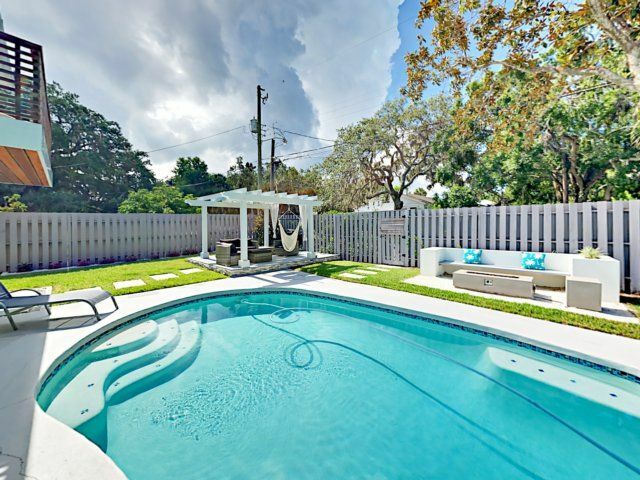 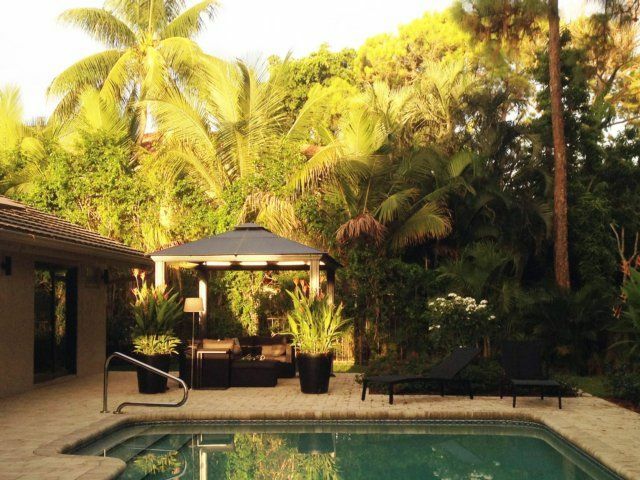 Spend sun-soaked days lounging in the backyard and taking refreshing swims in the private pool. 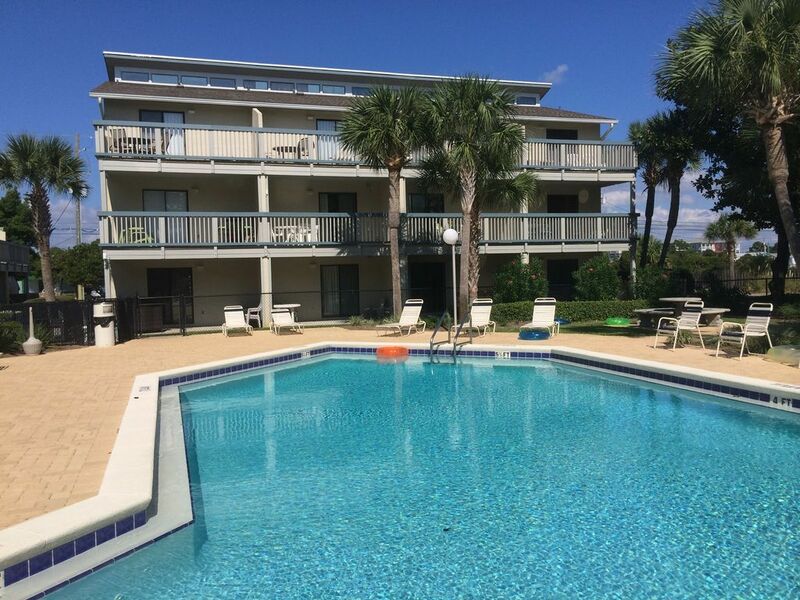 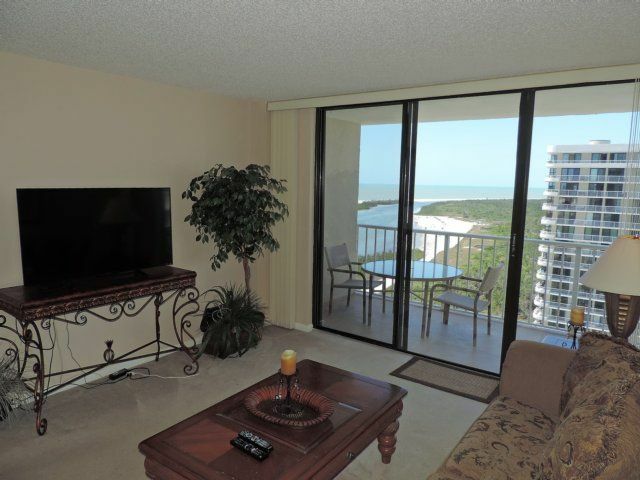 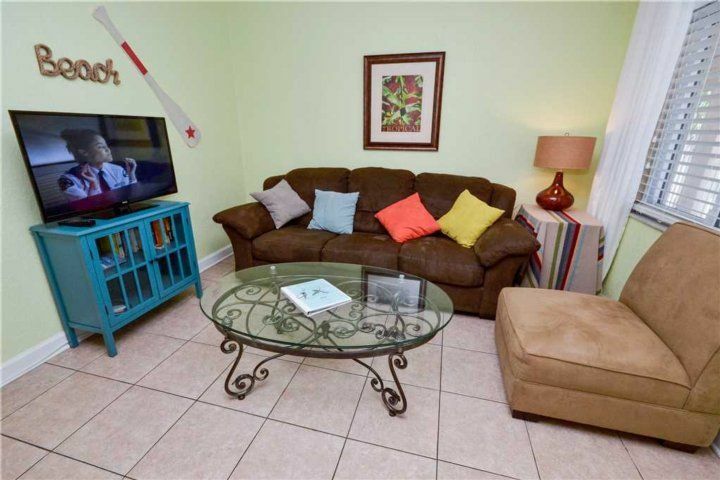 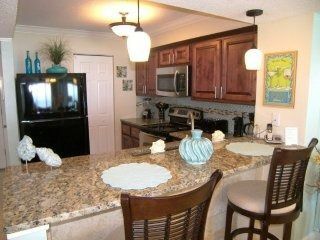 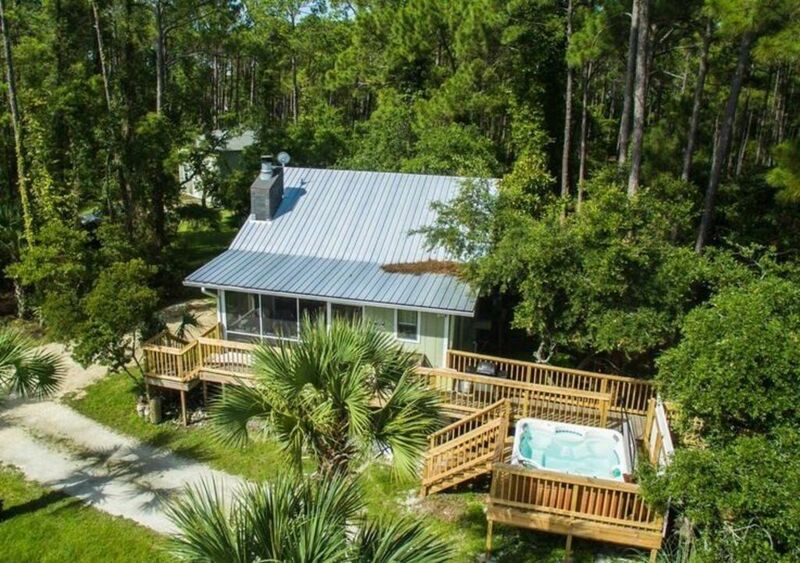 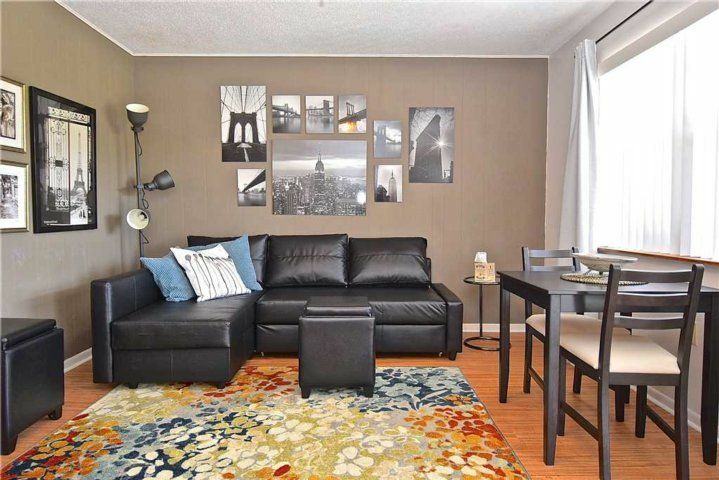 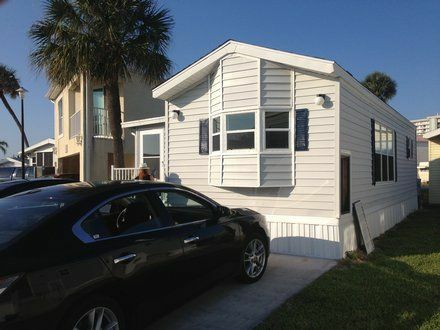 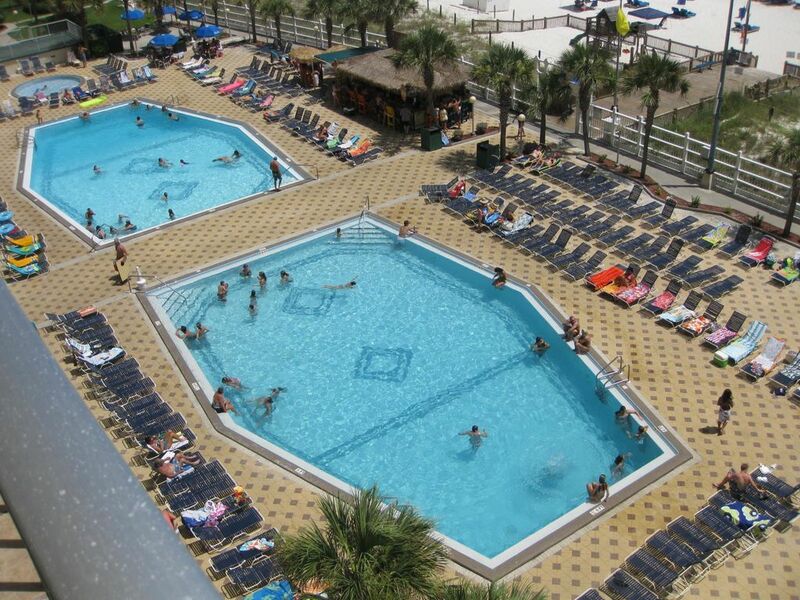 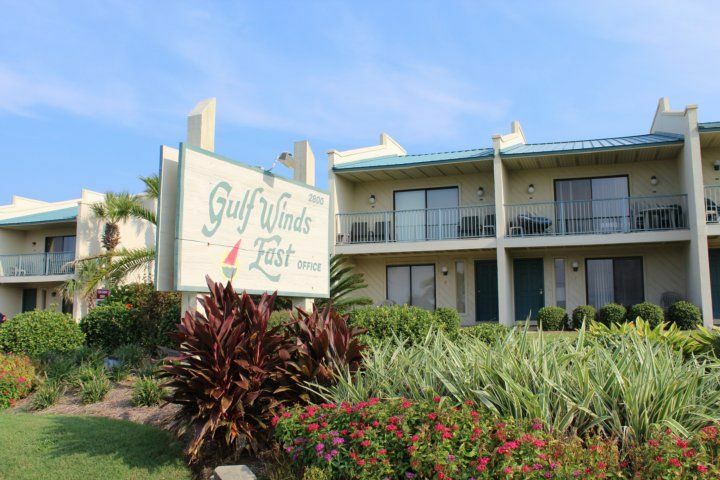 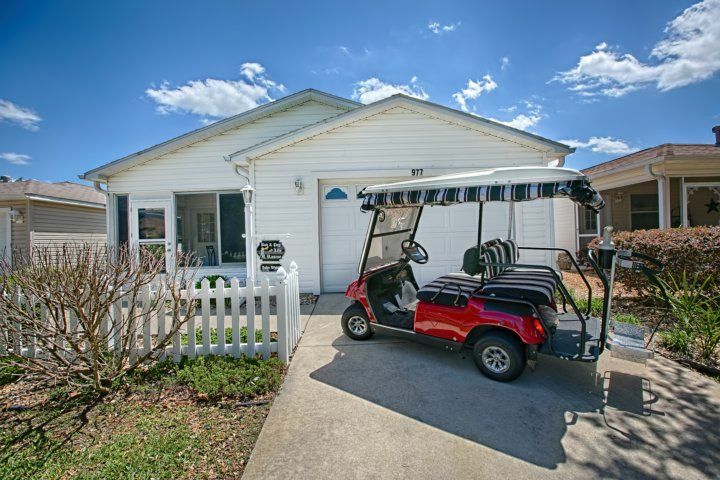 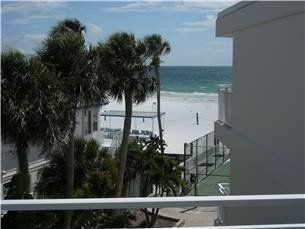 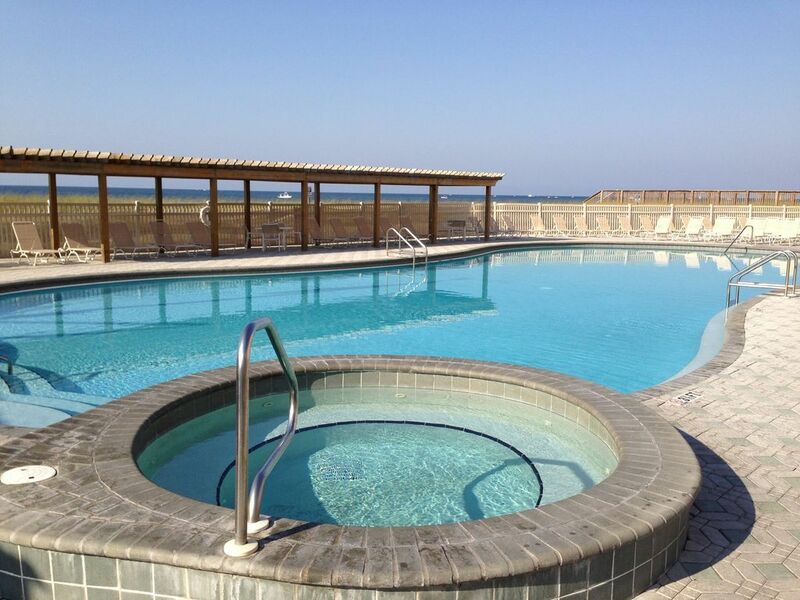 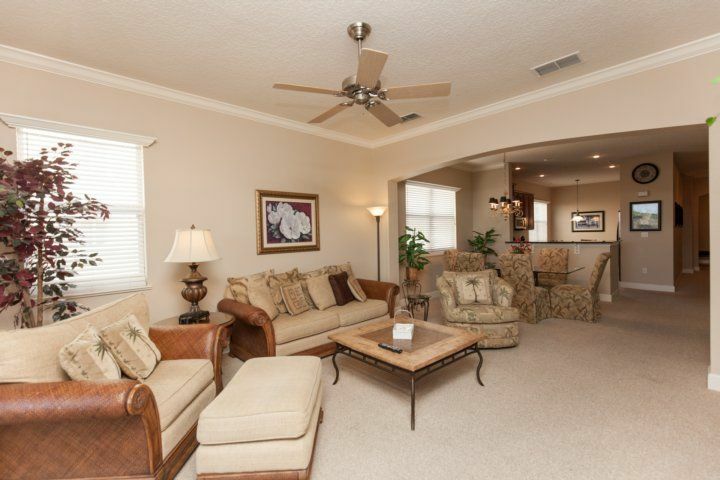 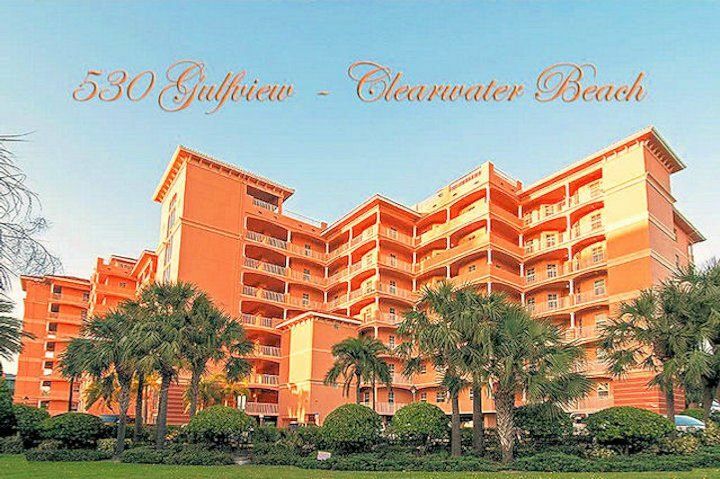 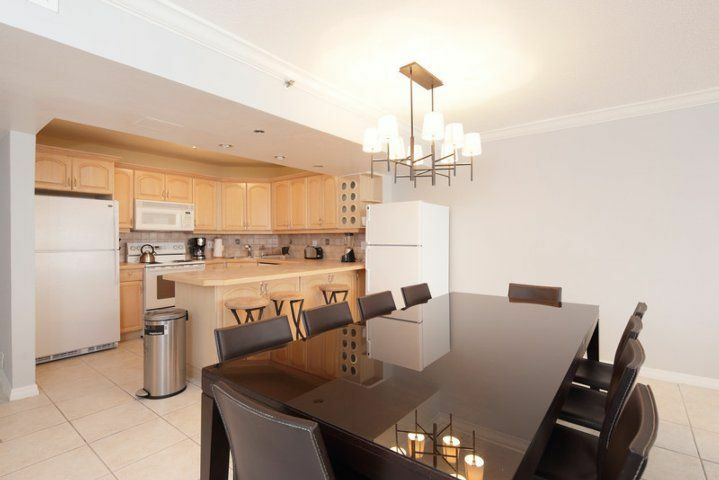 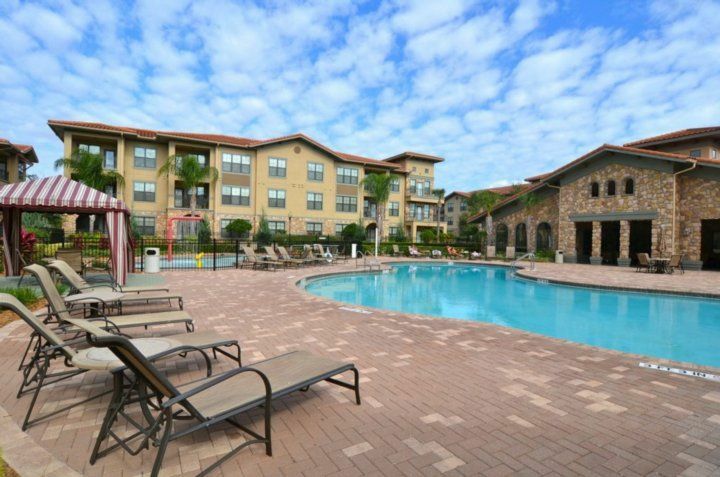 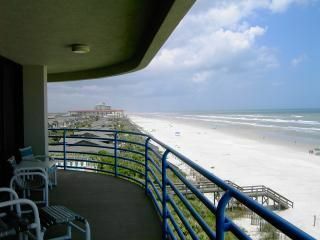 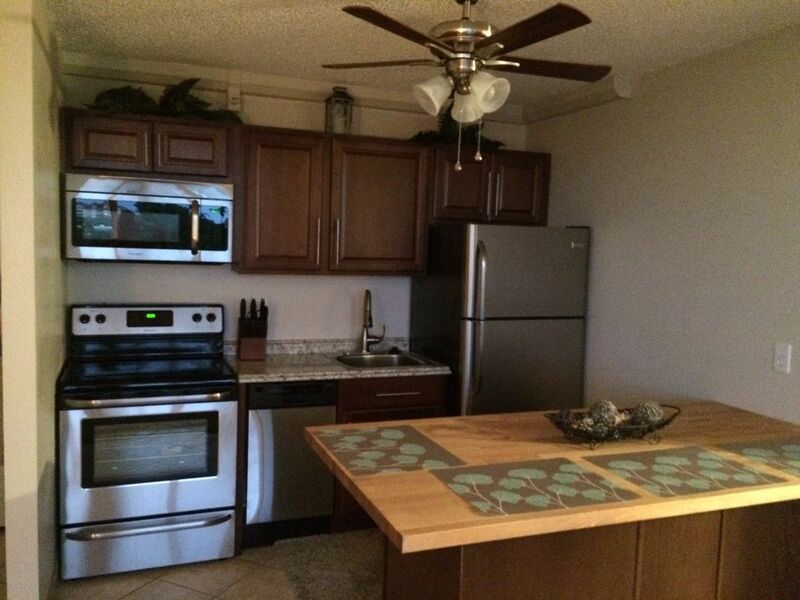 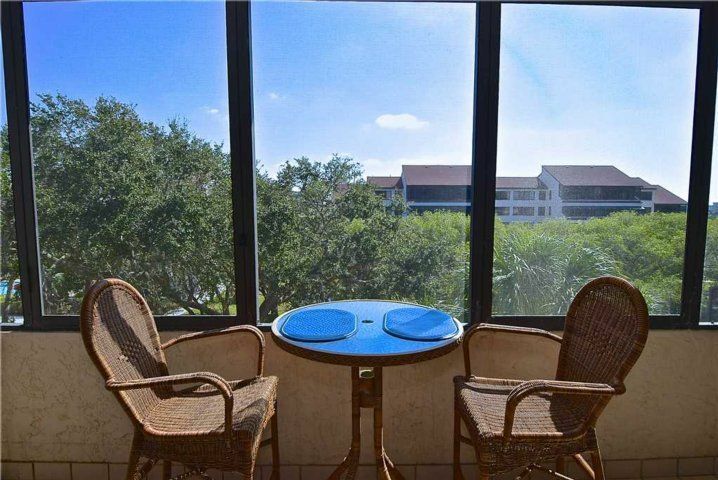 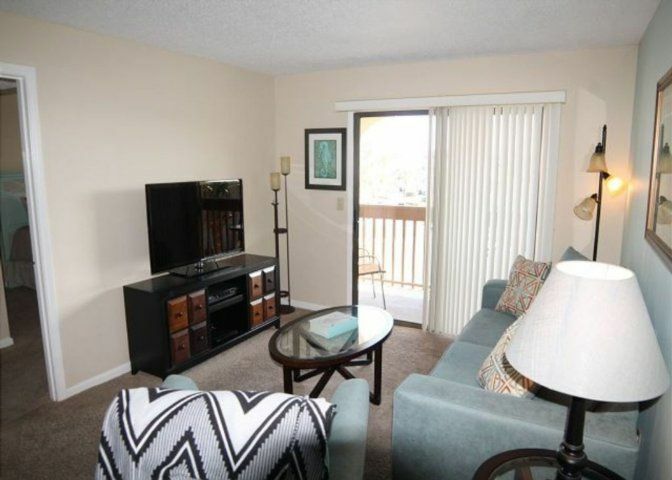 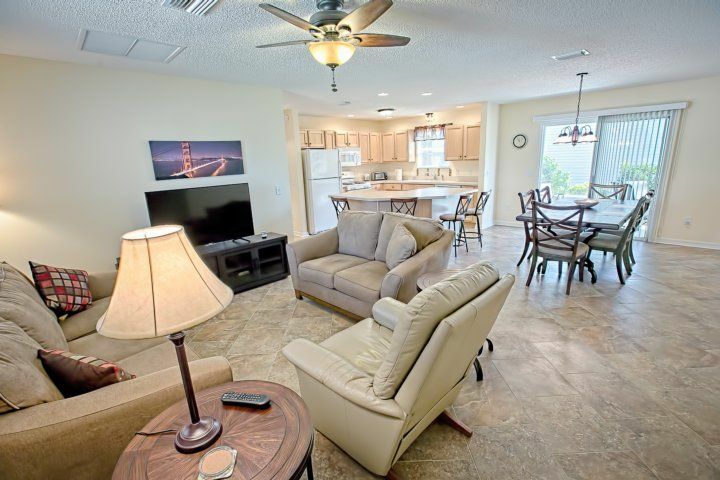 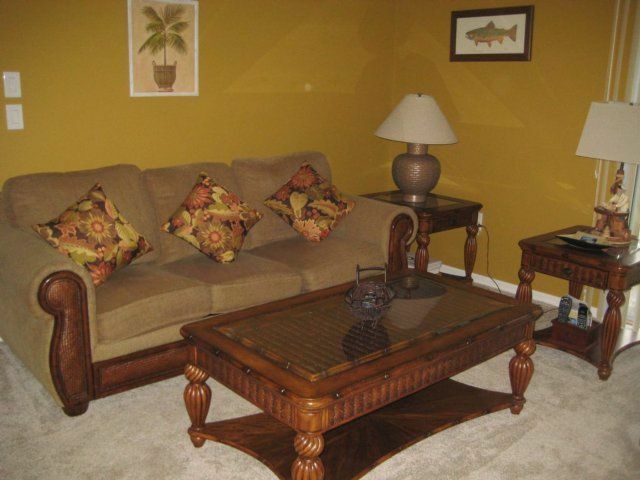 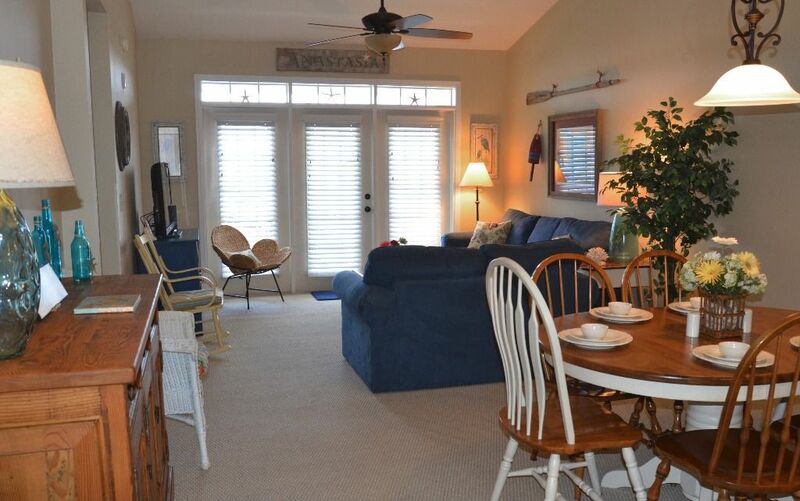 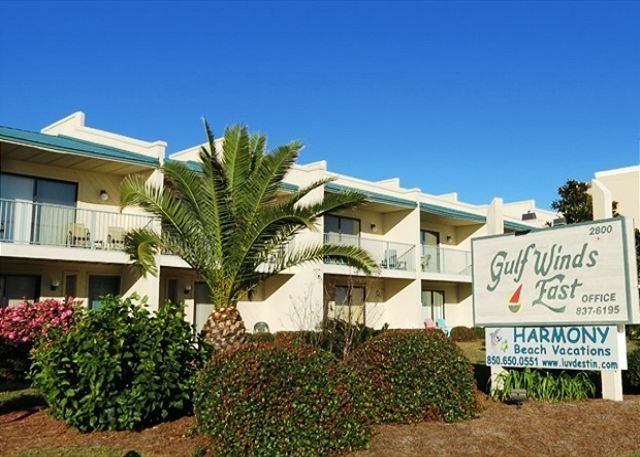 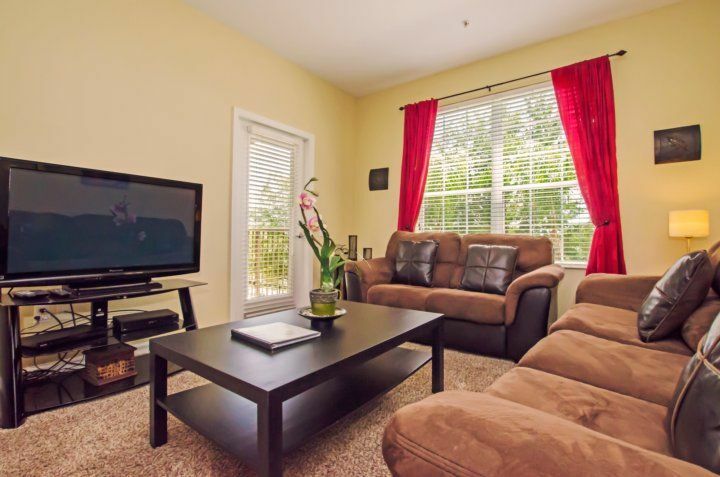 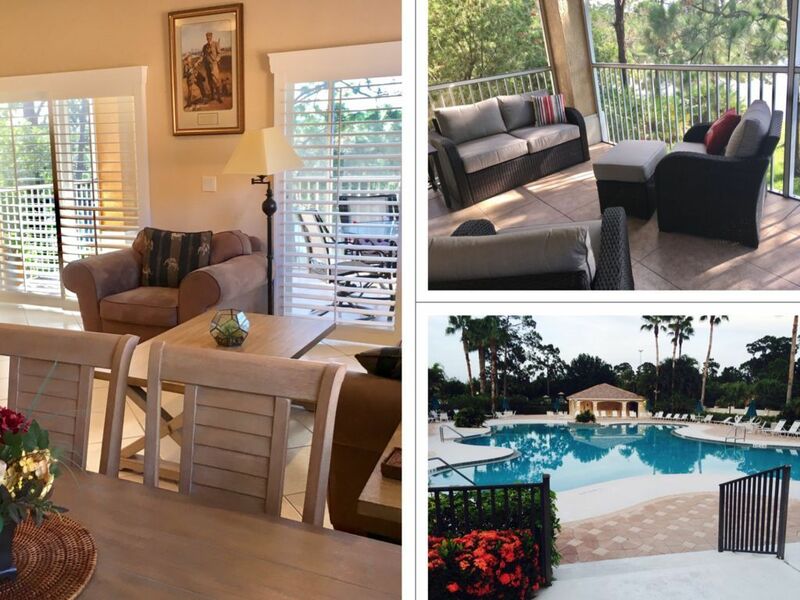 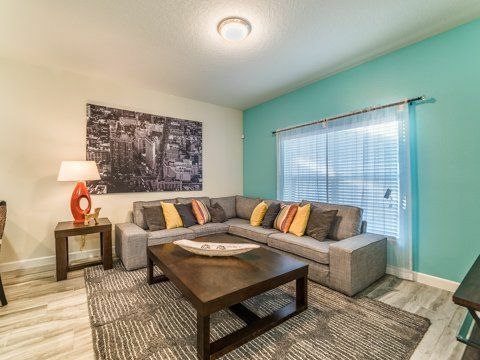 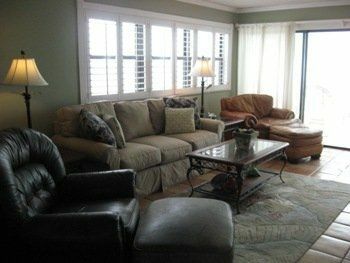 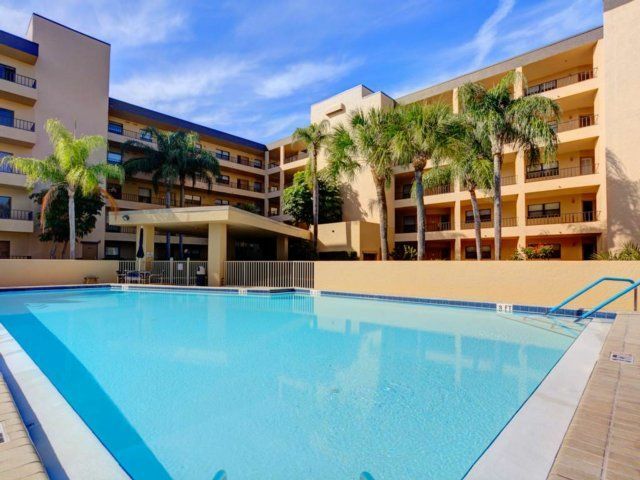 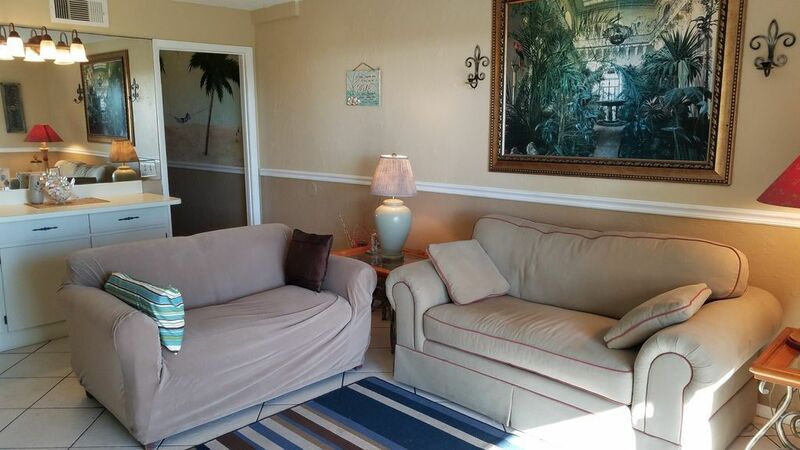 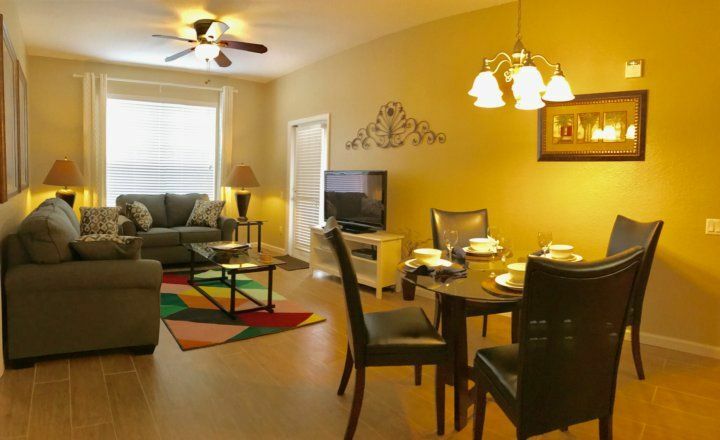 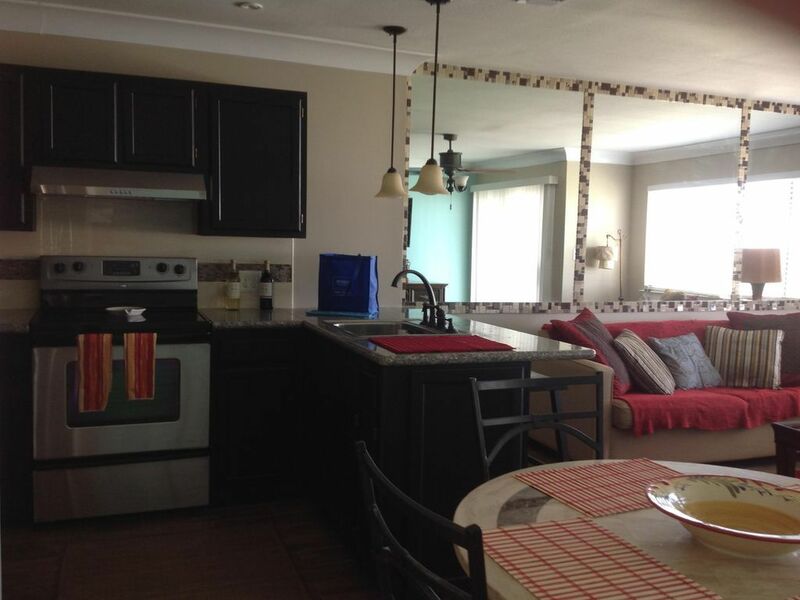 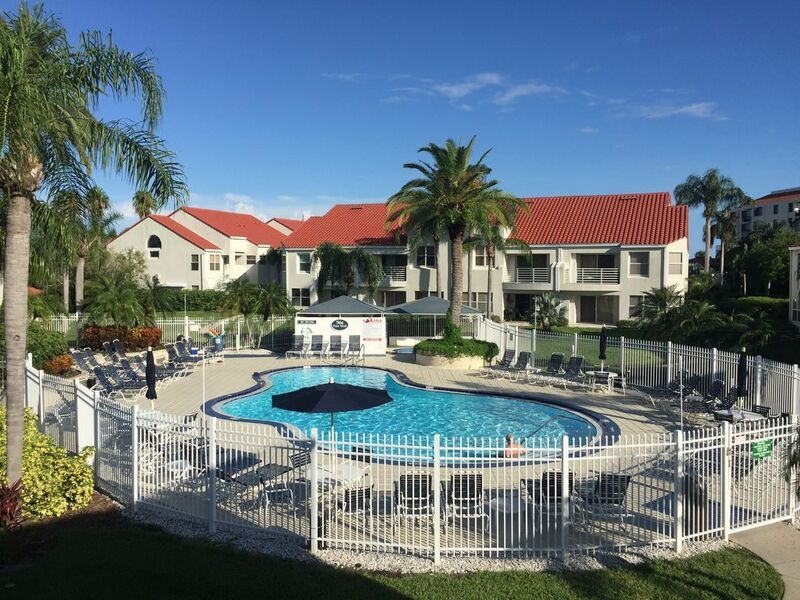 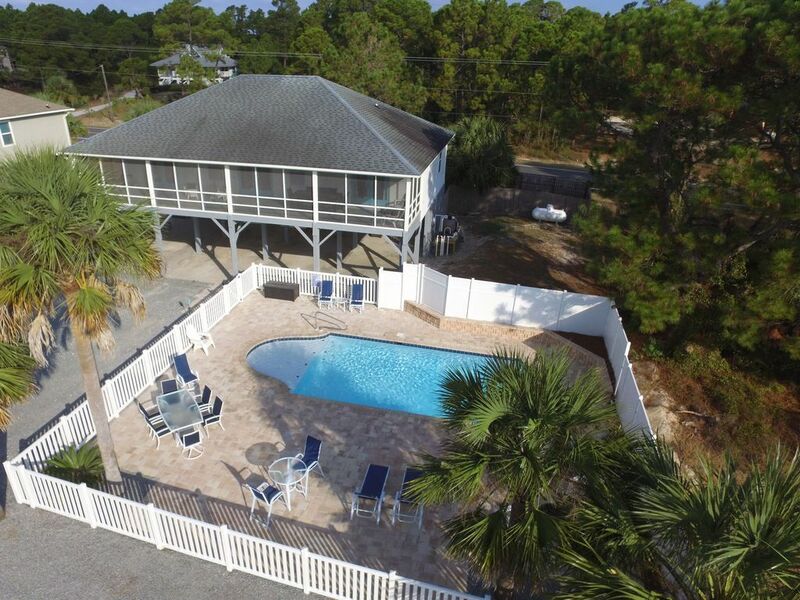 Extra amenities include complimentary Wi-Fi, Roku capability, a washer/dryer, and driveway parking for five cars. 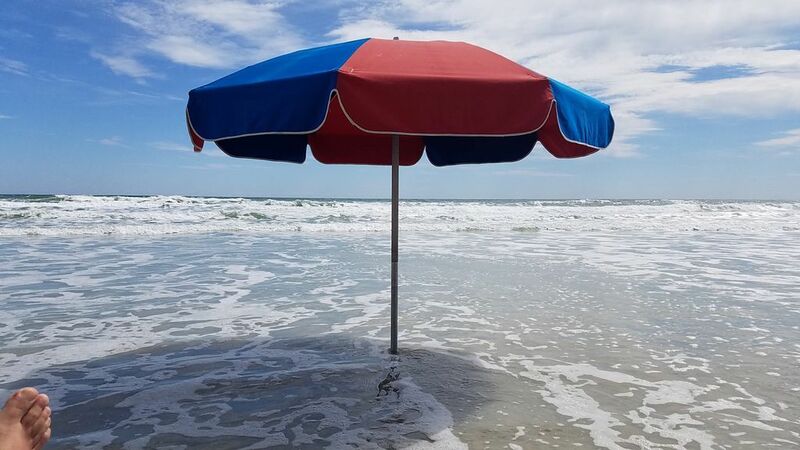 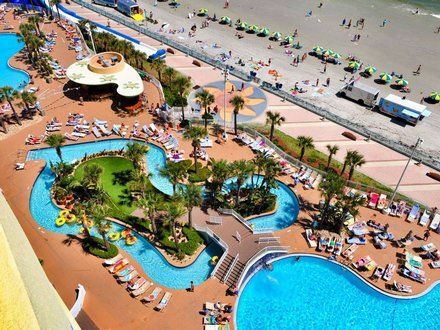 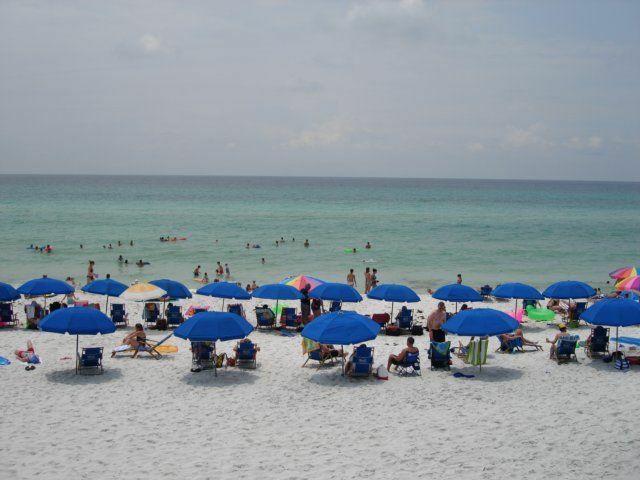 Beach chairs, umbrellas, and toys are also included. 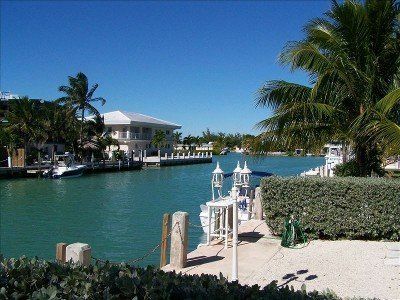 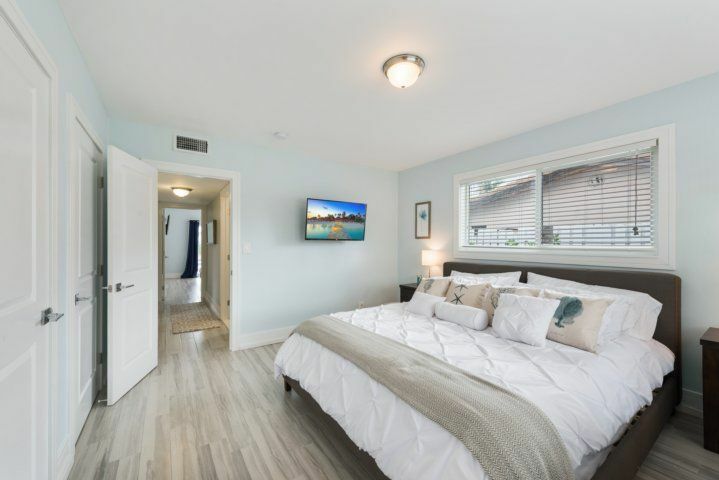 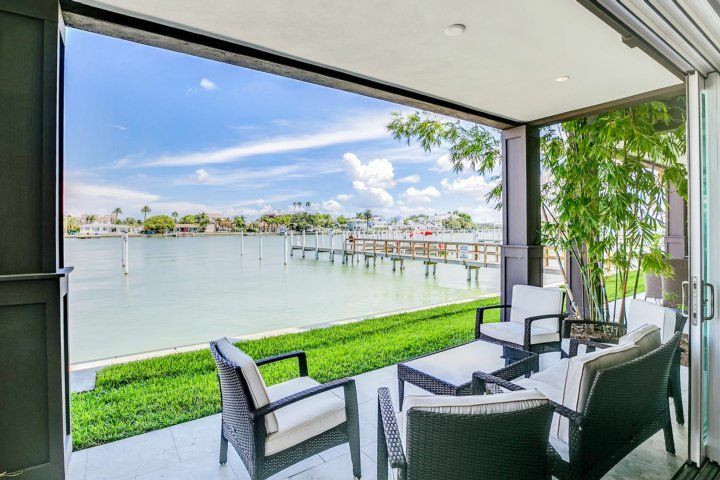 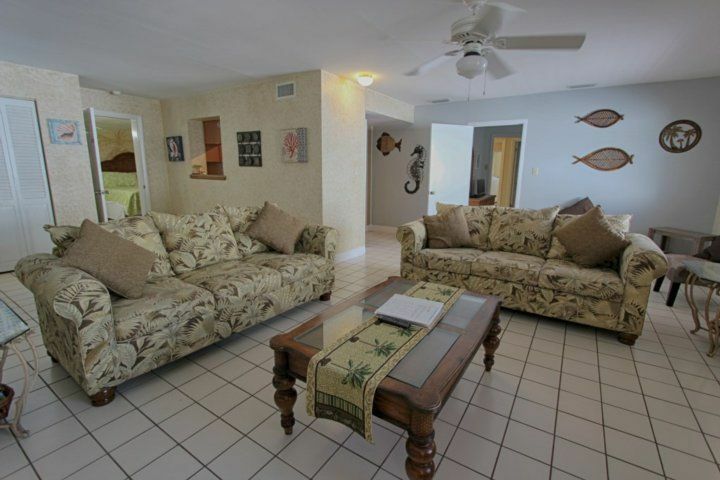 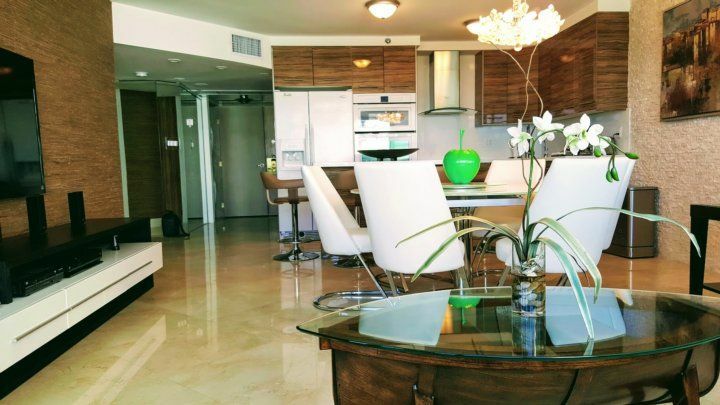 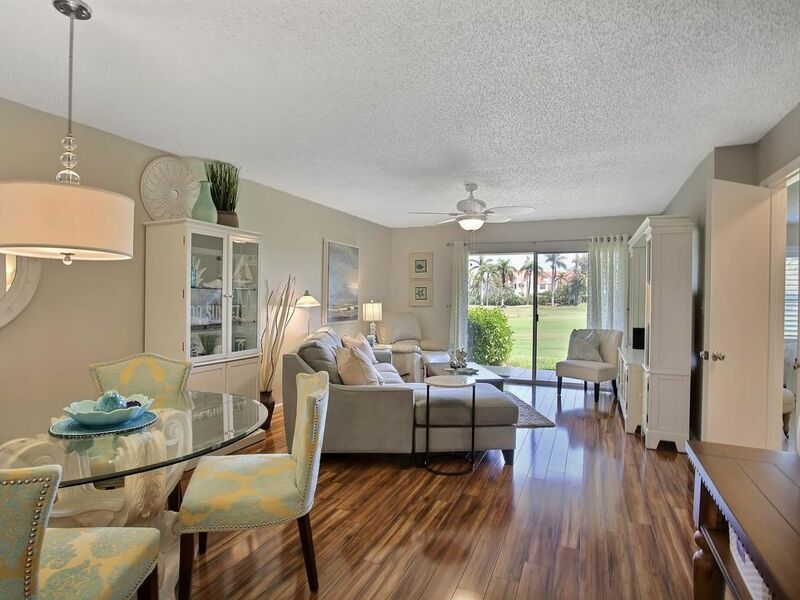 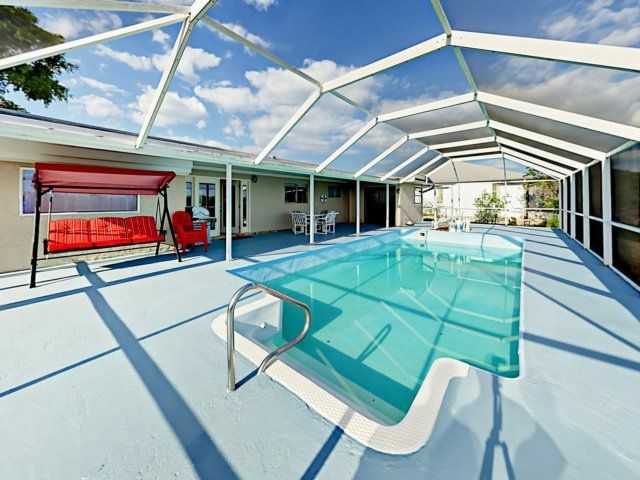 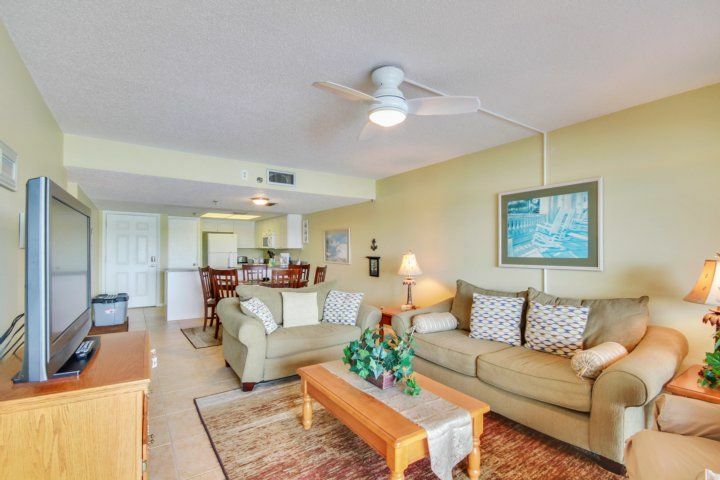 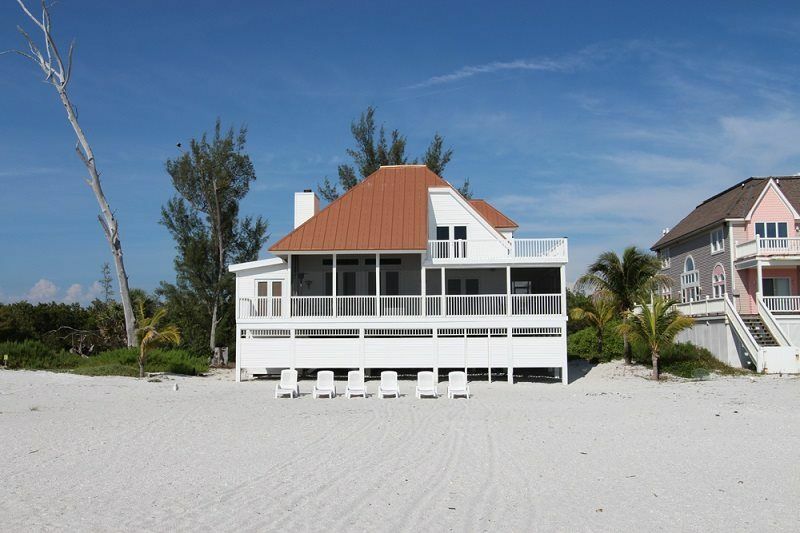 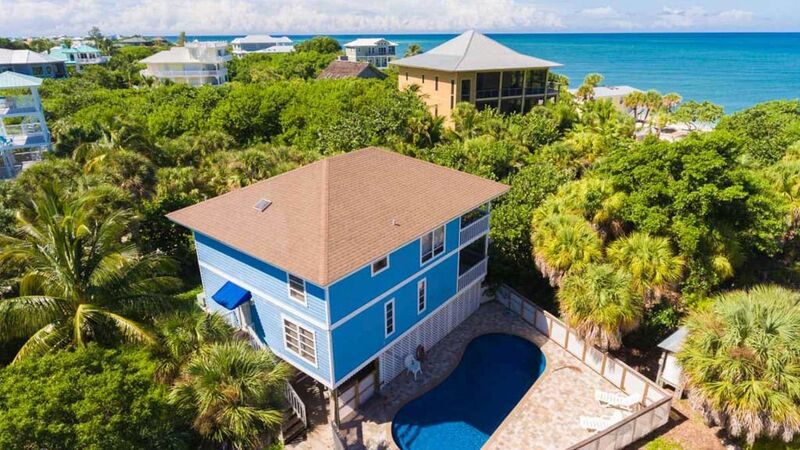 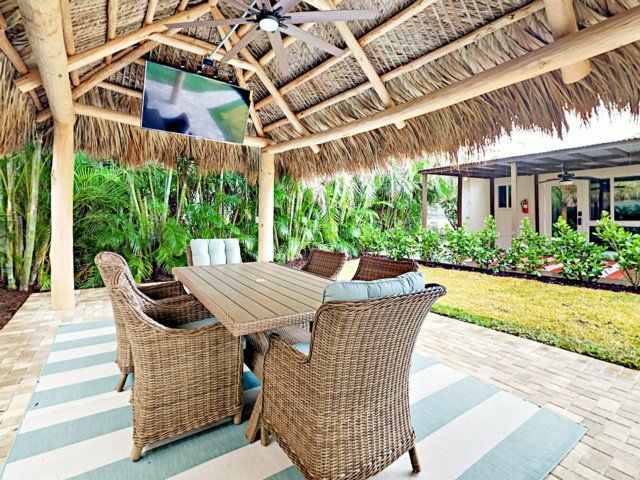 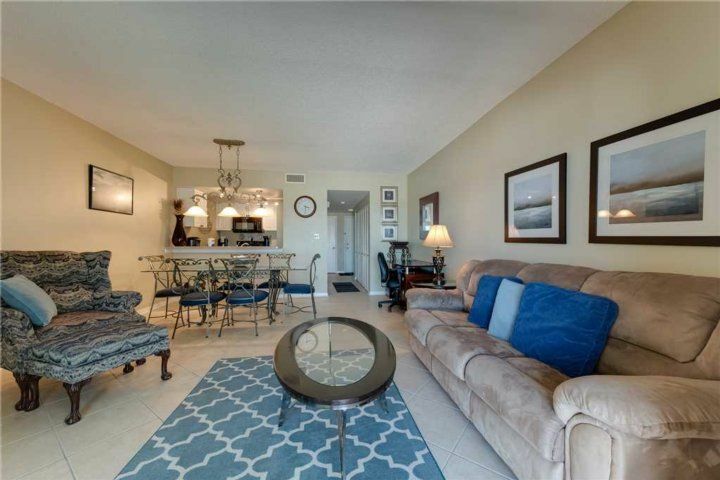 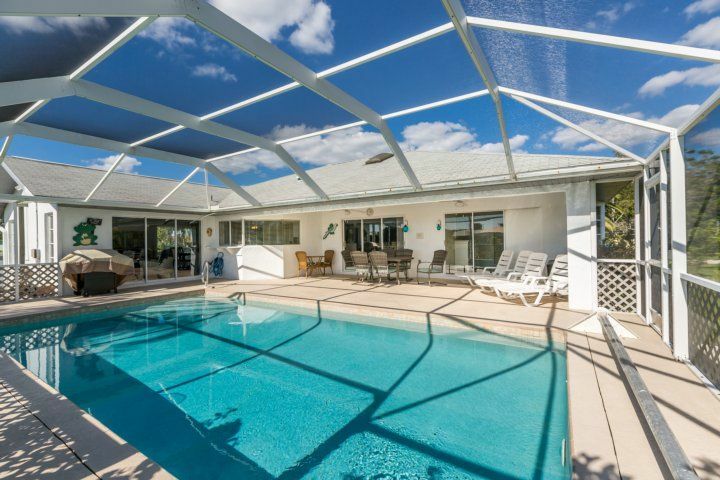 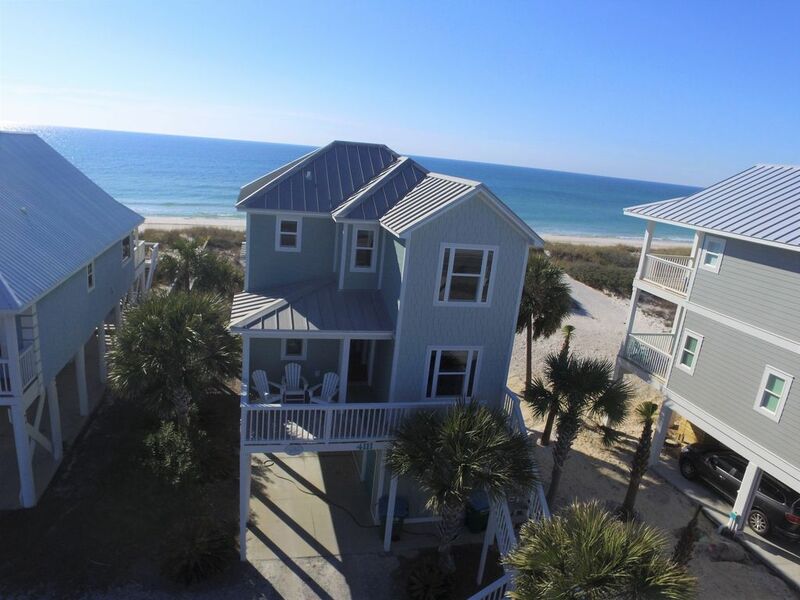 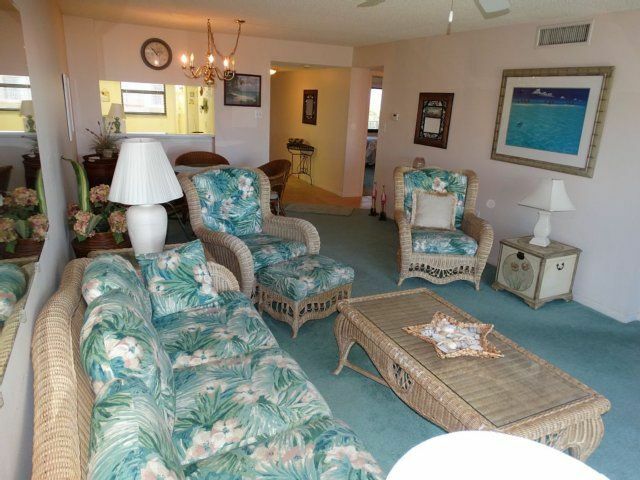 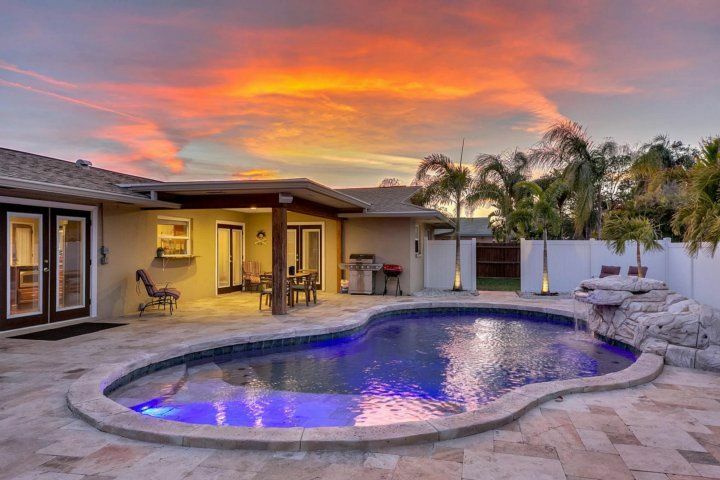 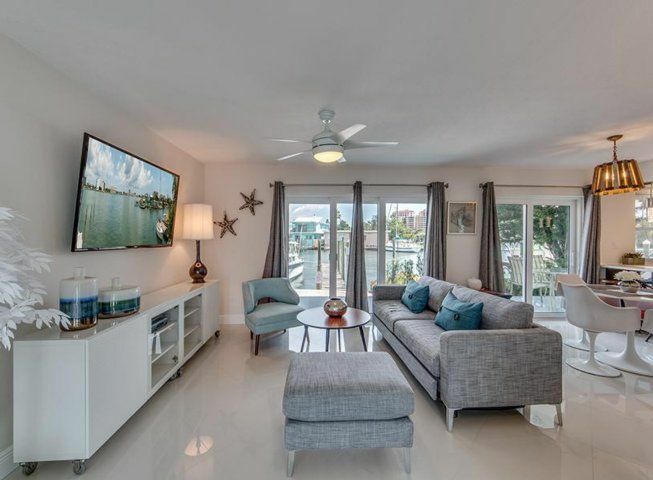 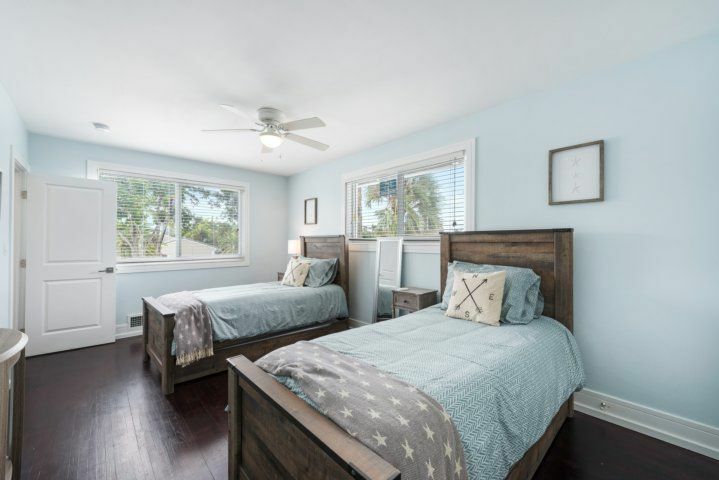 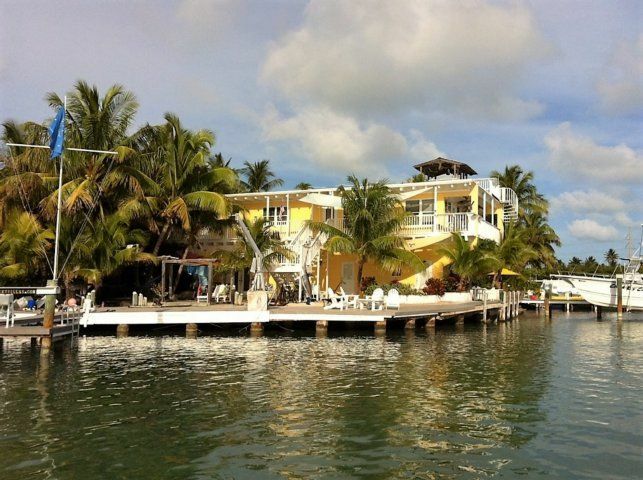 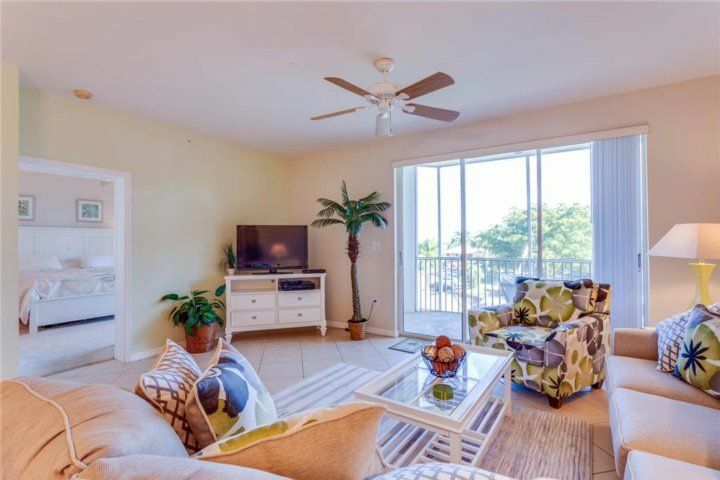 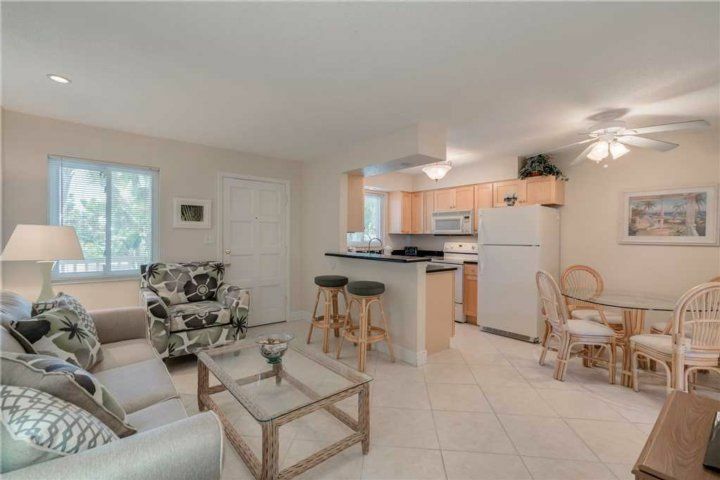 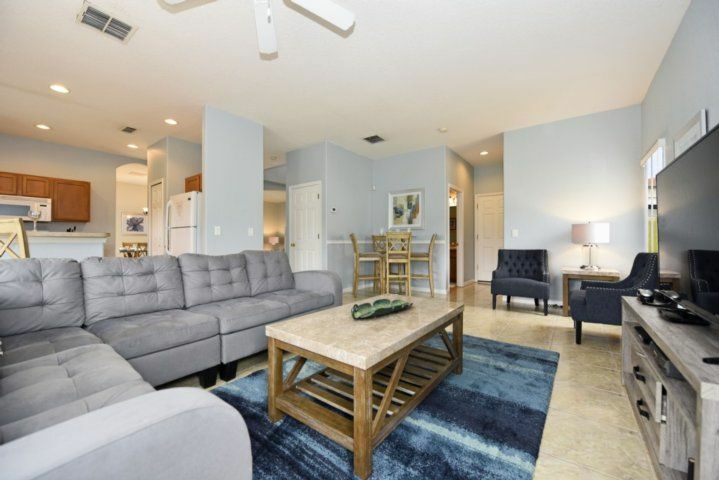 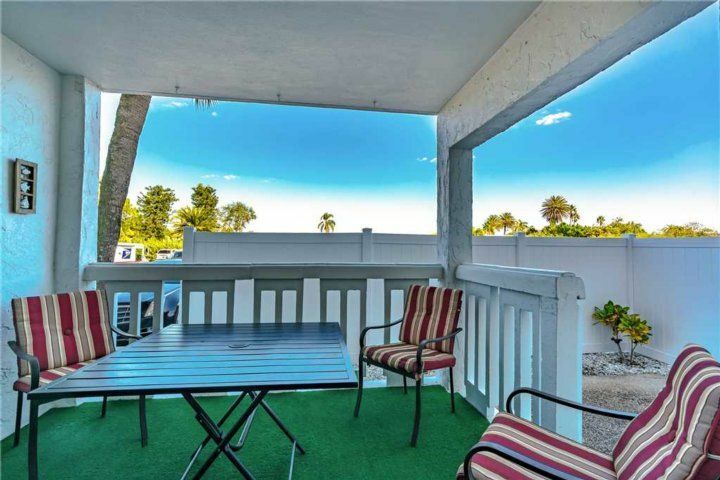 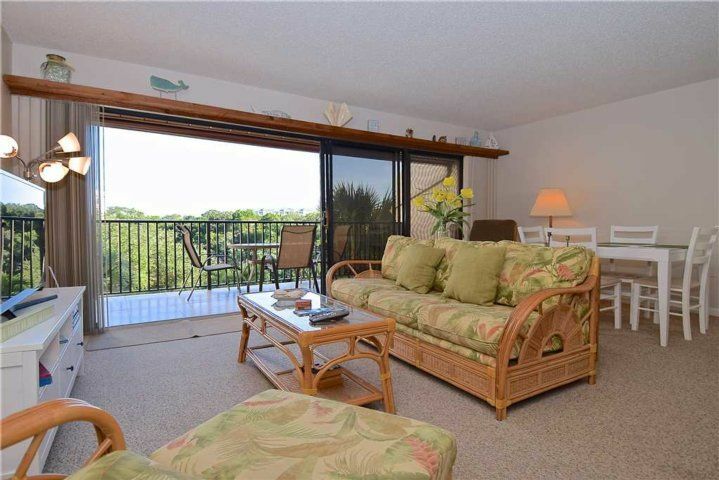 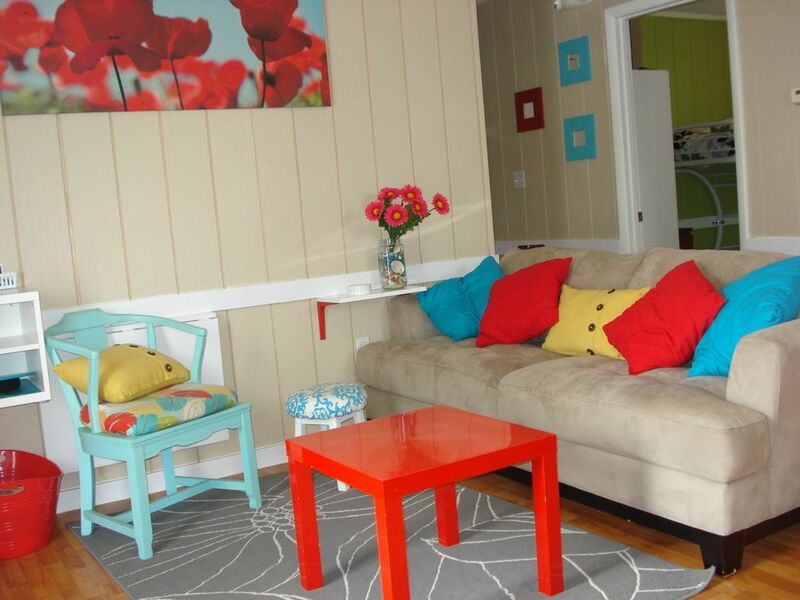 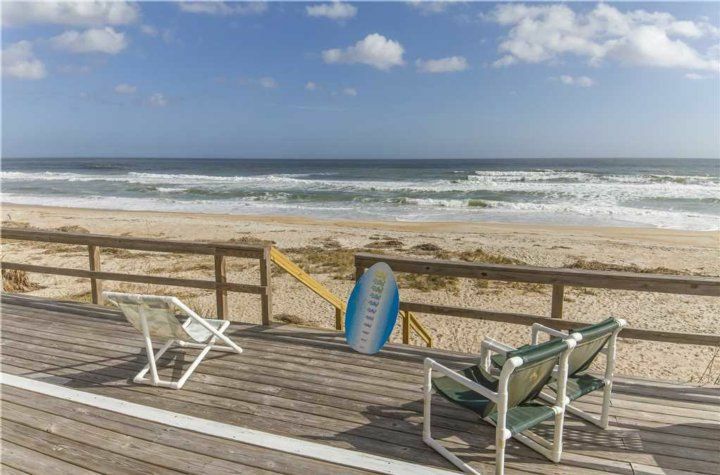 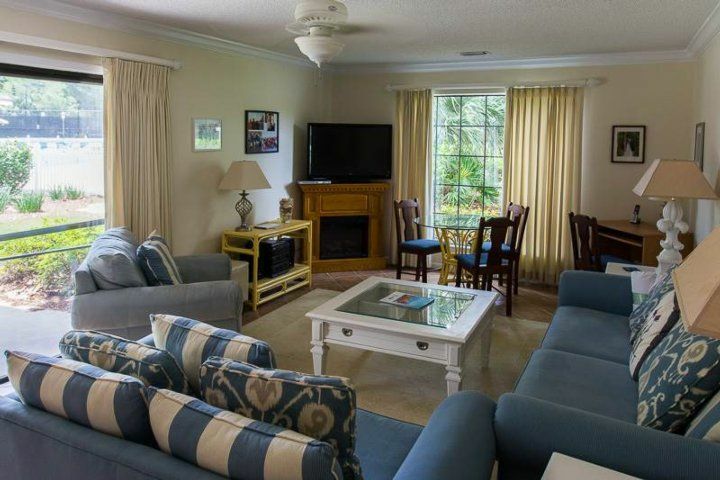 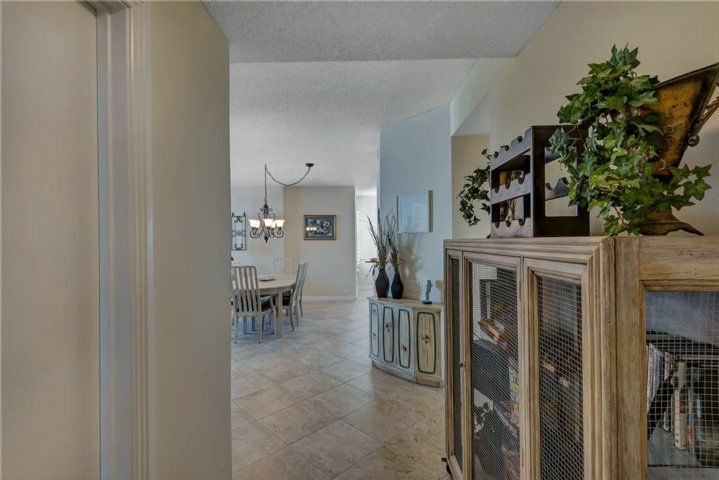 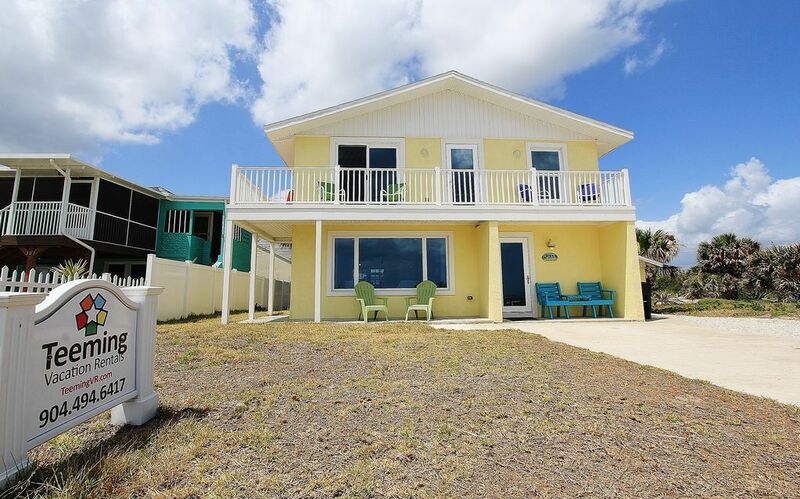 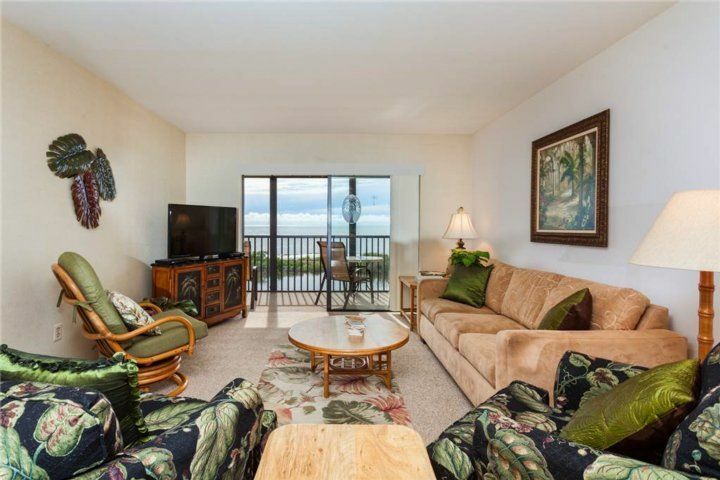 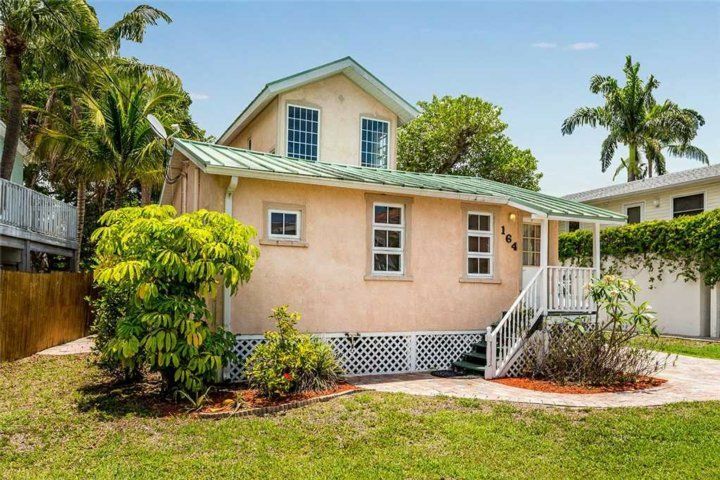 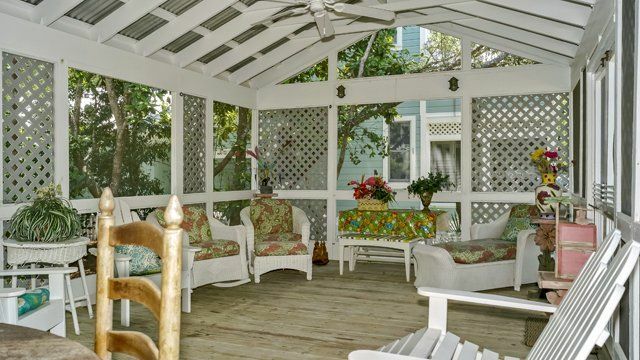 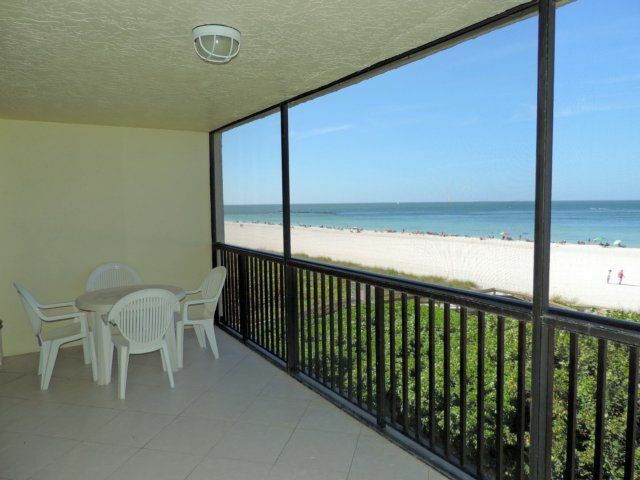 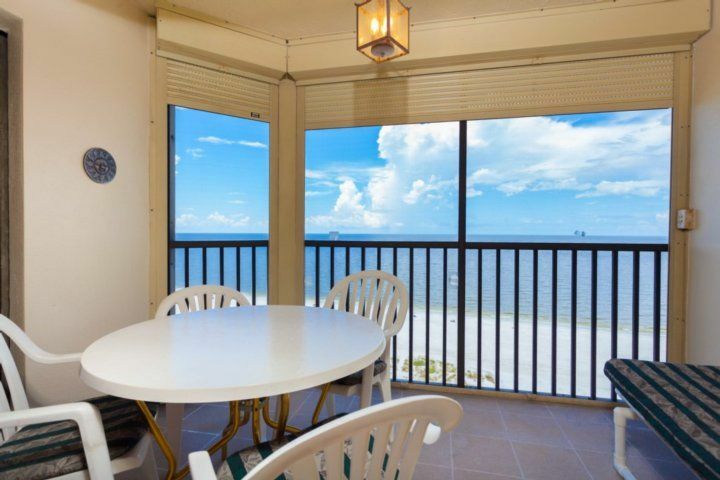 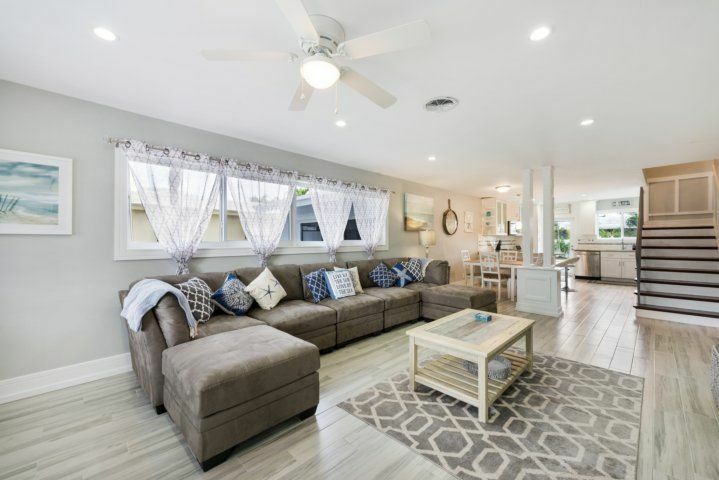 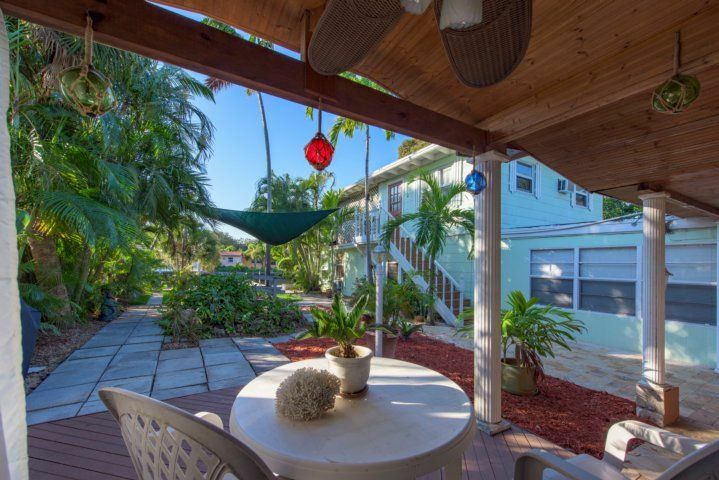 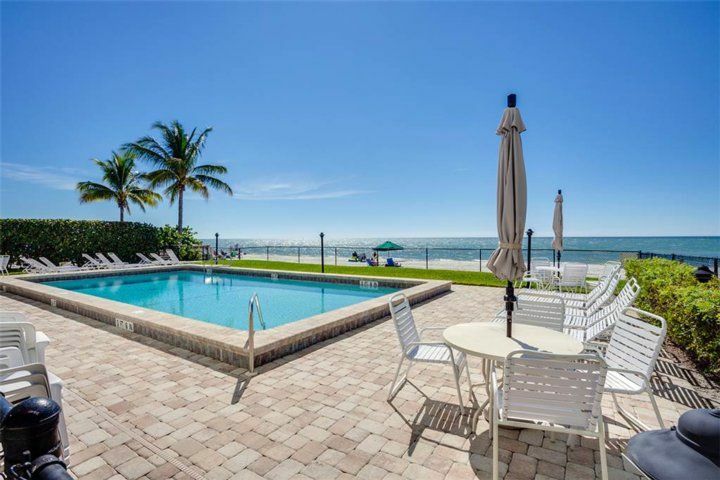 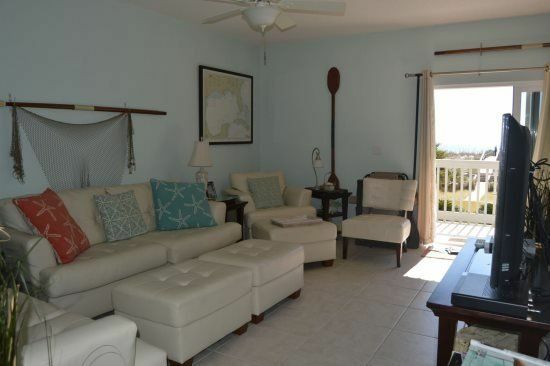 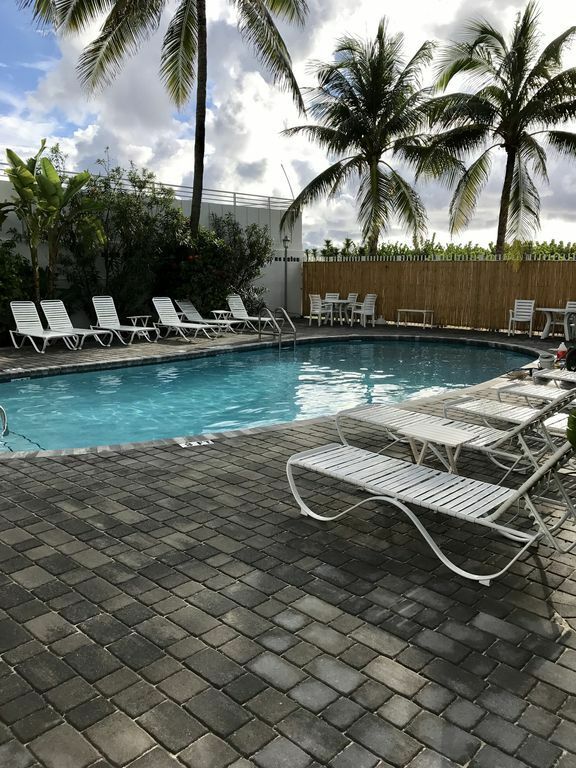 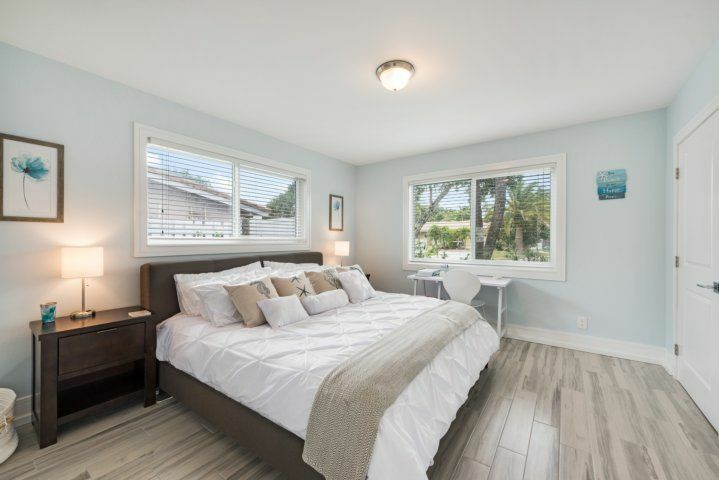 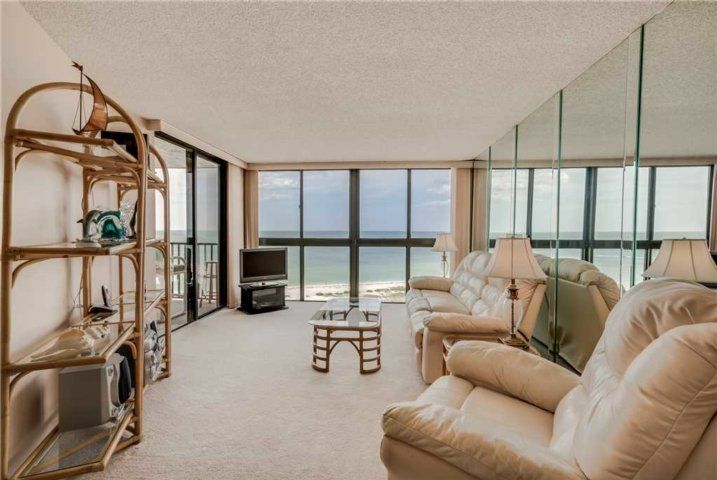 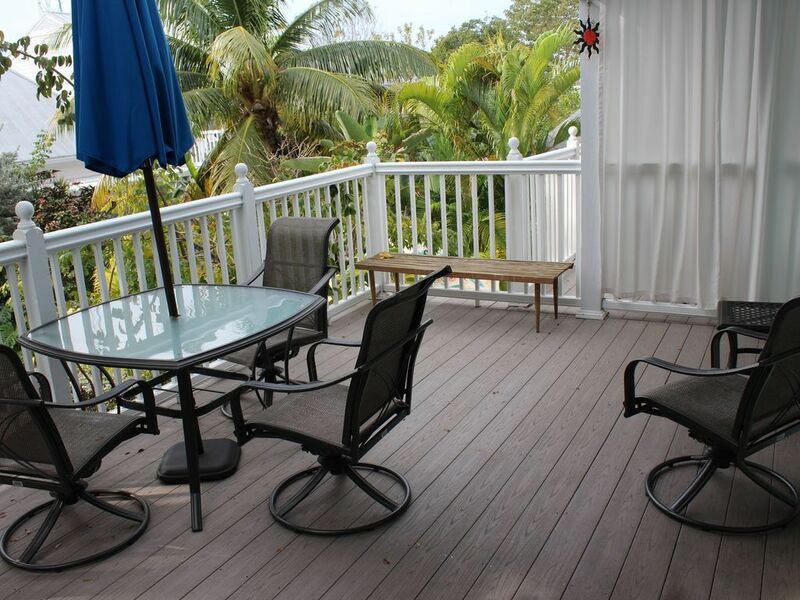 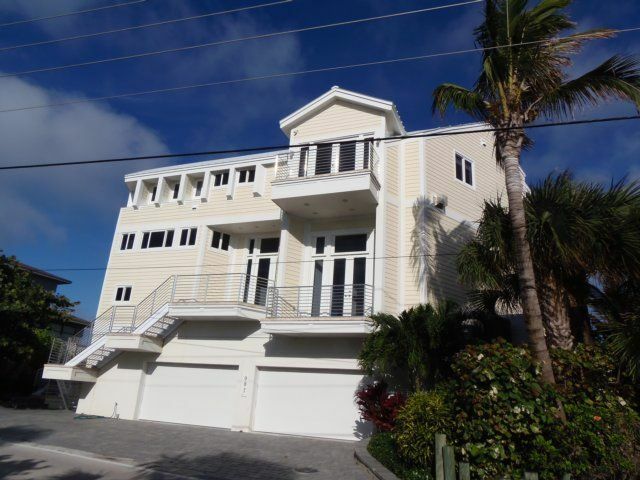 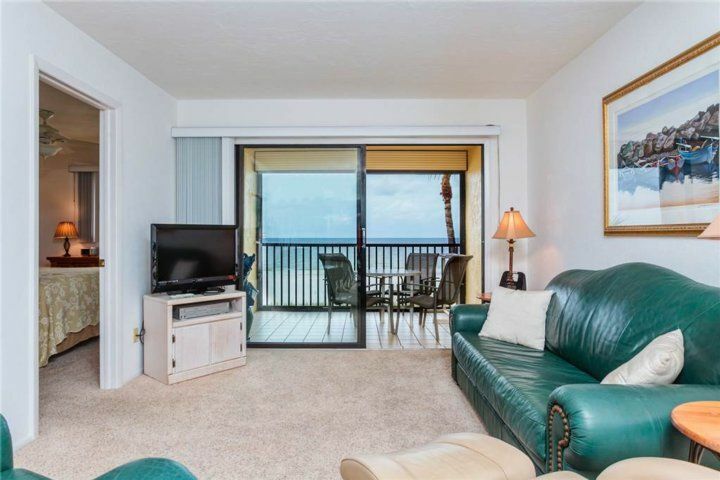 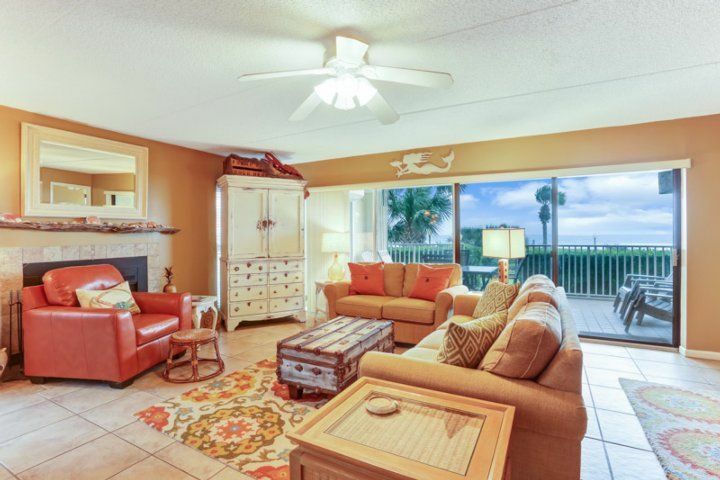 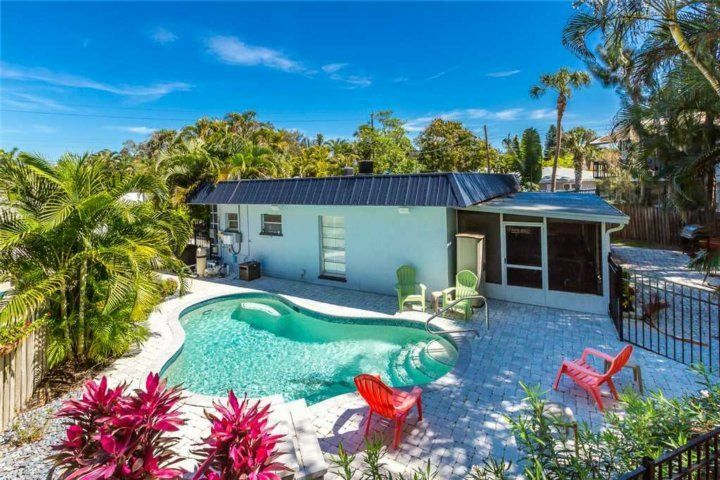 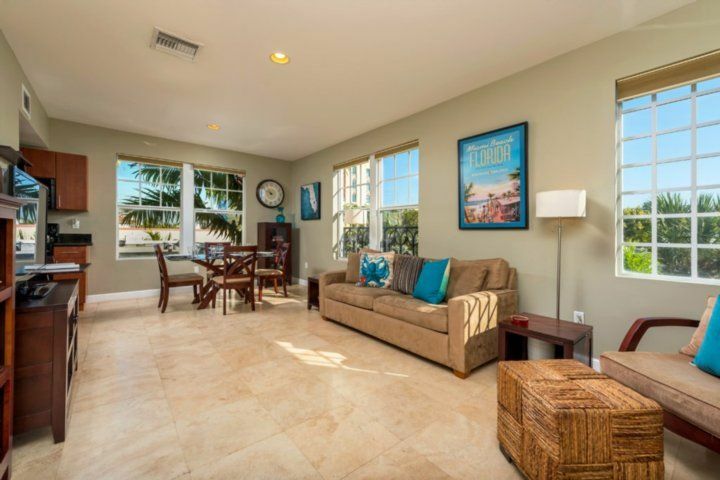 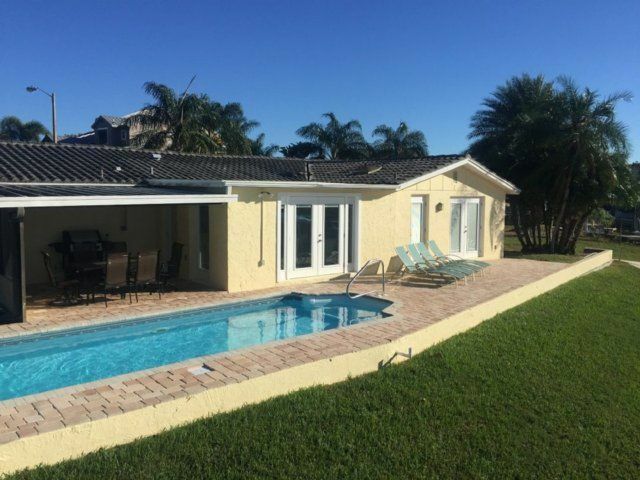 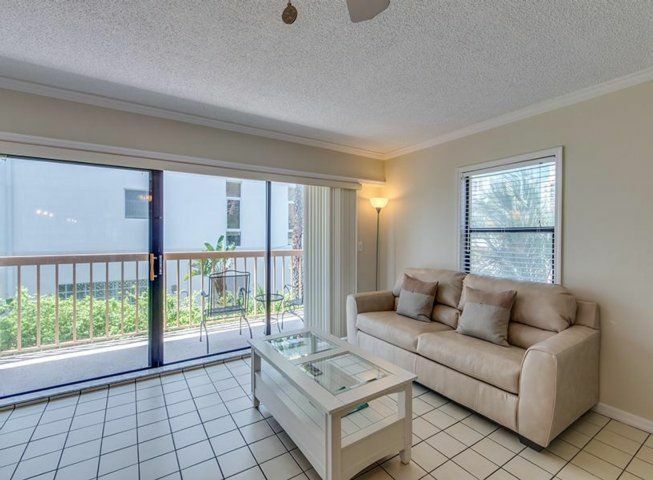 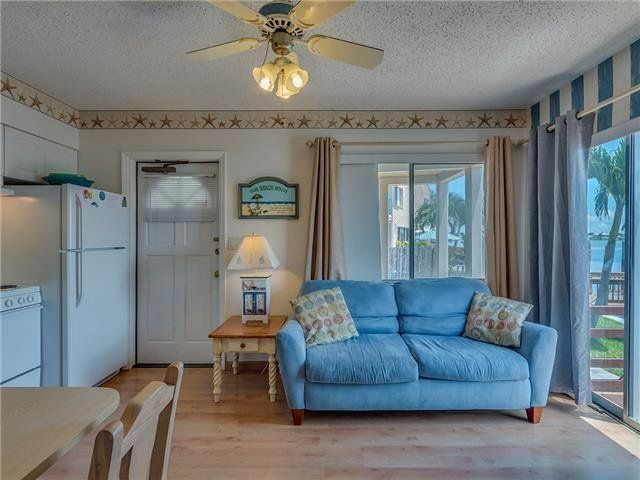 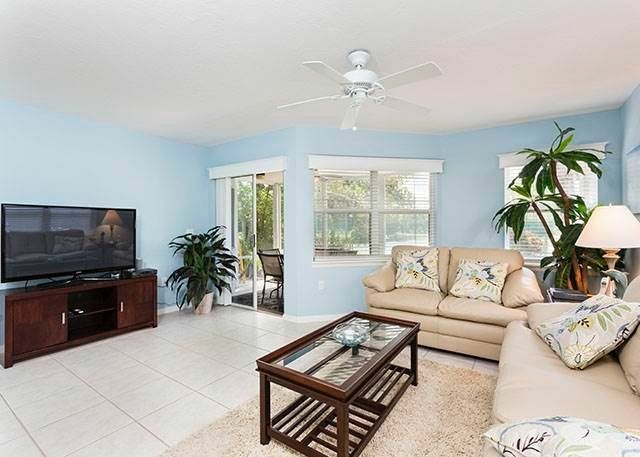 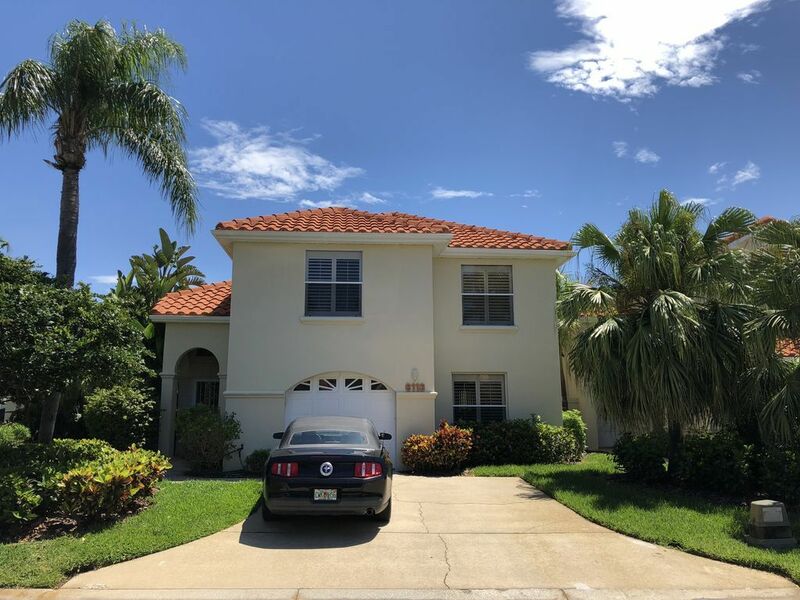 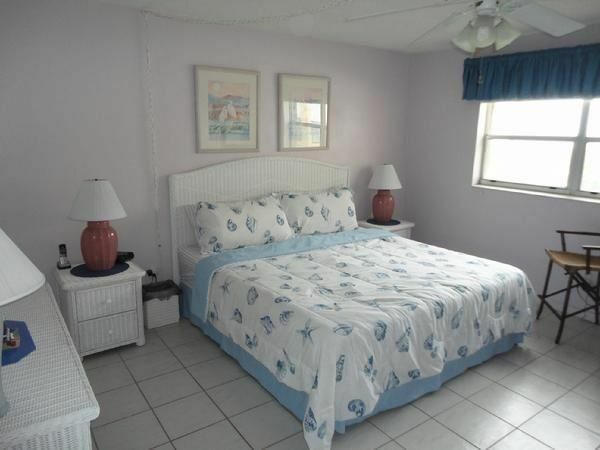 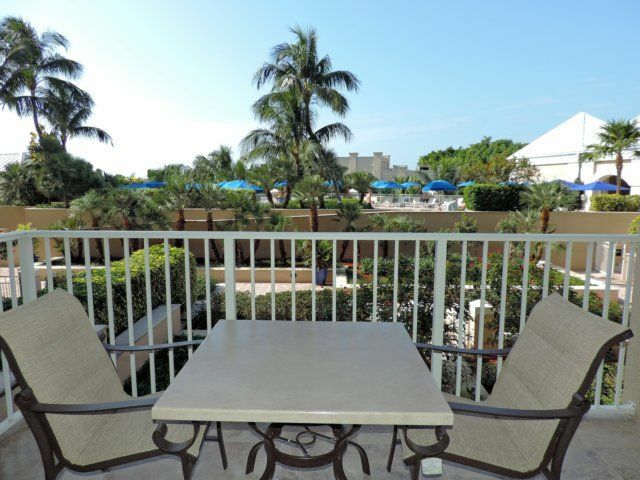 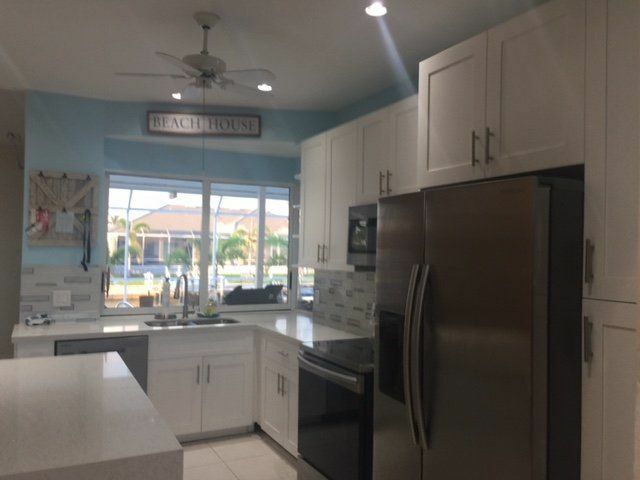 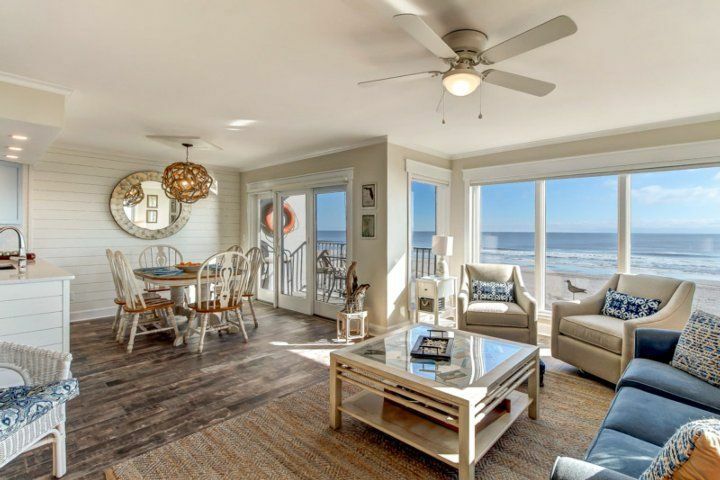 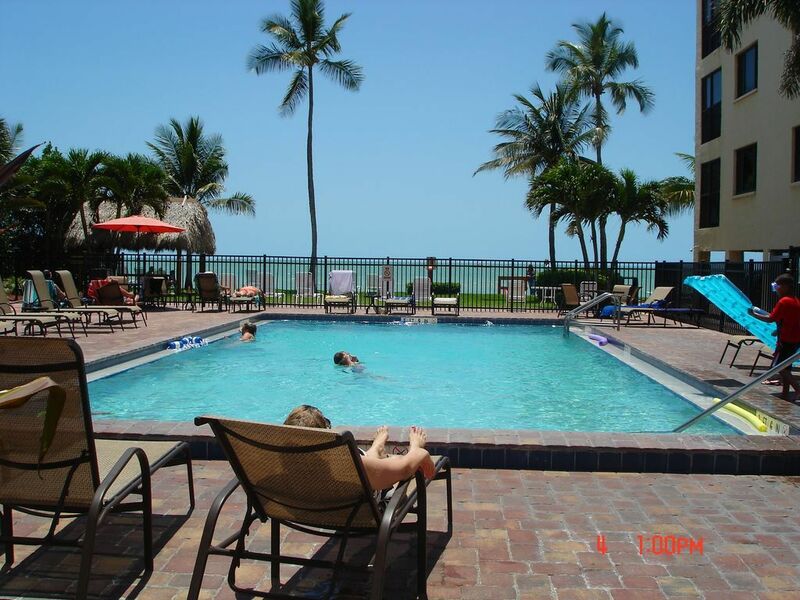 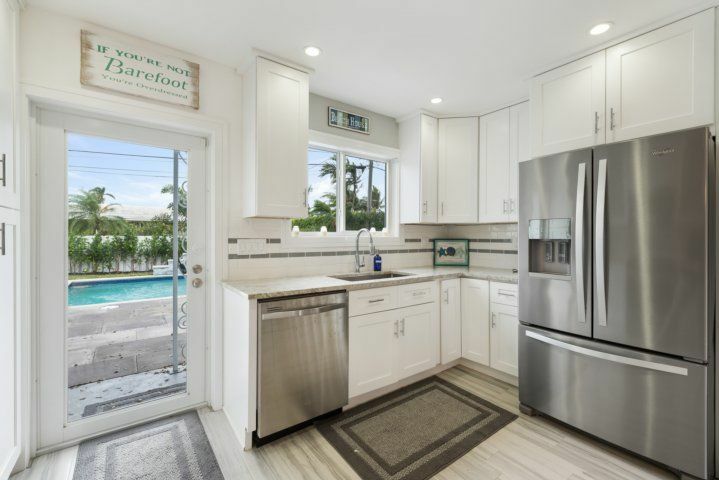 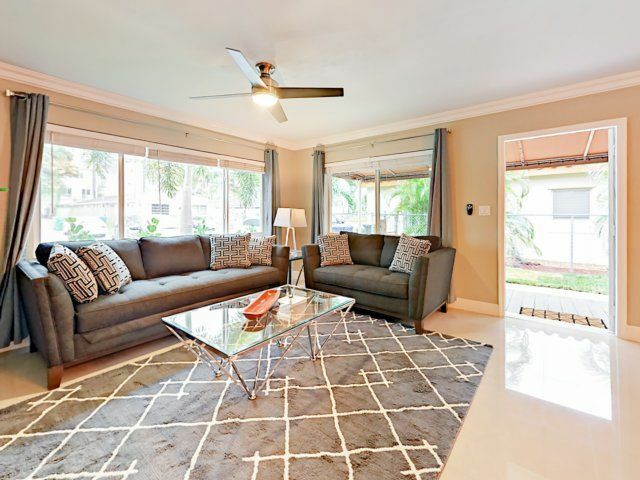 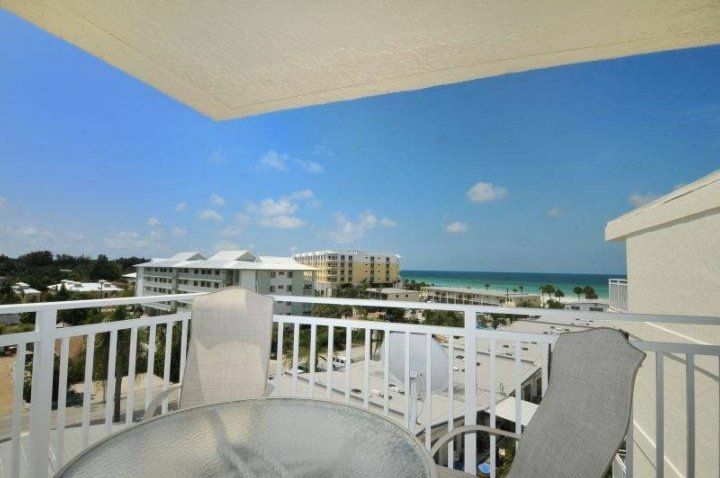 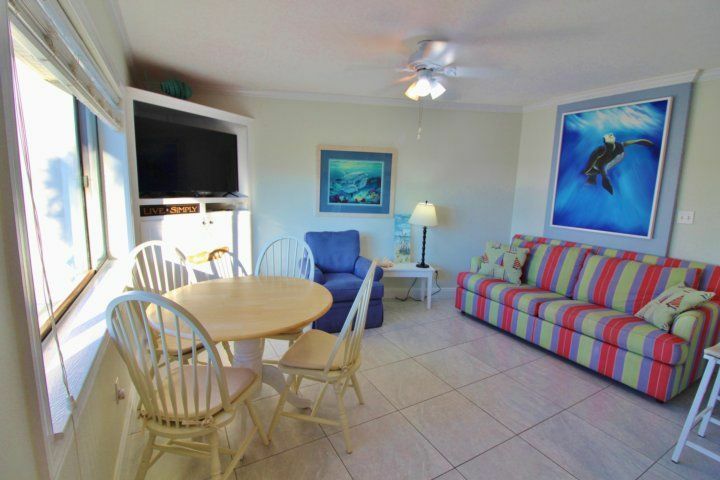 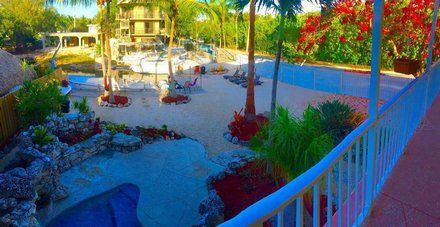 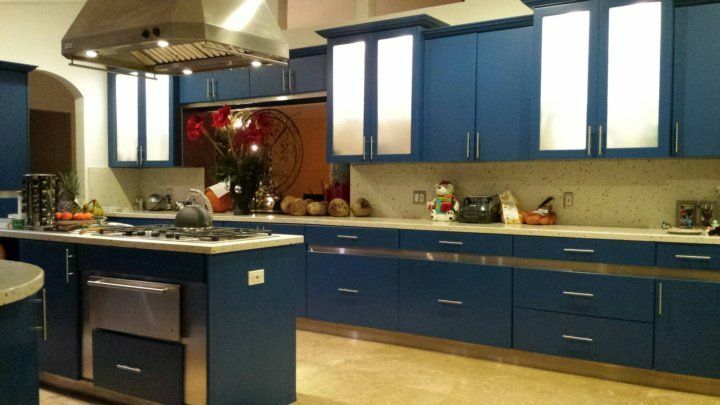 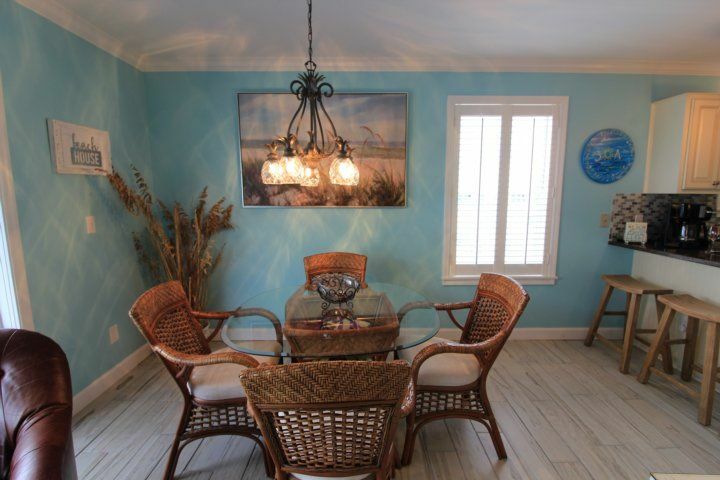 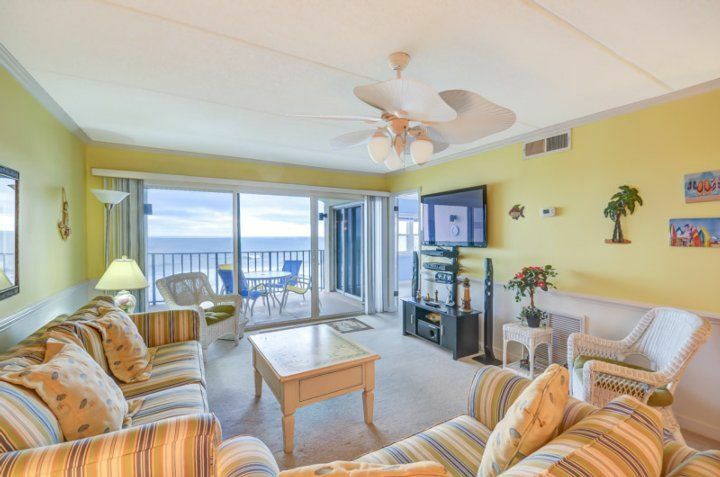 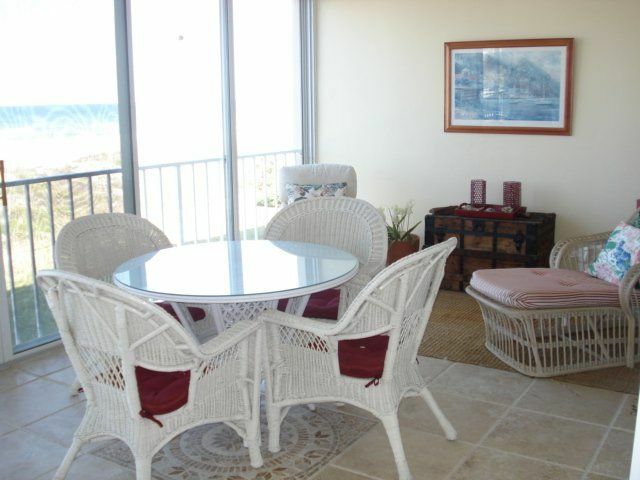 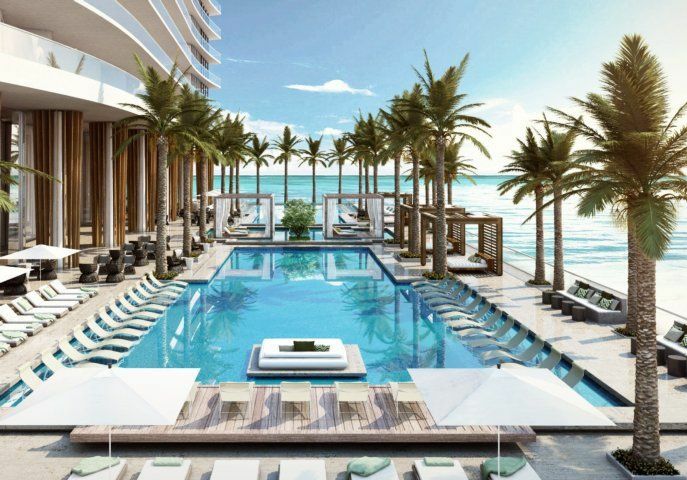 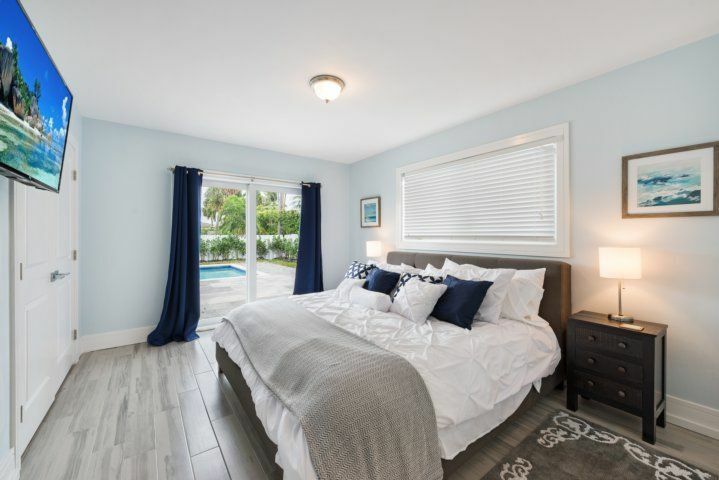 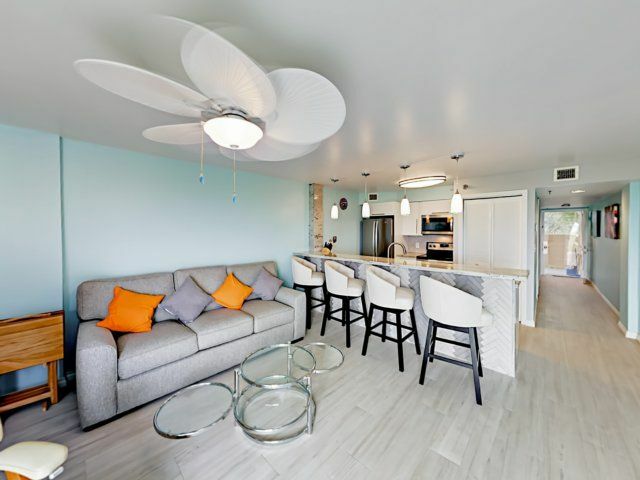 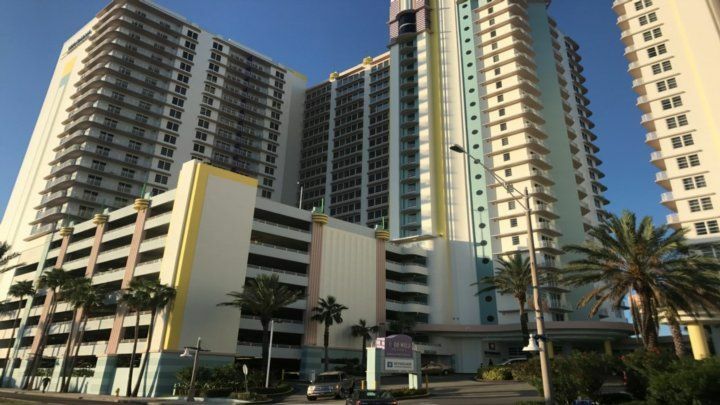 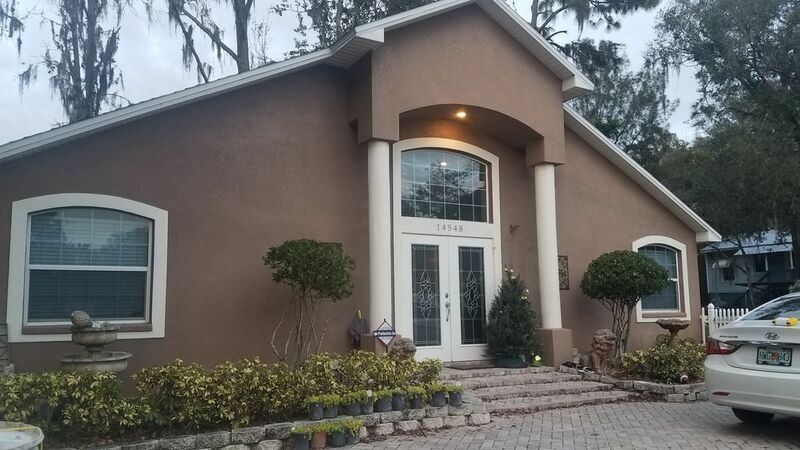 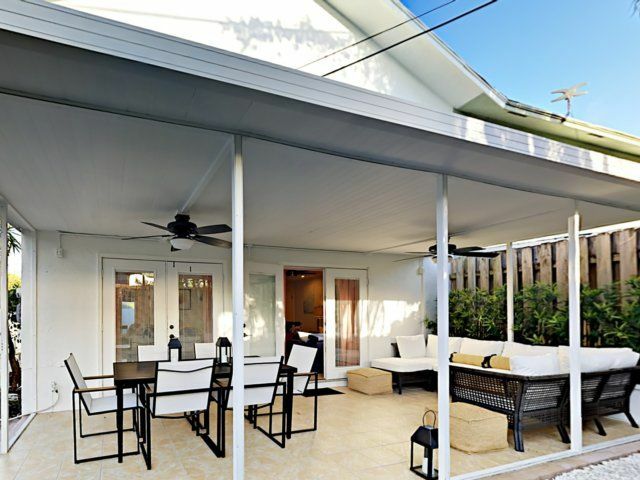 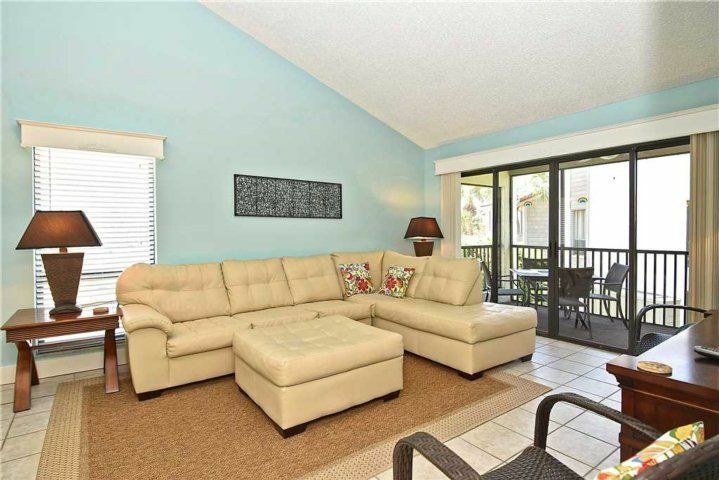 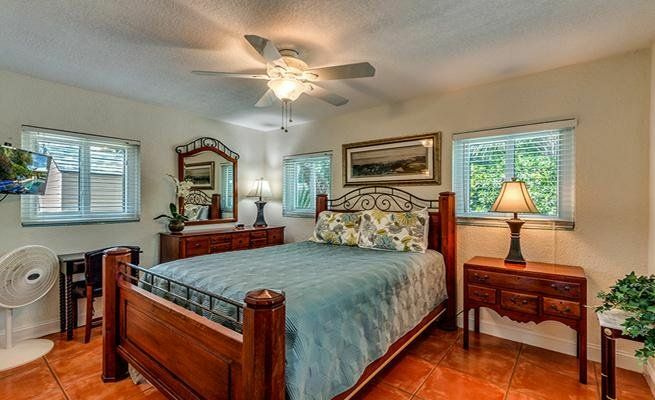 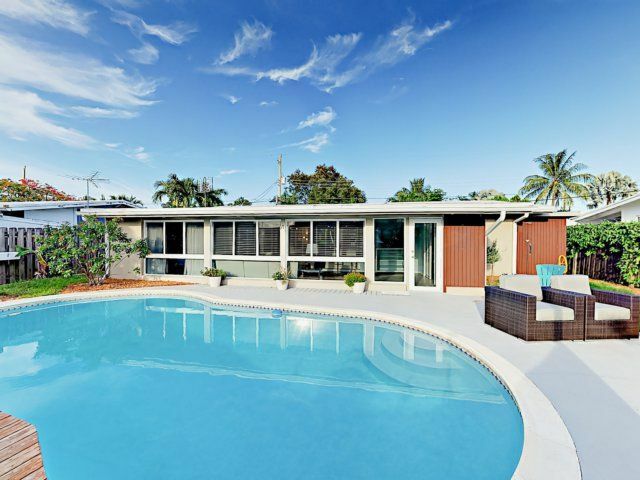 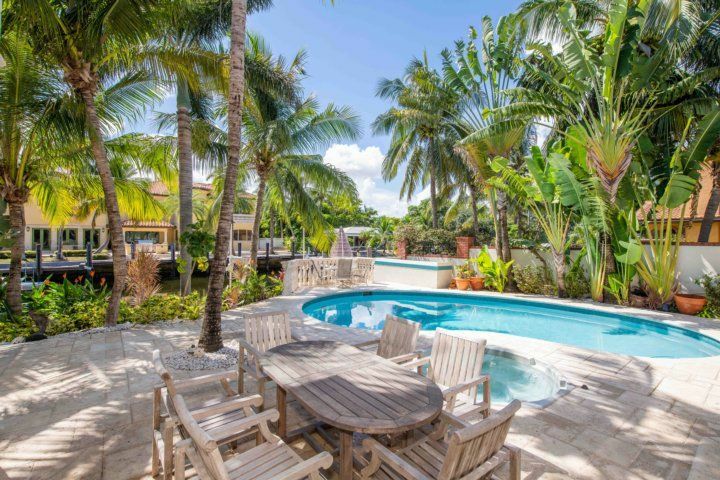 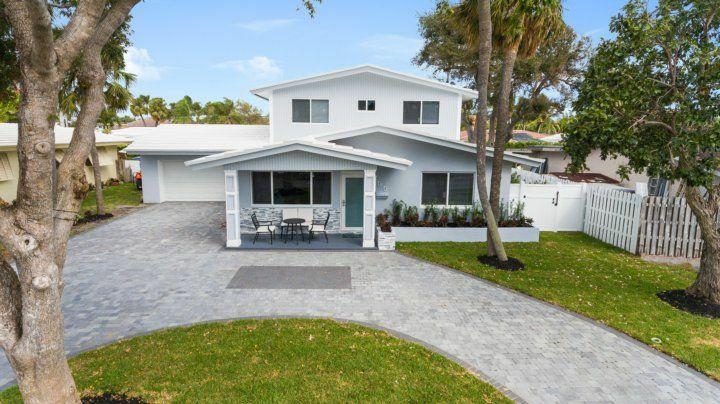 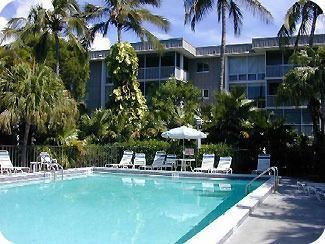 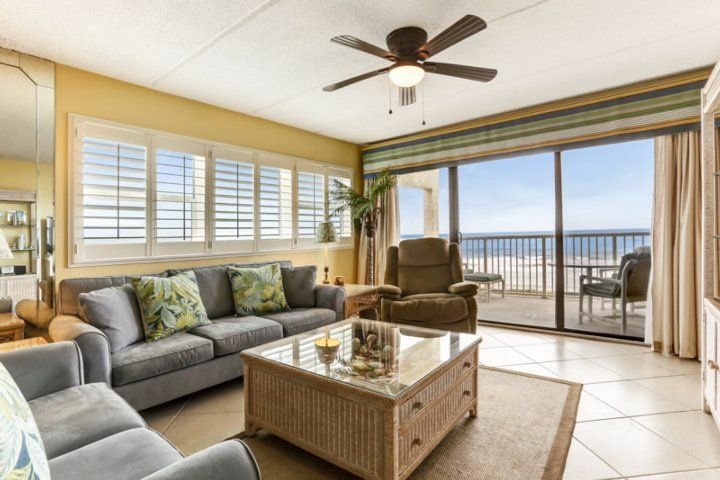 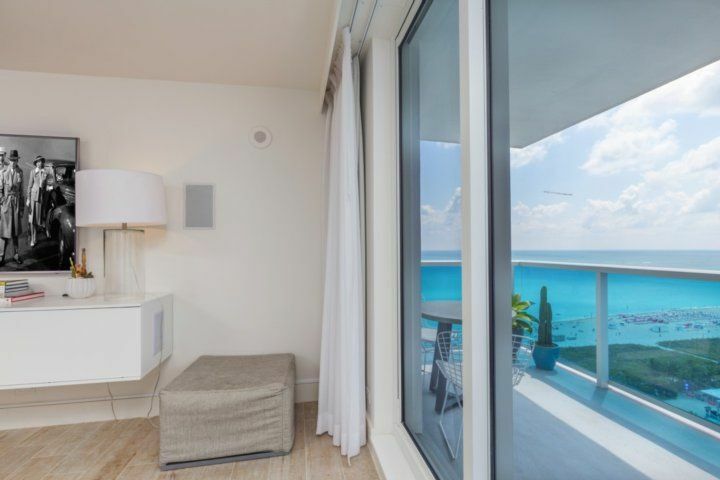 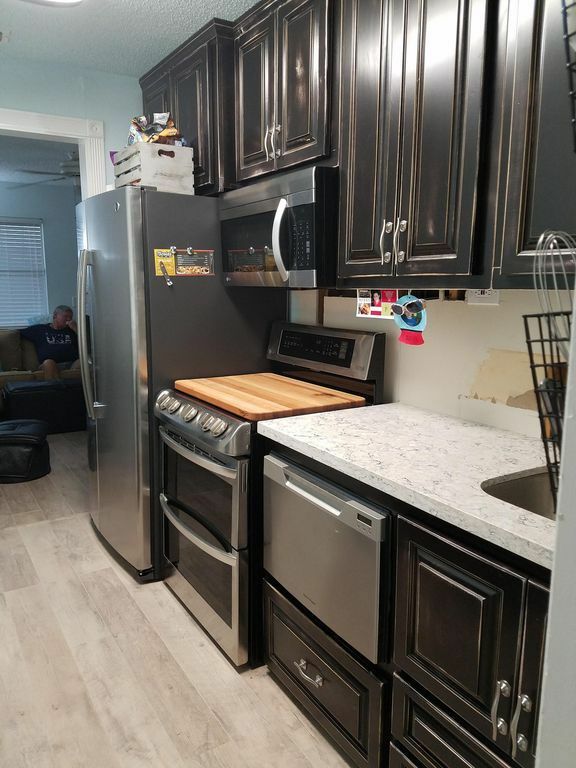 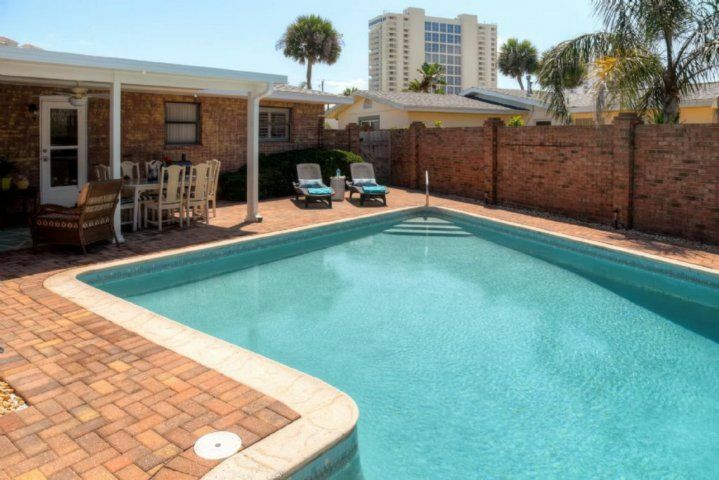 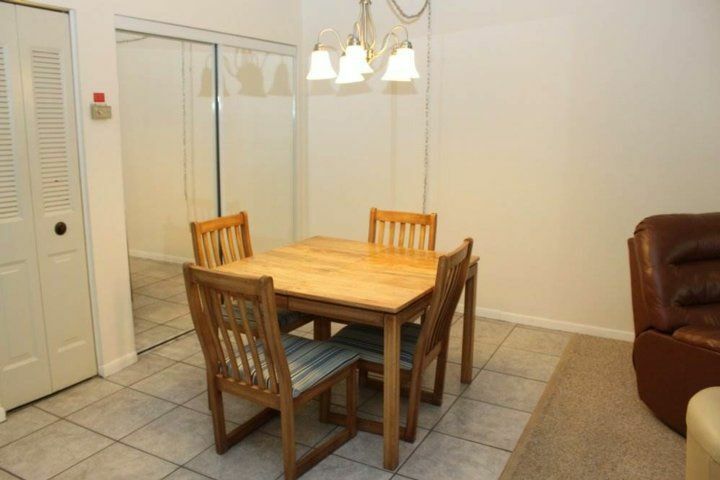 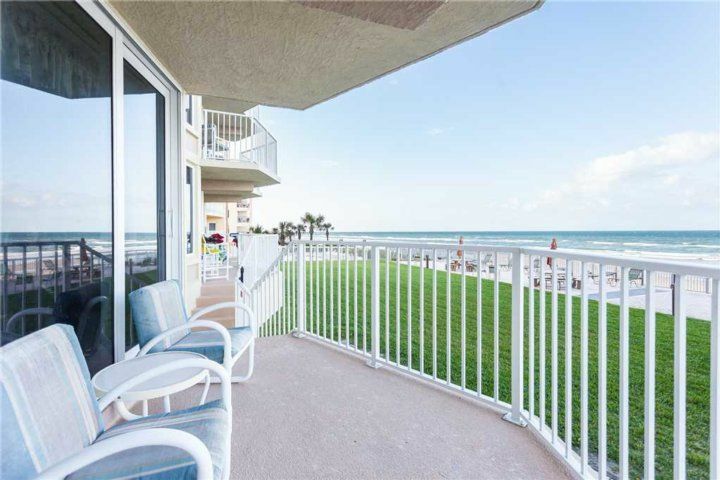 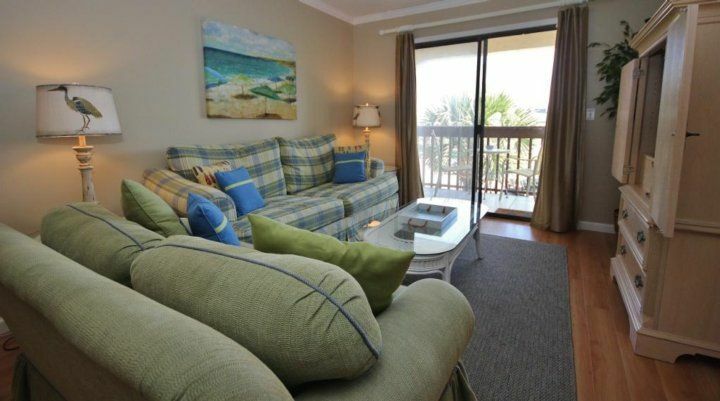 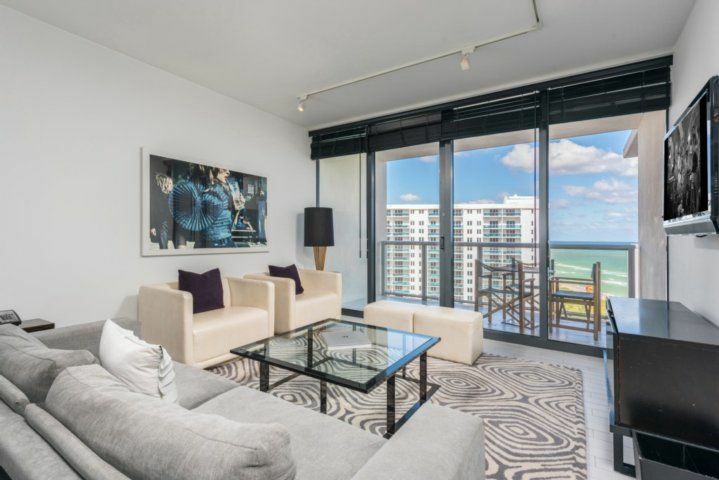 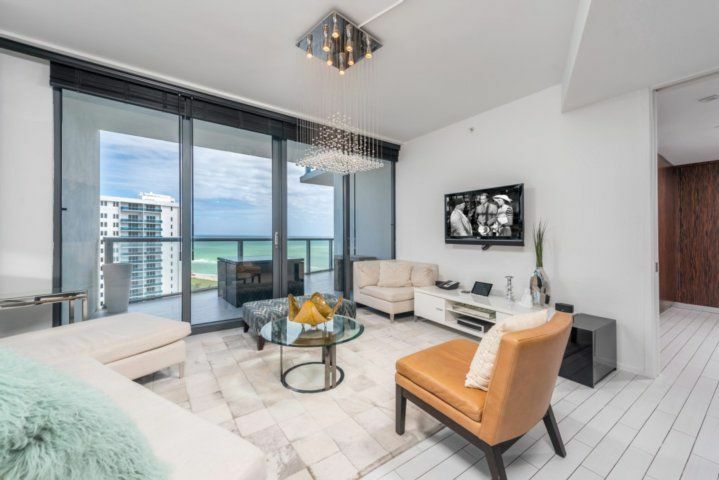 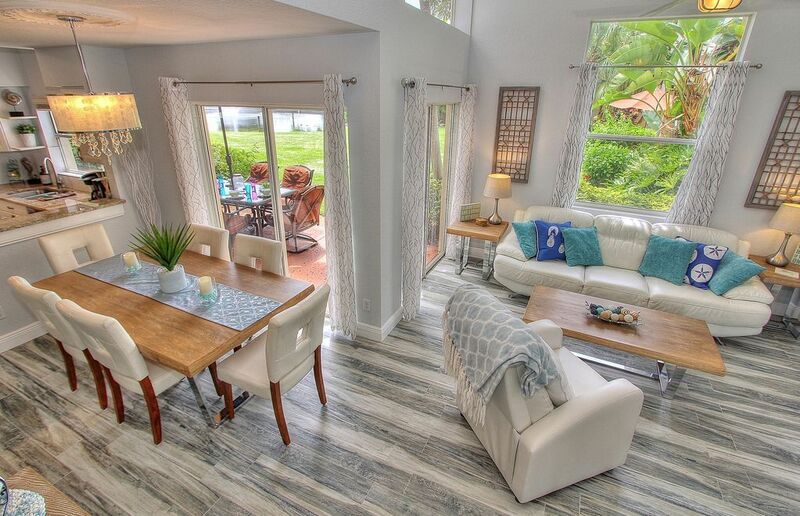 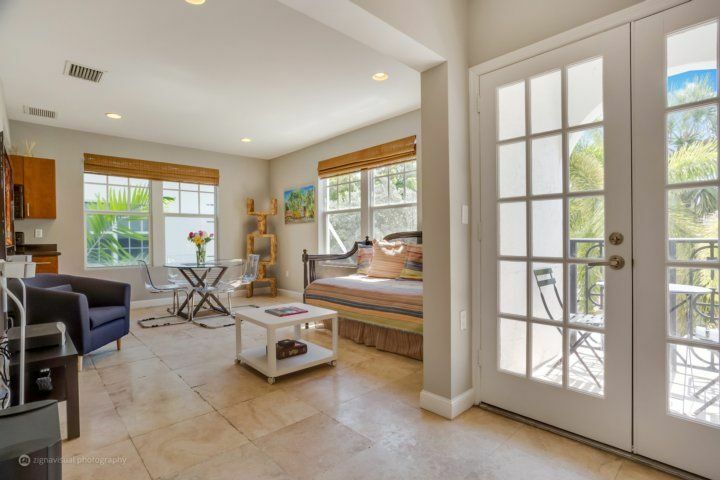 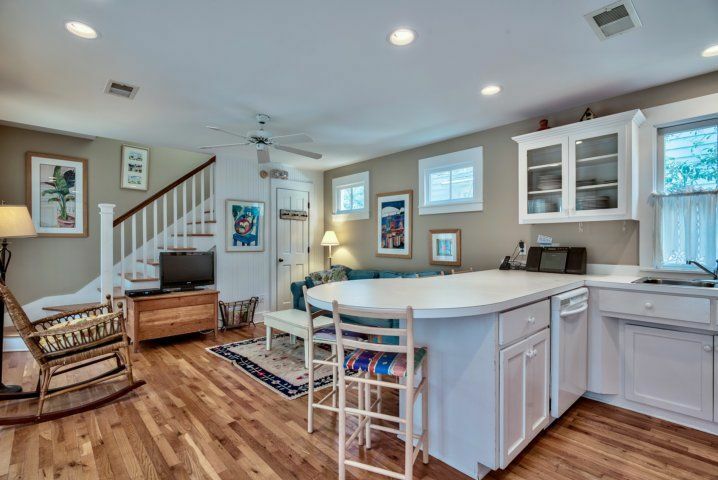 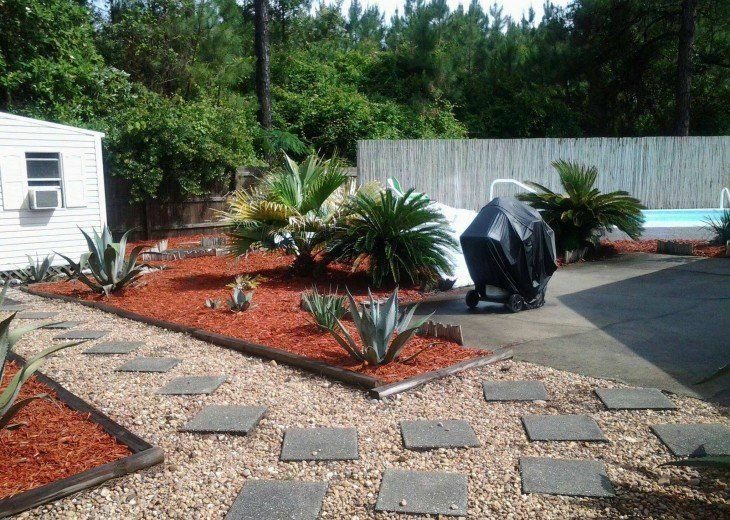 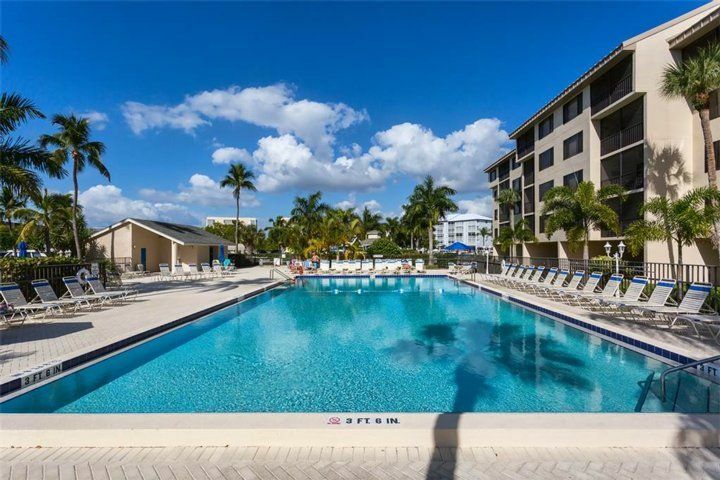 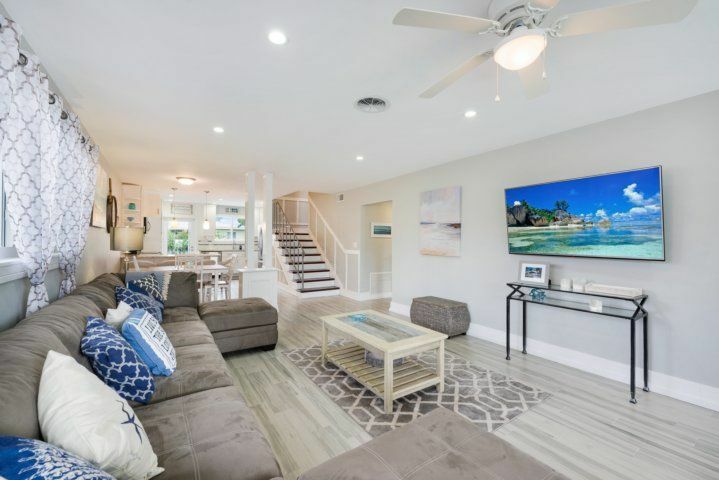 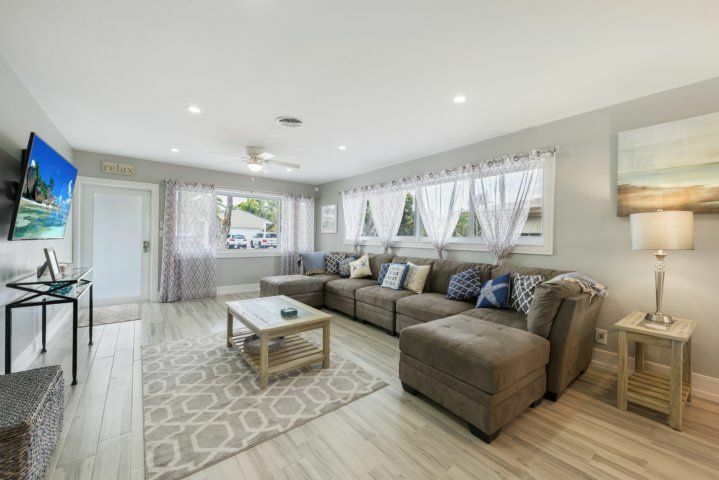 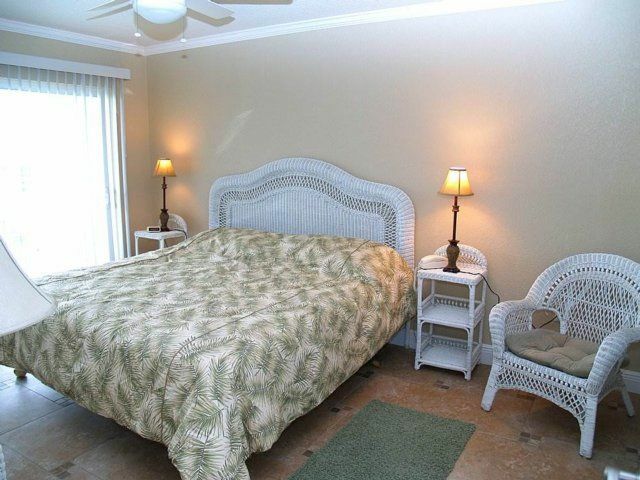 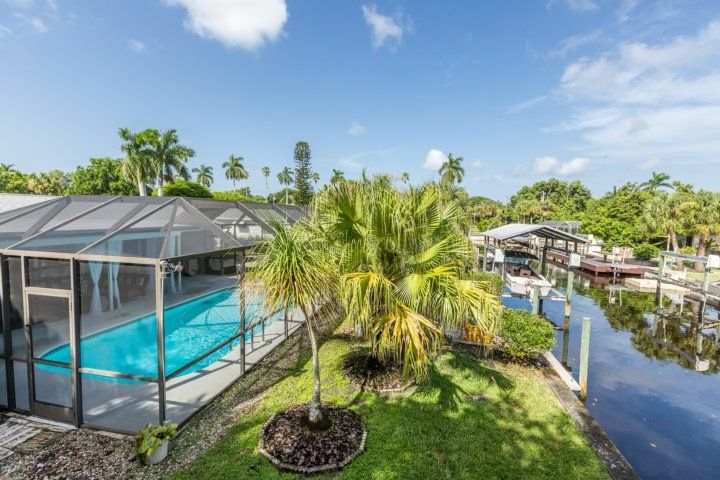 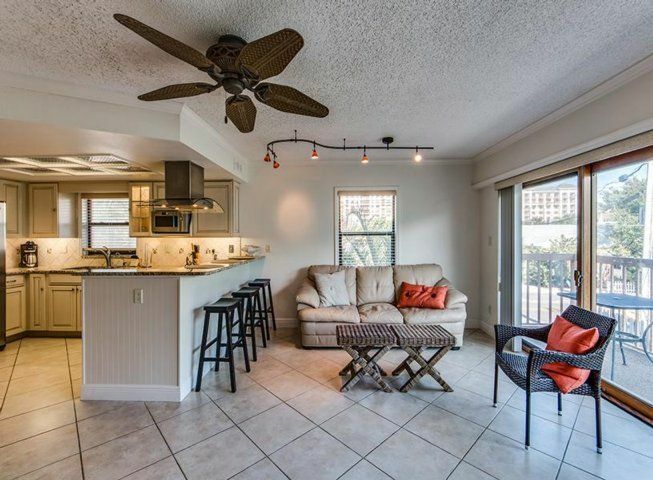 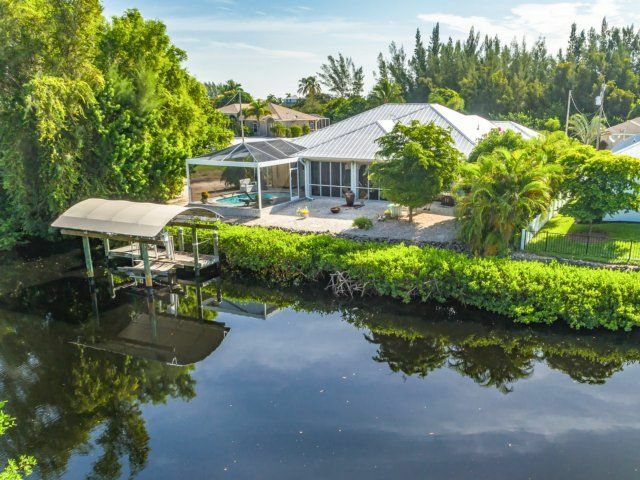 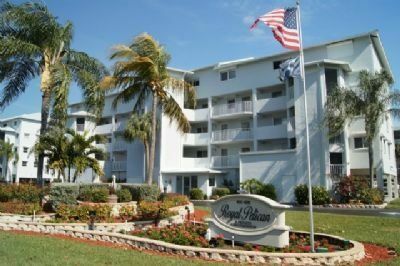 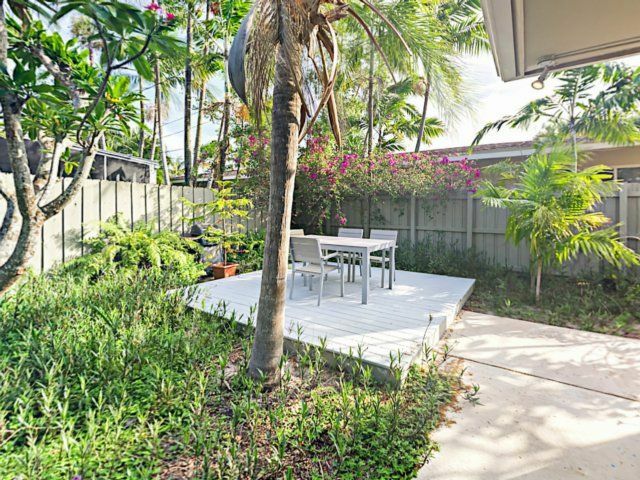 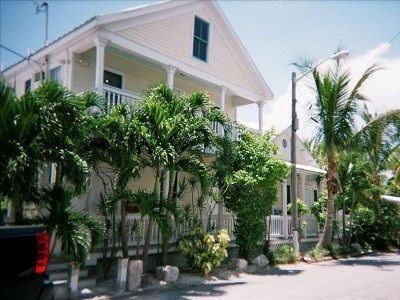 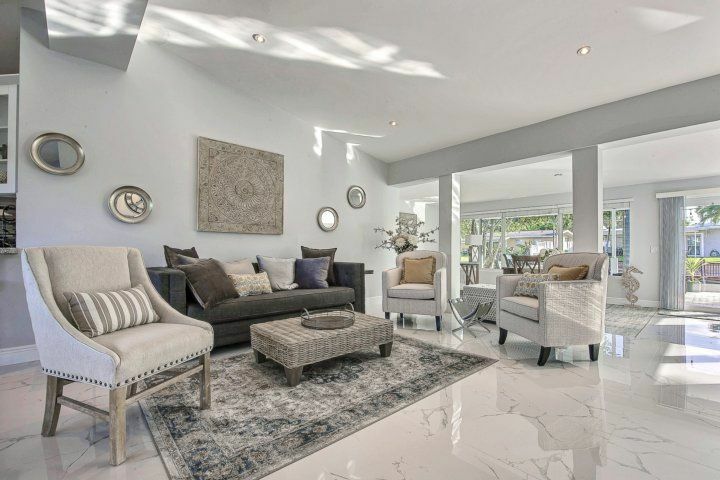 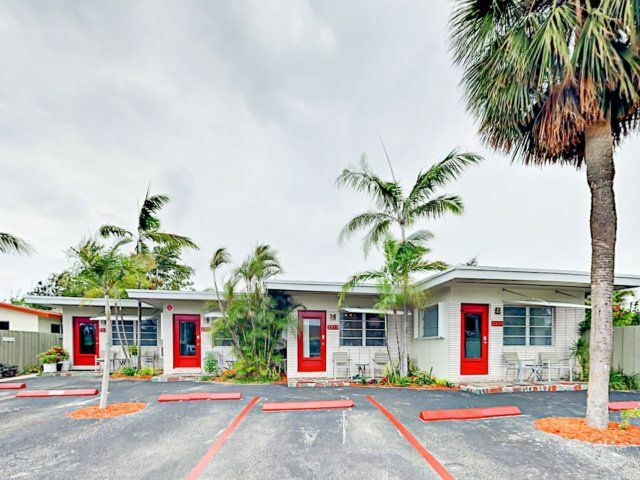 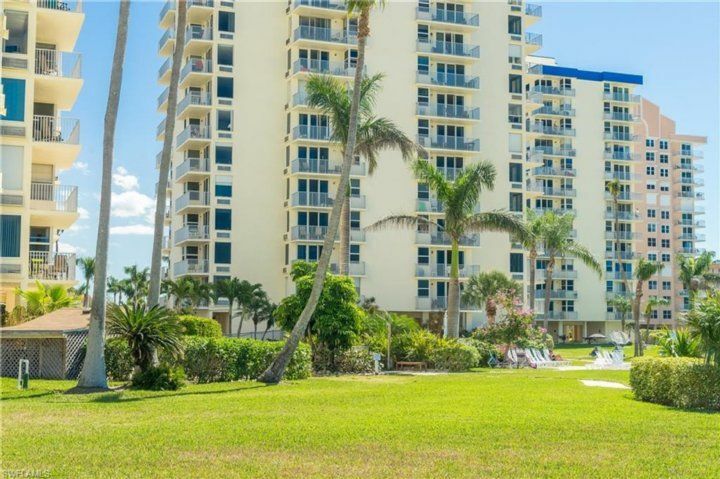 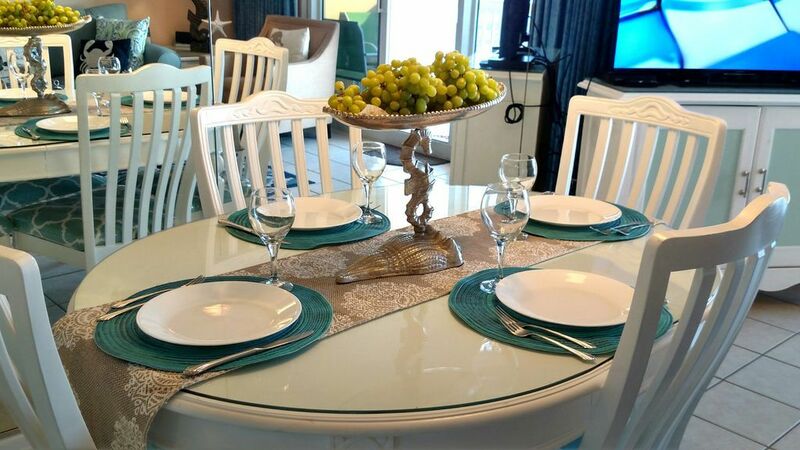 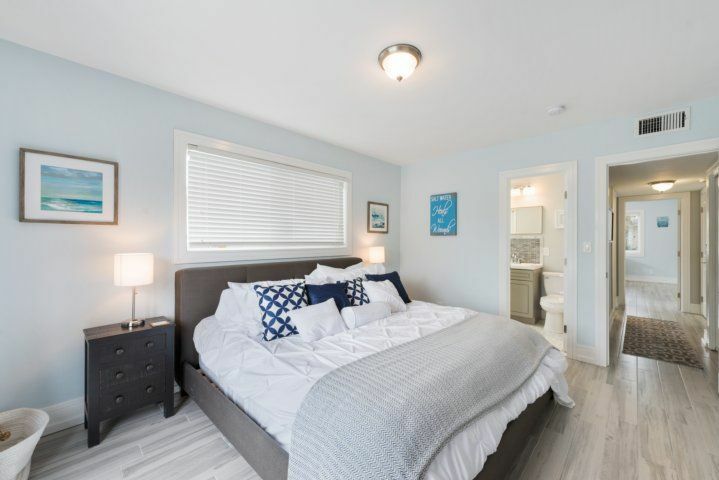 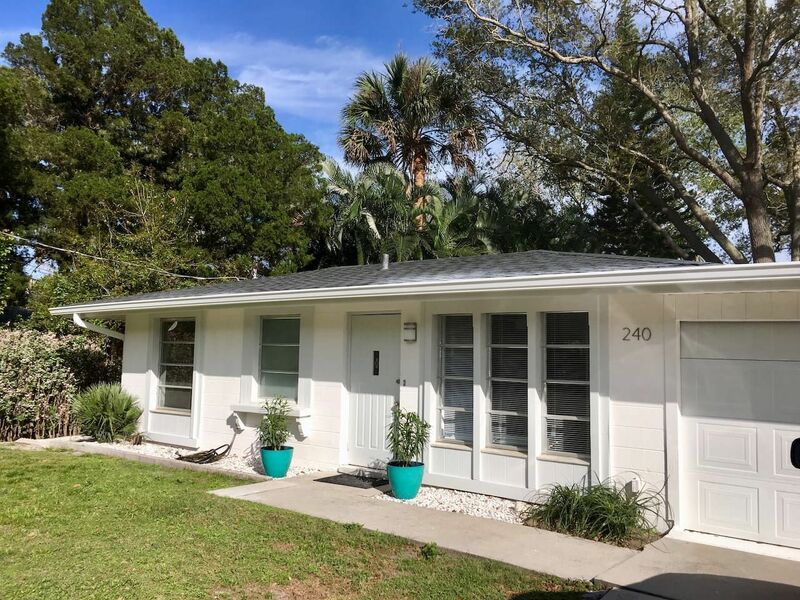 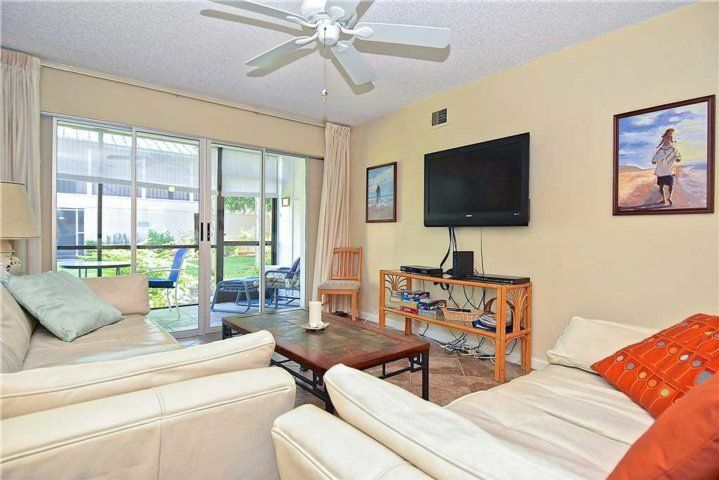 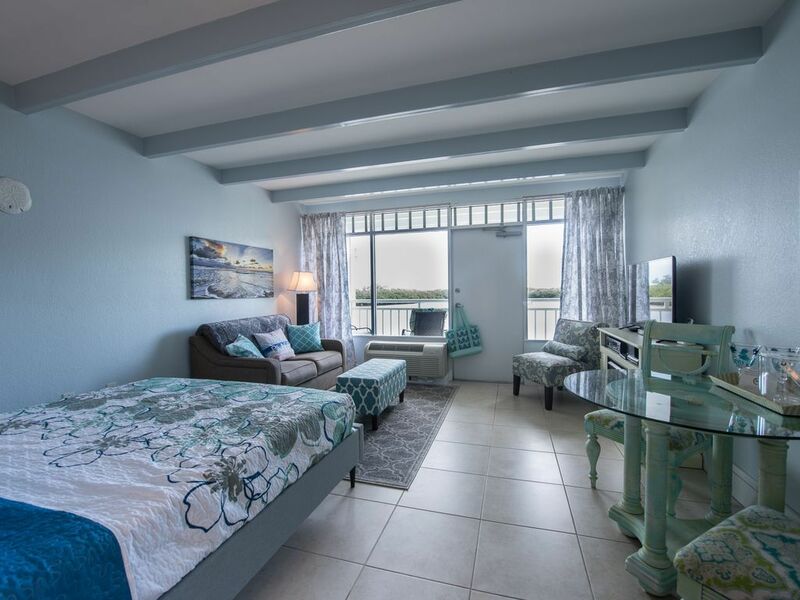 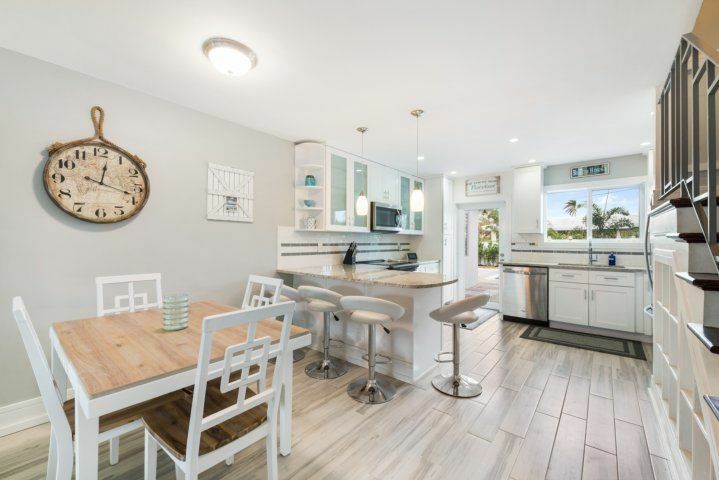 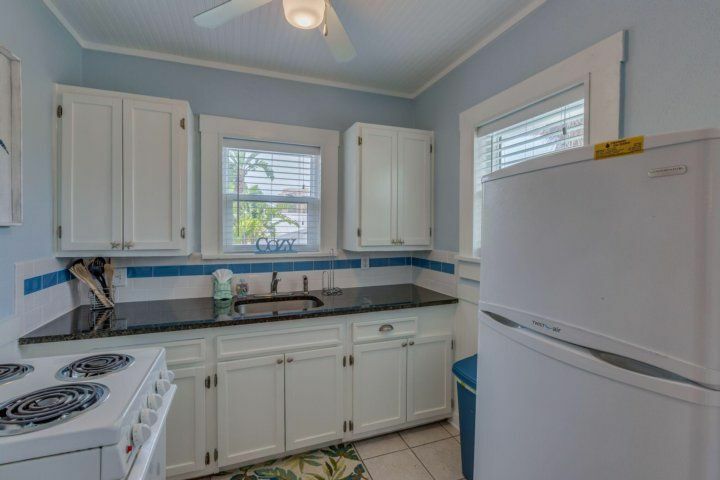 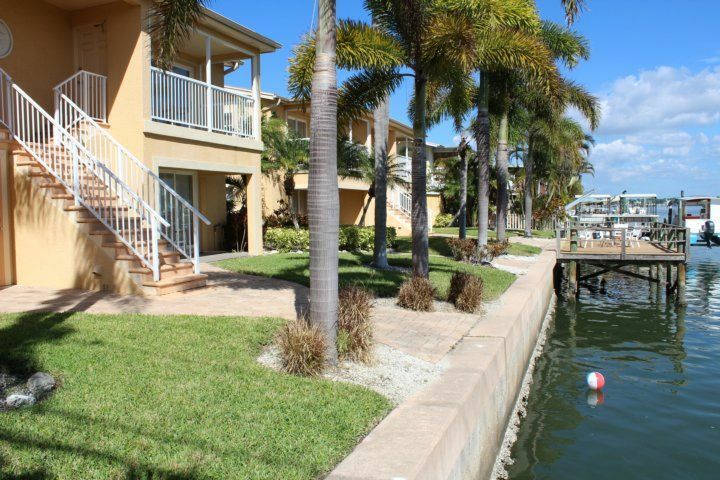 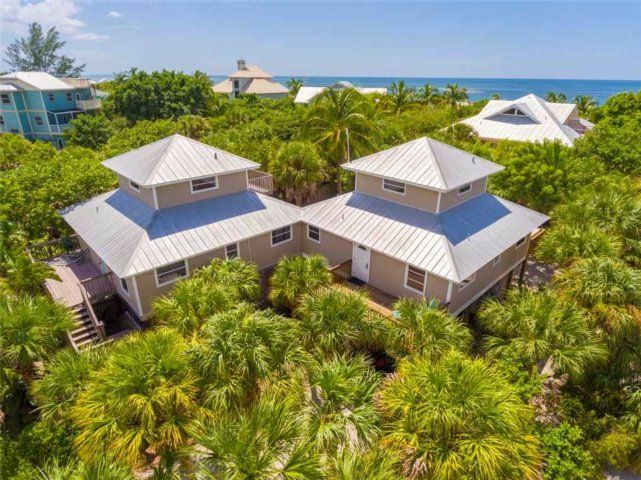 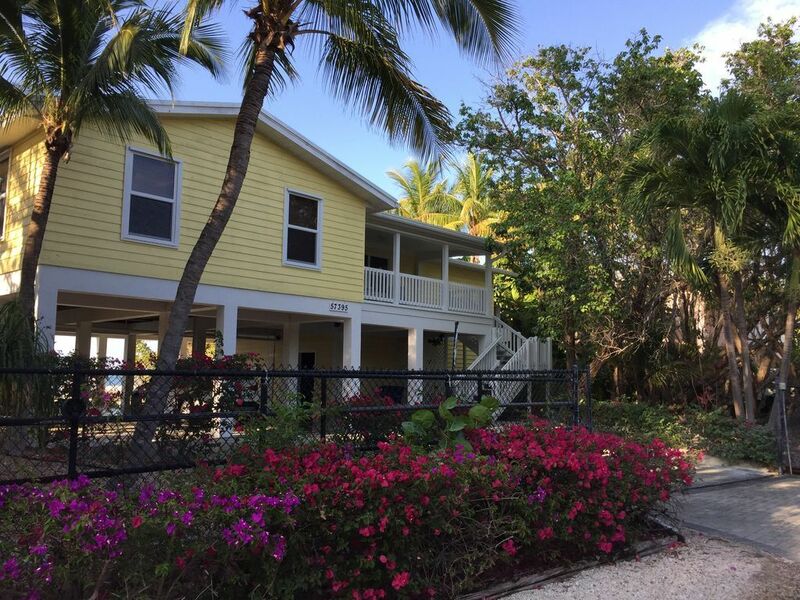 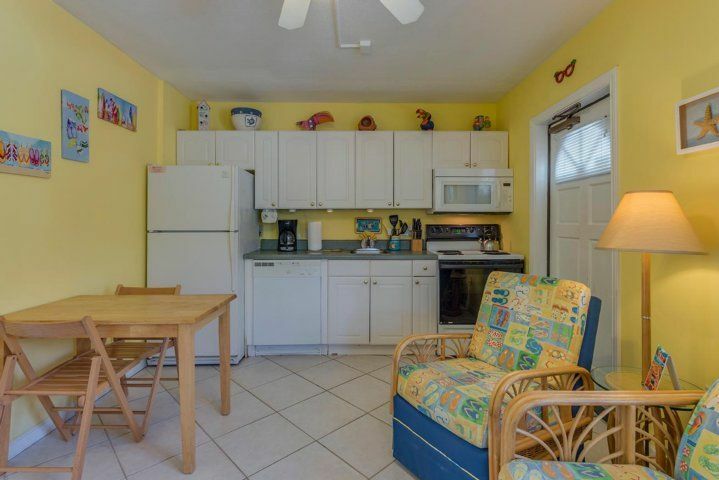 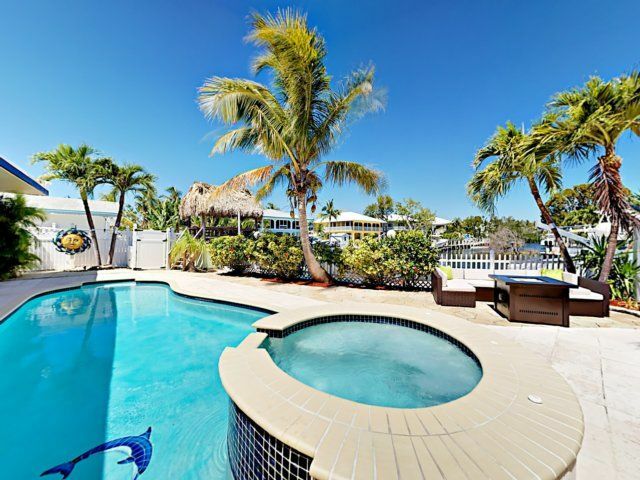 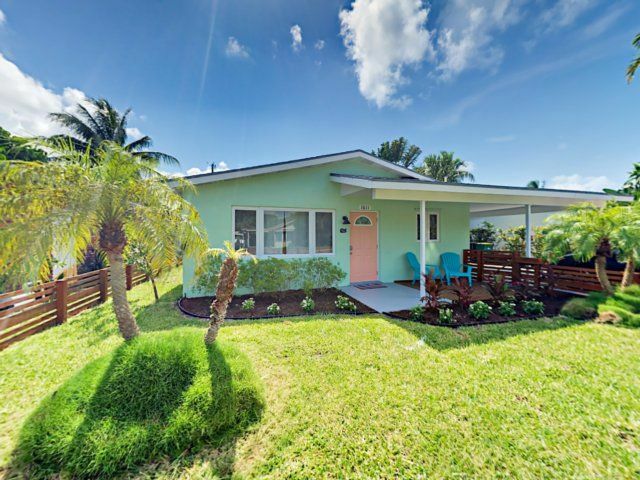 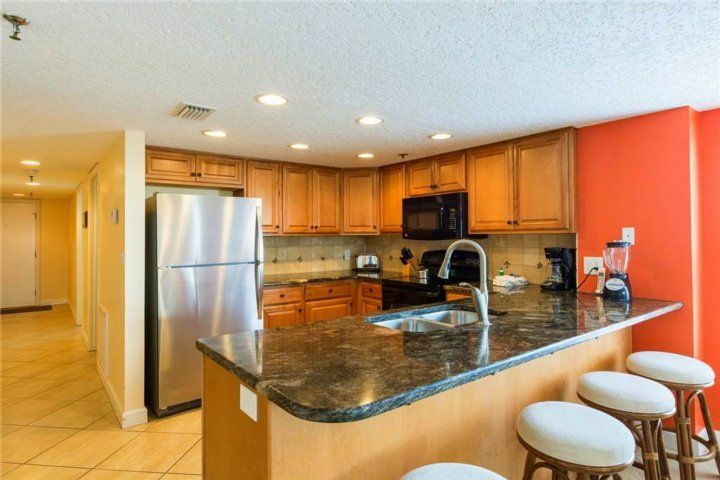 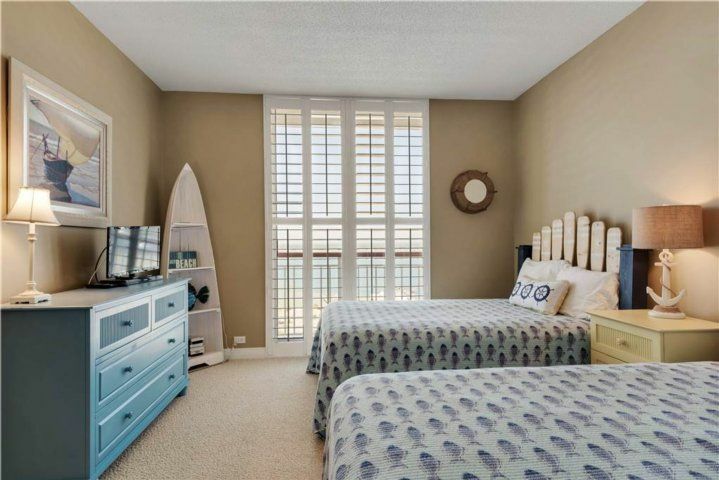 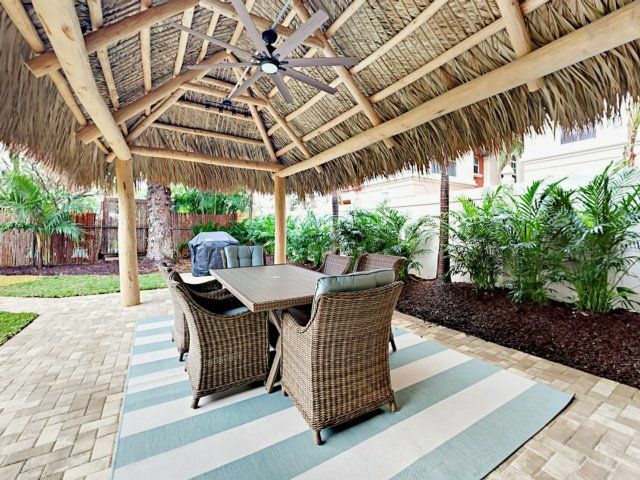 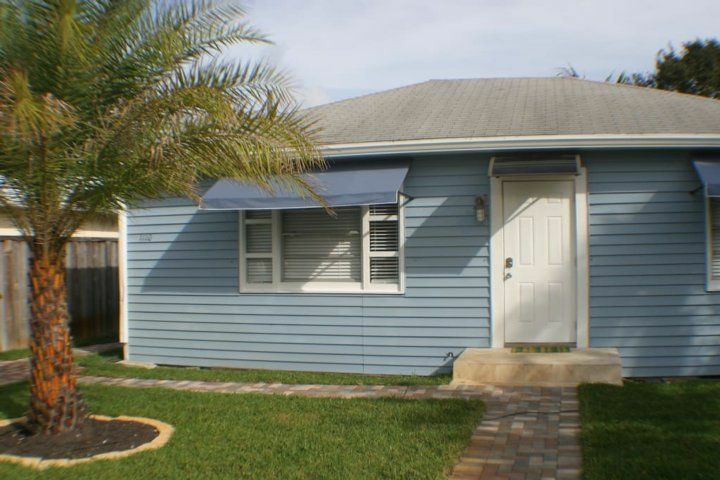 Your newly remodeled vacation home in lovely Lauderdale-by-the-Sea promises a memorable beach getaway for the whole family. 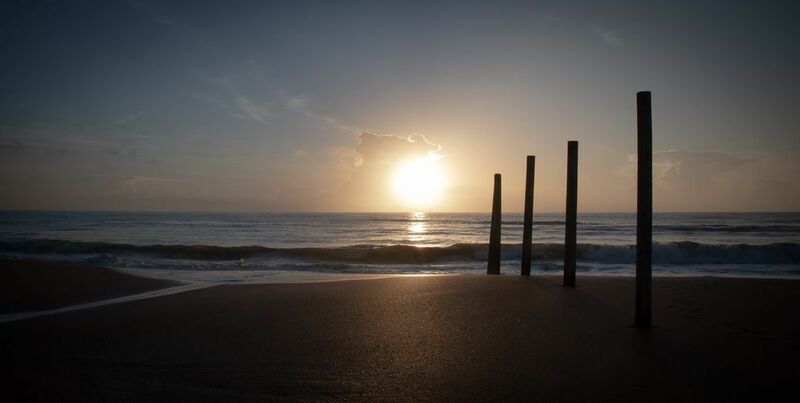 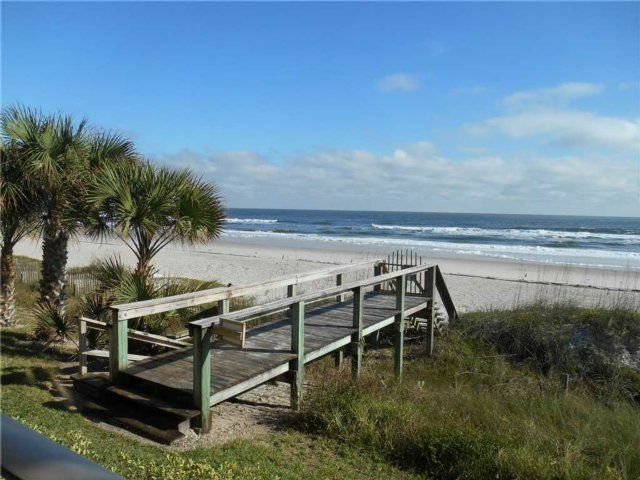 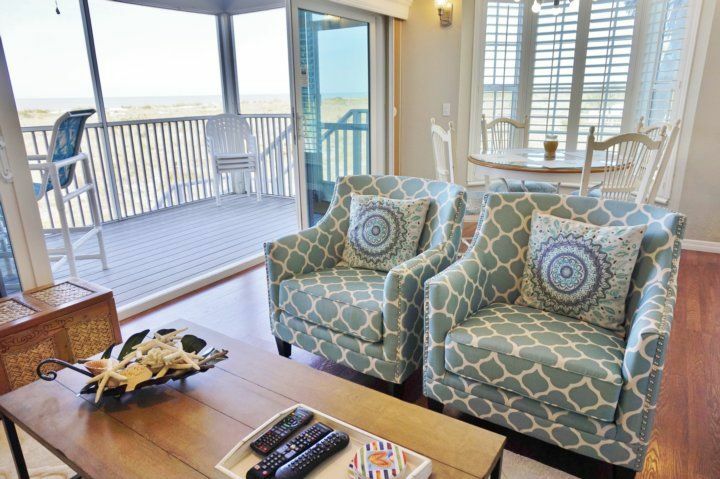 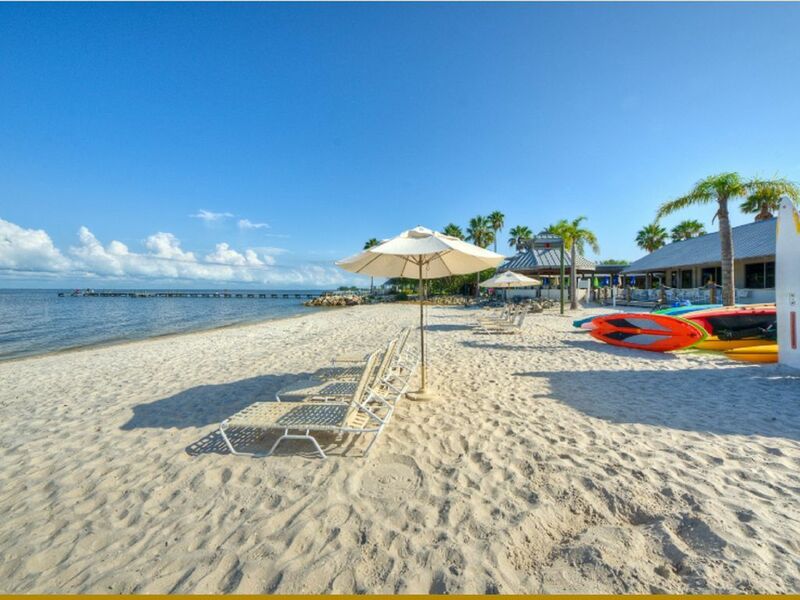 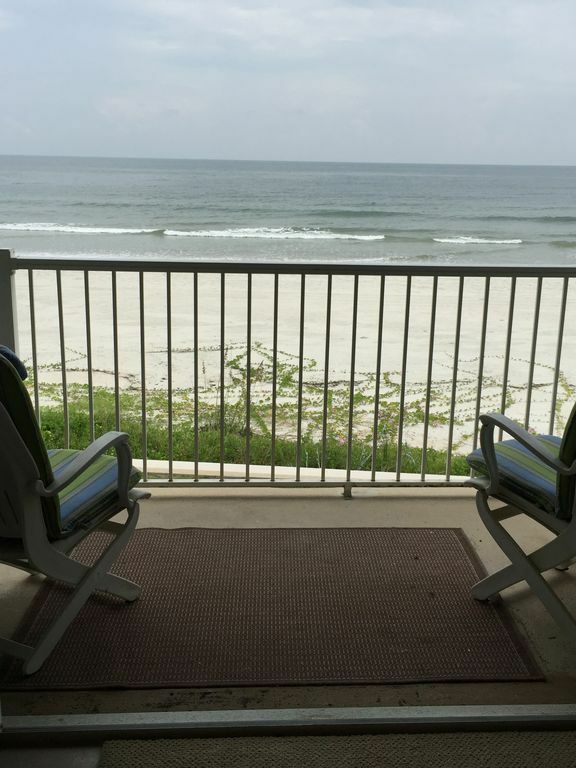 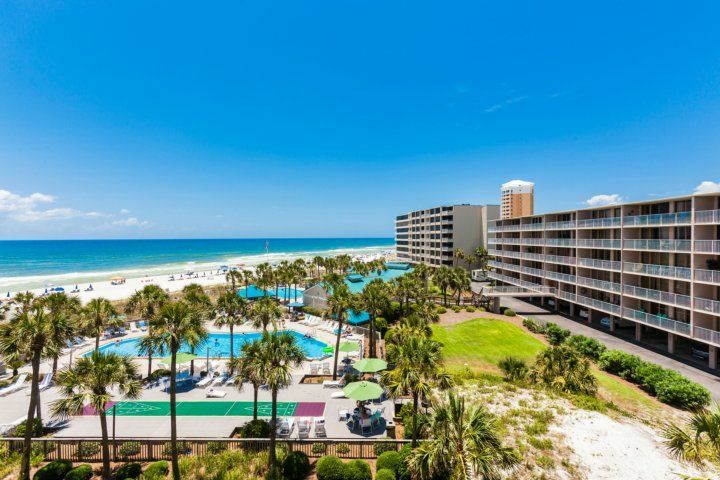 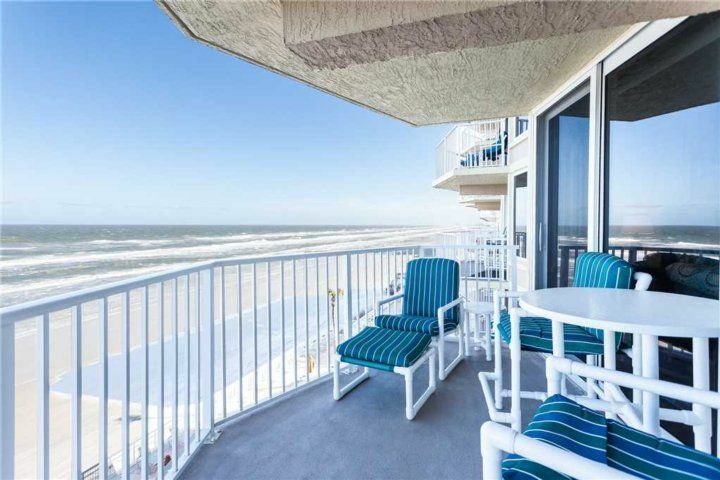 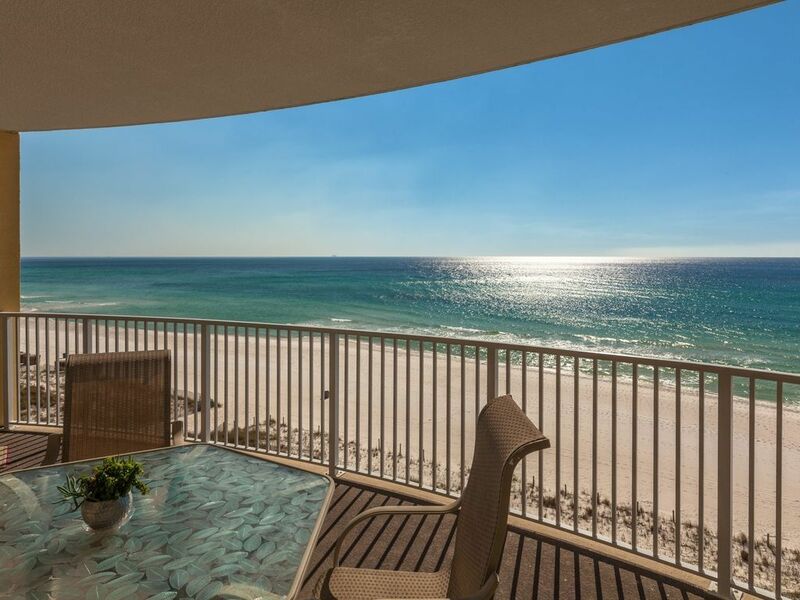 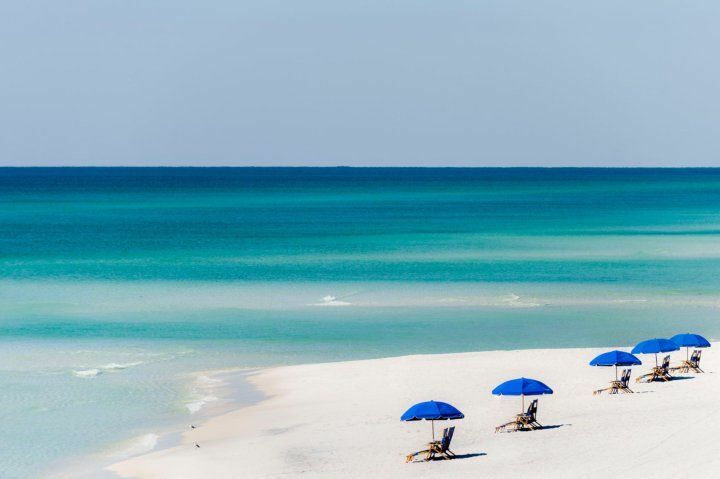 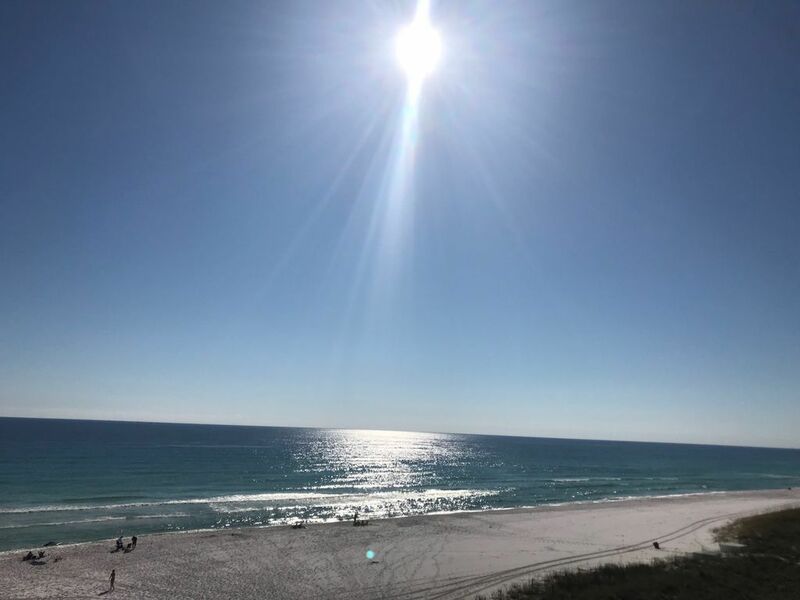 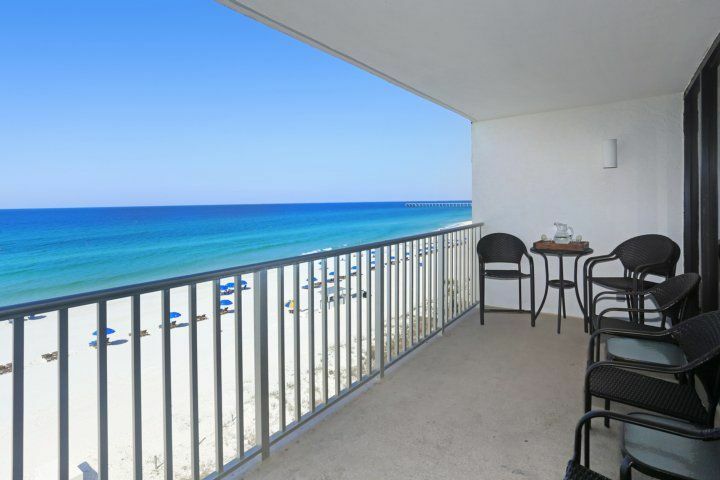 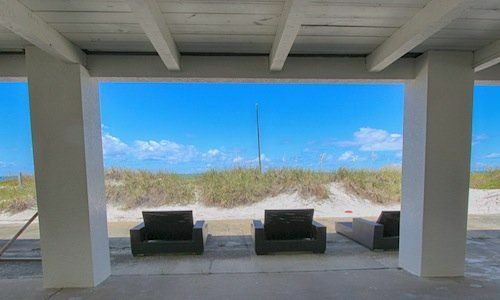 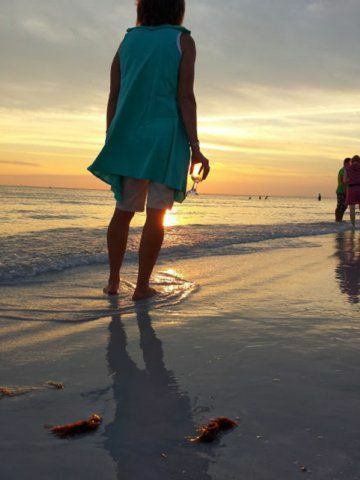 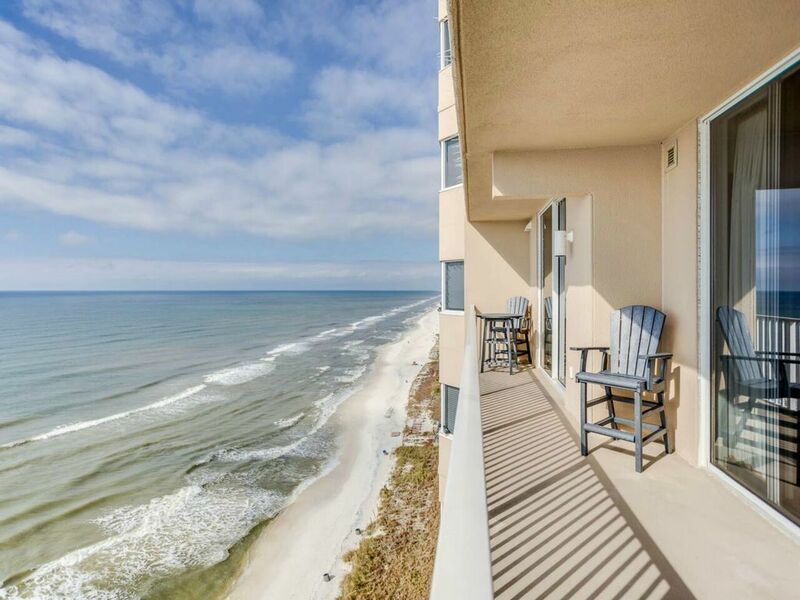 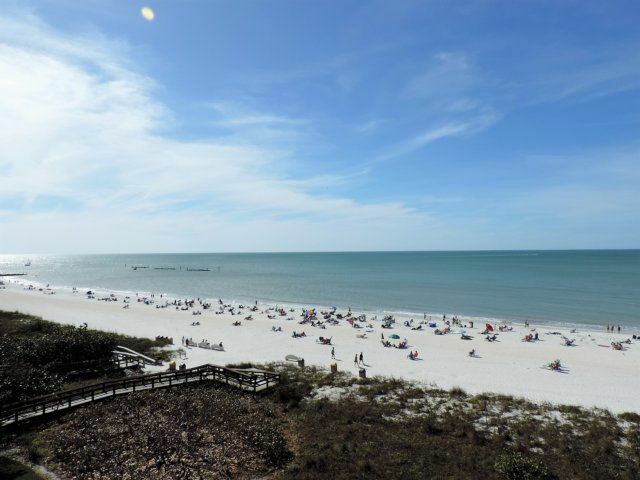 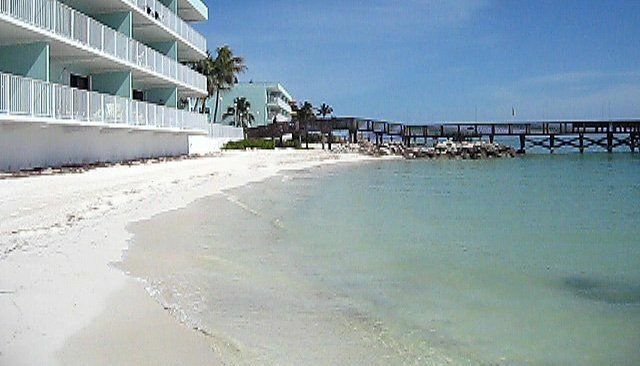 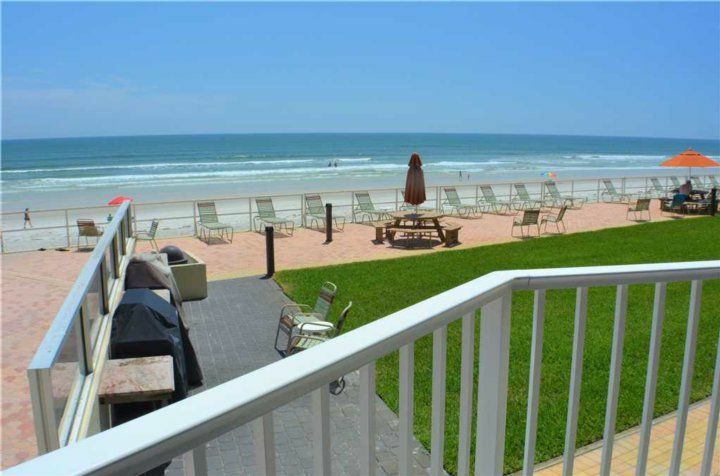 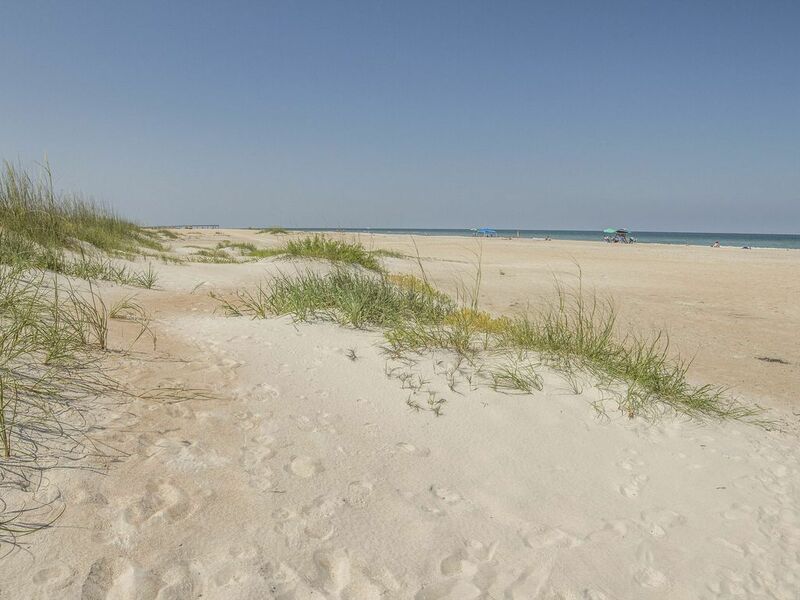 Grab the beach chairs and umbrellas provided, and spend a day lounging on pristine white sand?the beach is just a 10-minute walk from your door. 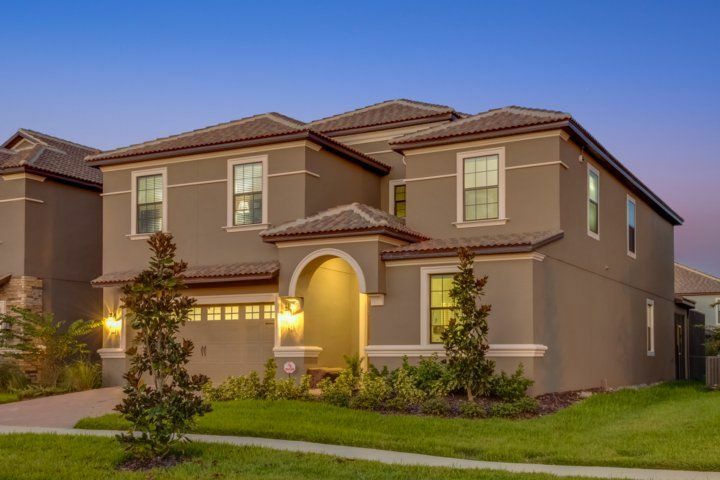 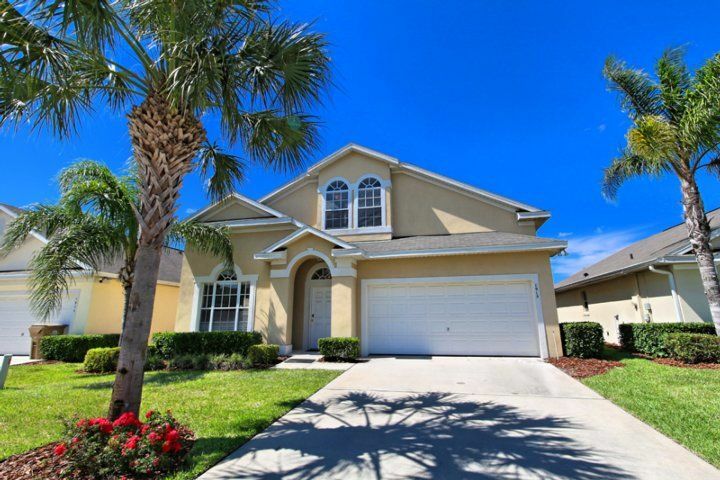 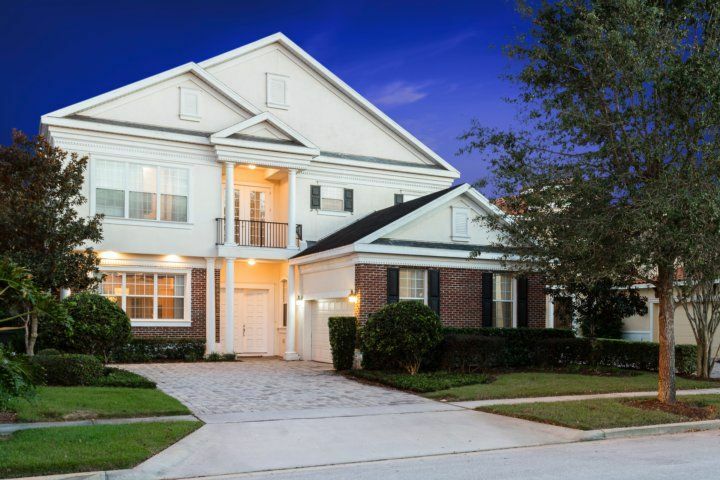 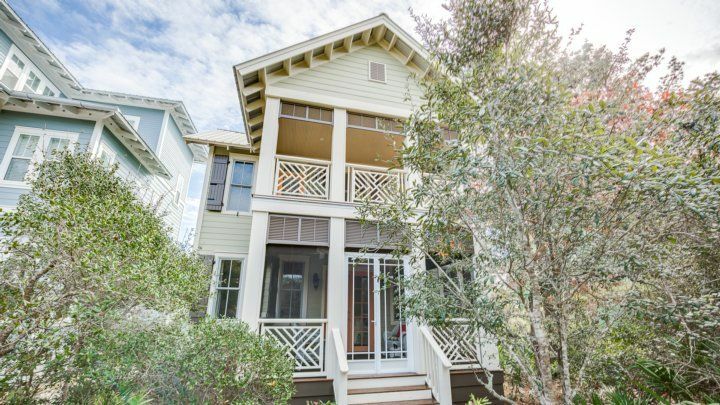 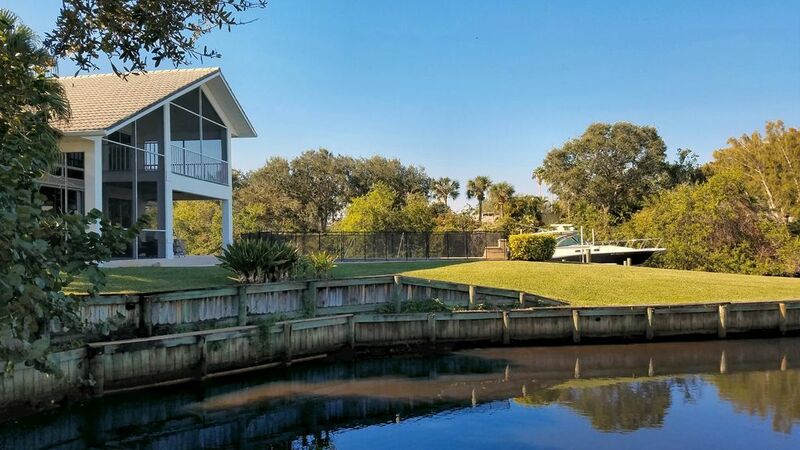 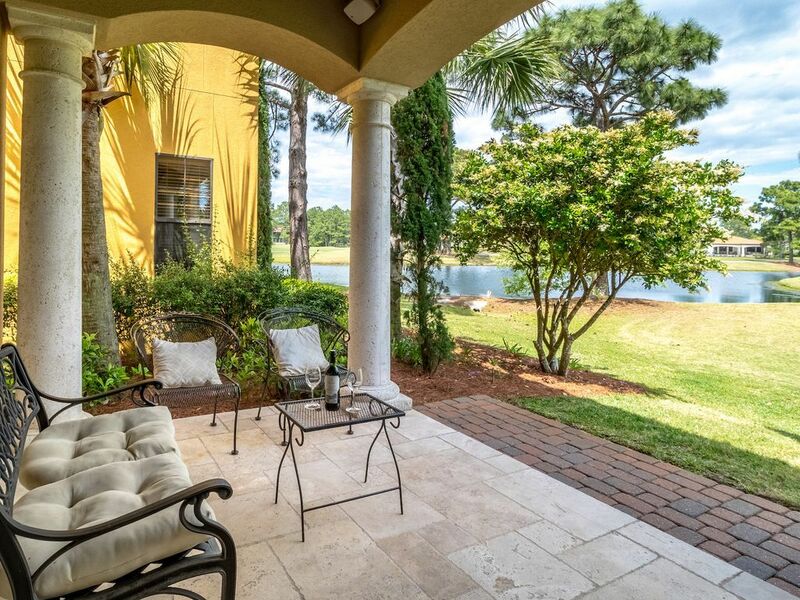 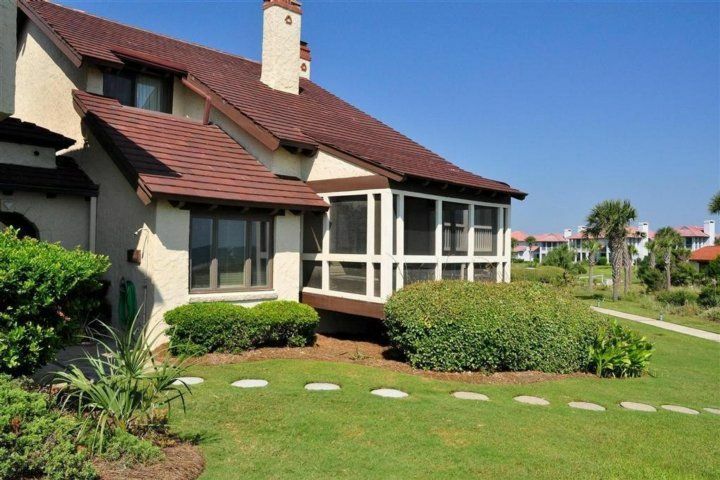 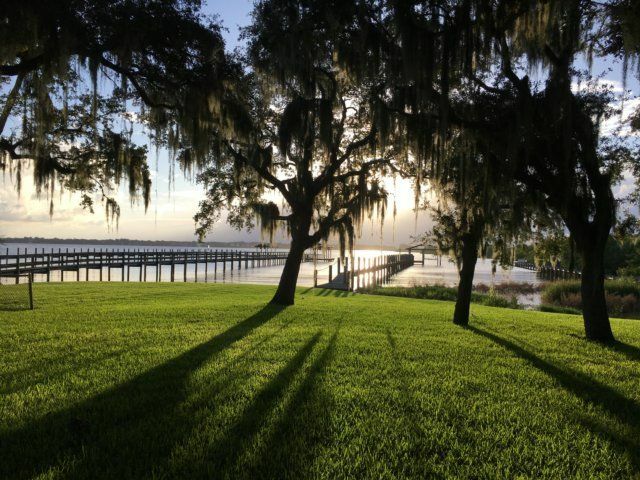 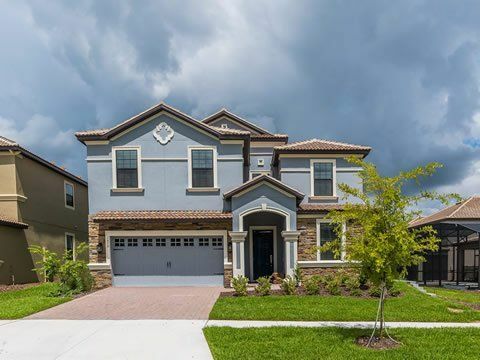 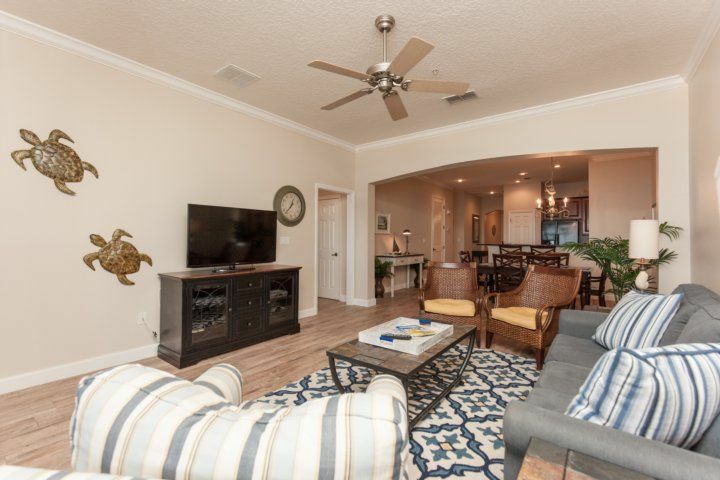 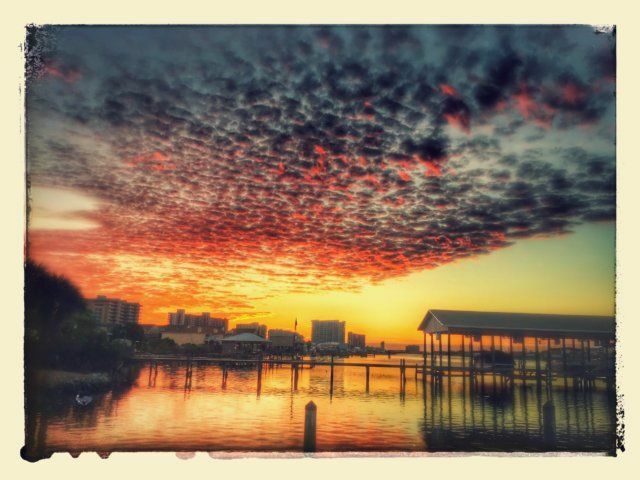 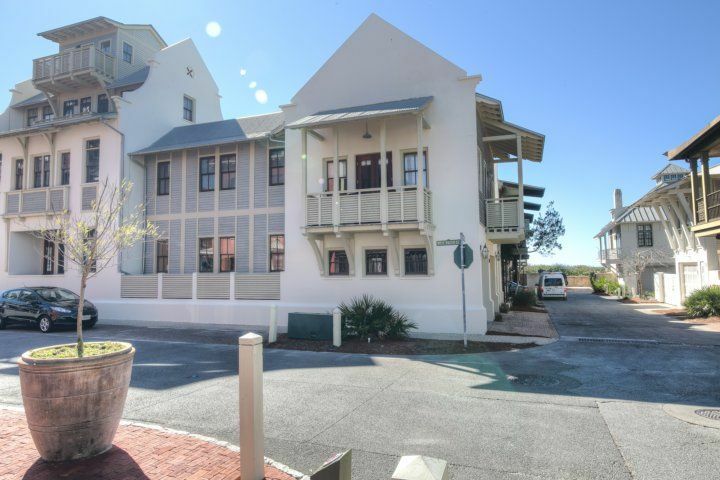 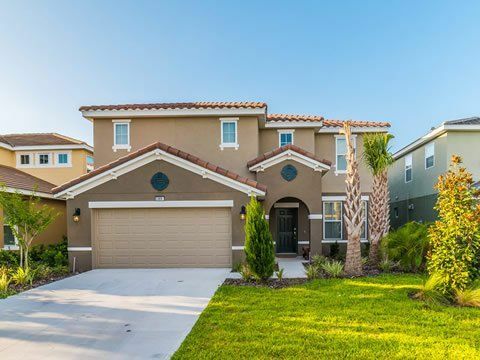 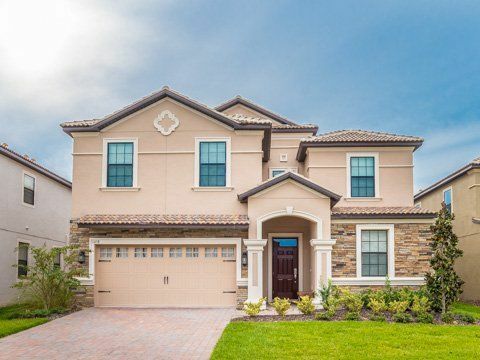 You?ll also love proximity to shopping, dining, and family-friendly entertainment right in town, plus water sports, fishing, boating, golfing, and live music. 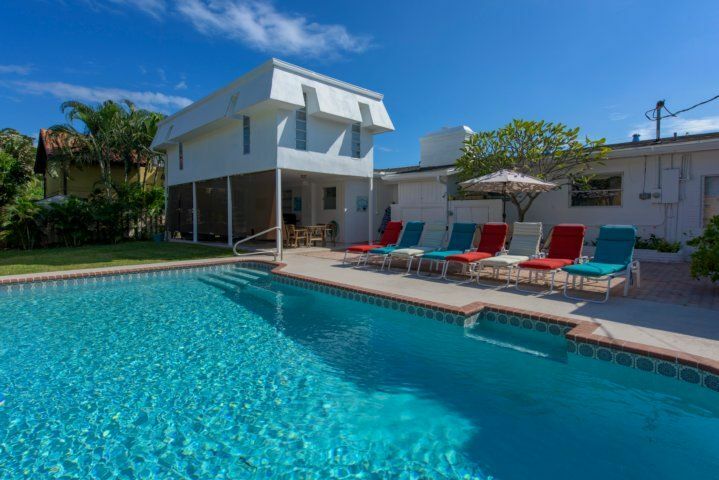 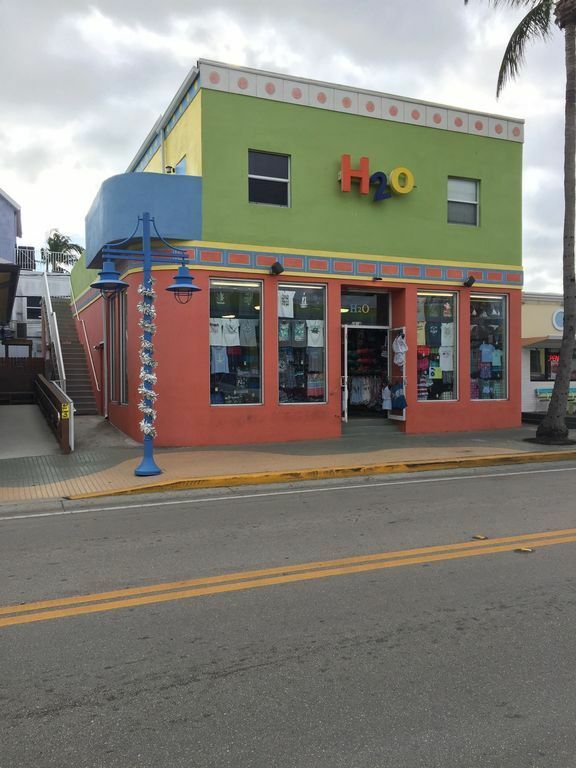 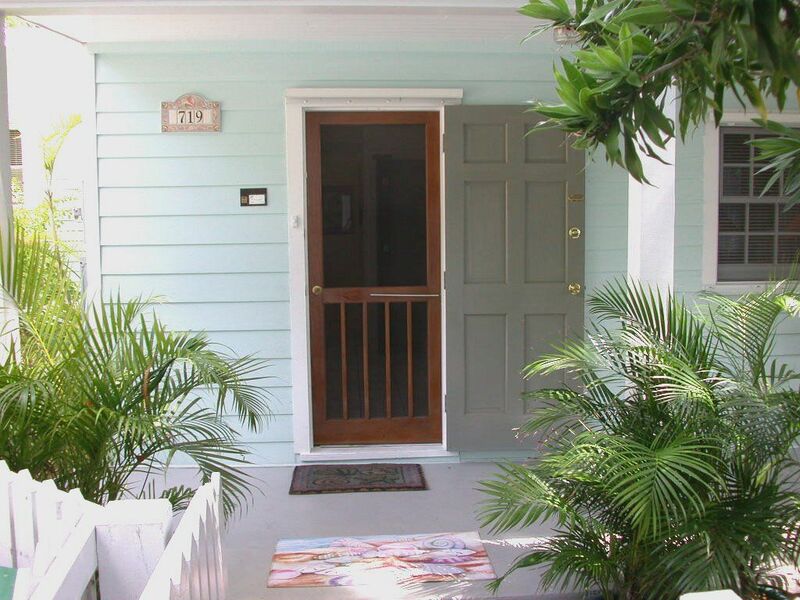 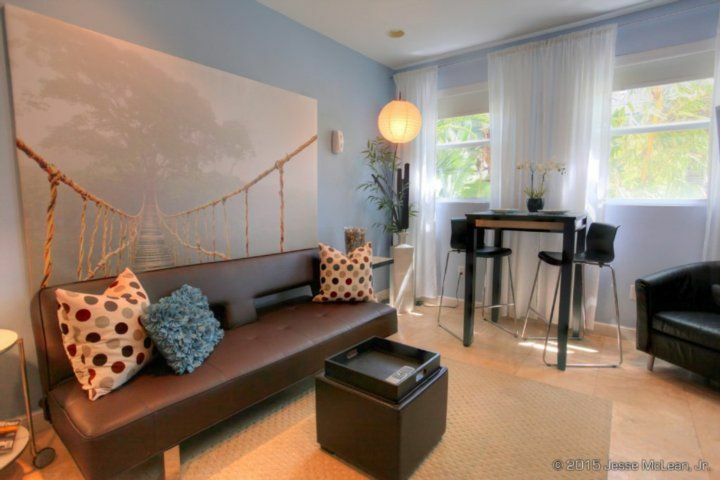 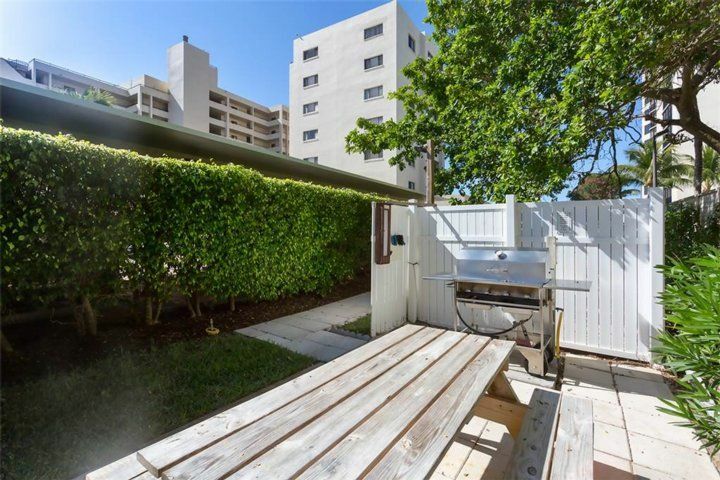 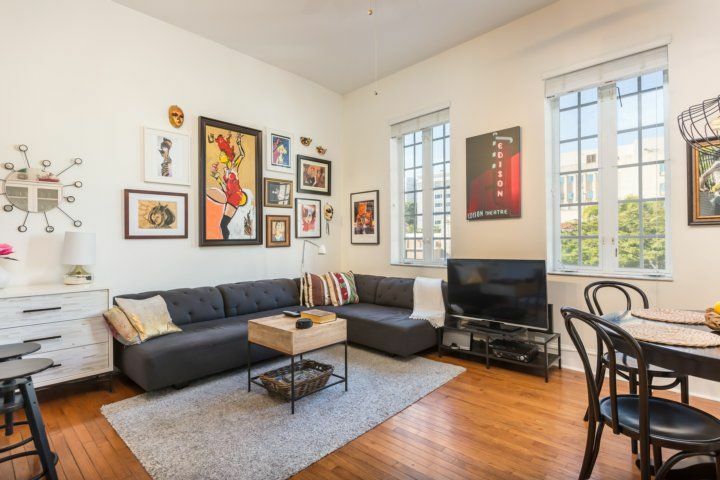 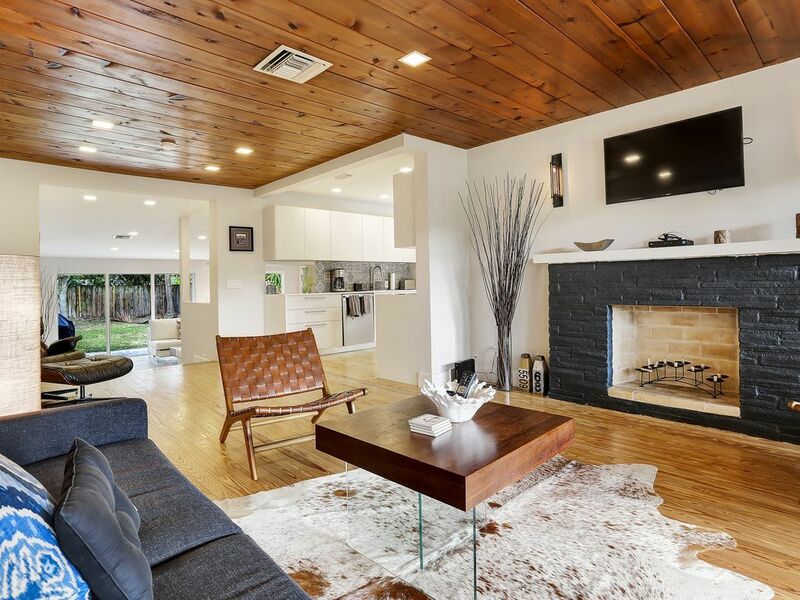 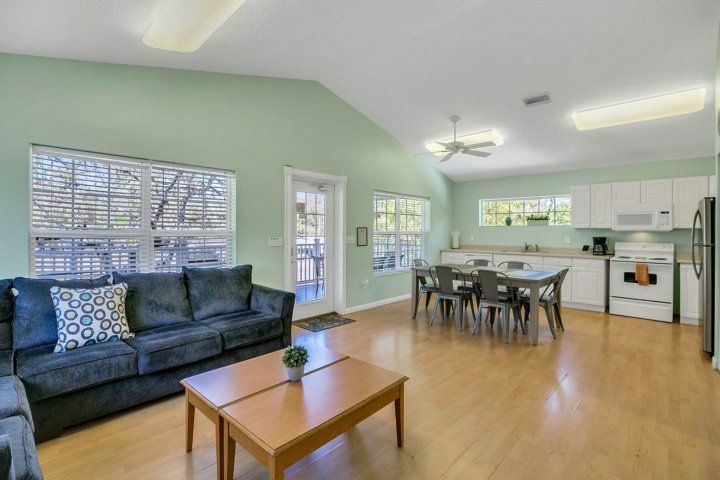 The house is centrally located between Las Olas Blvd. 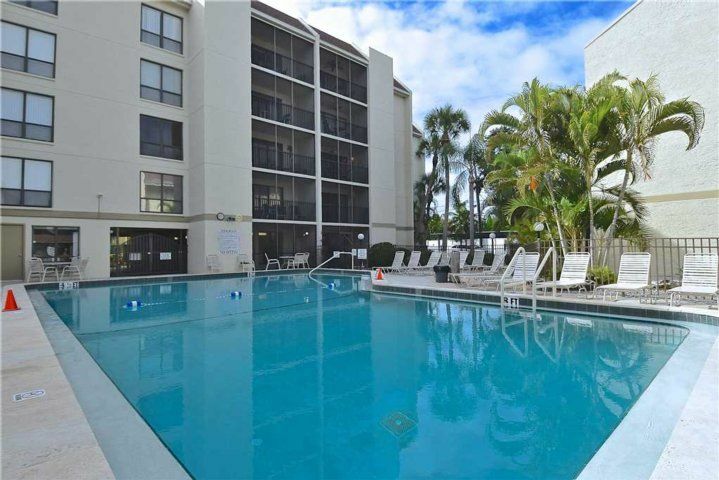 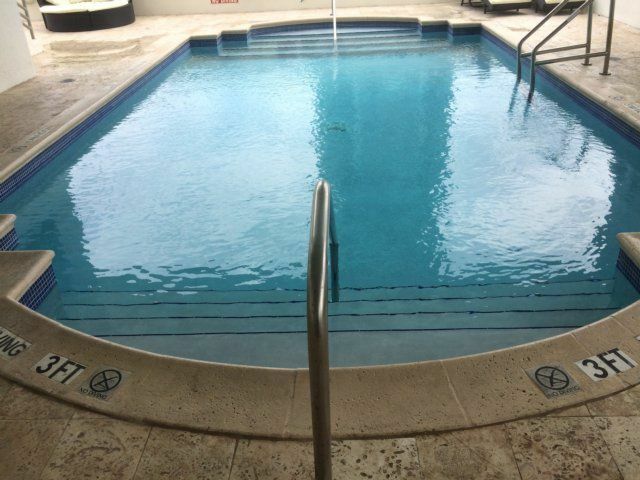 in Ft. Lauderdale (20 minutes) and Mizner Park shopping plaza in Boca Raton (30 minutes). 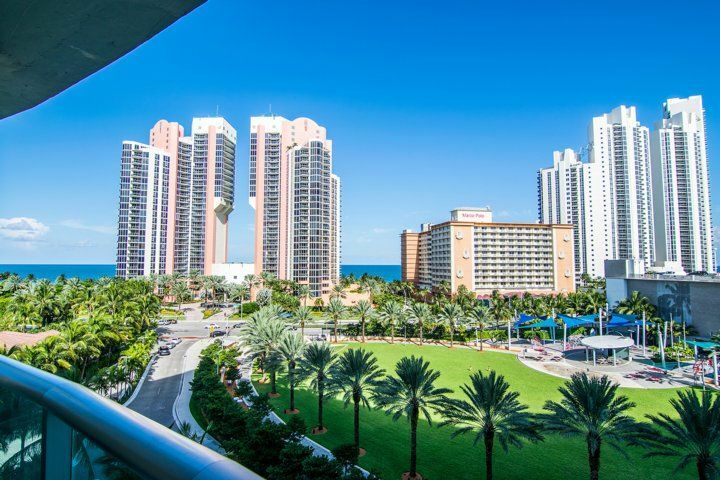 For easy family day trips, visit Miami?s South Beach (30-minute drive) or West Palm Beach (less than 1 hour away).